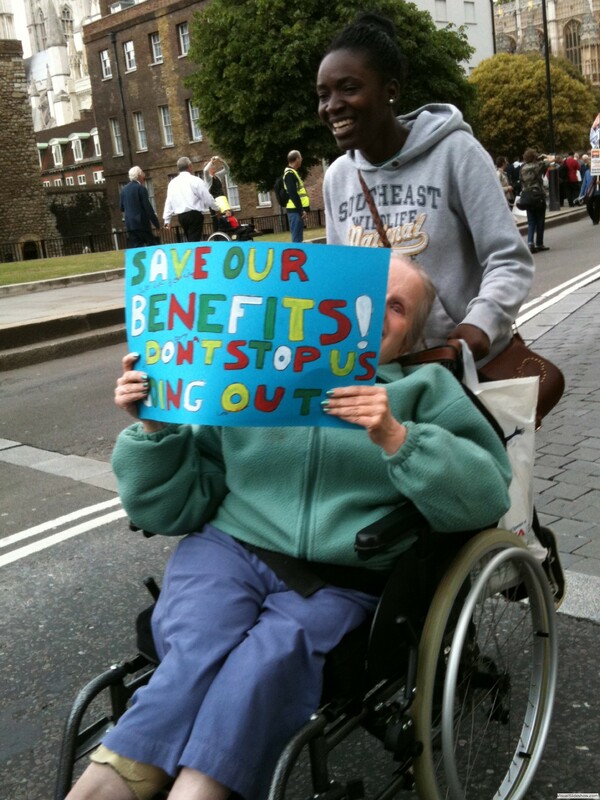 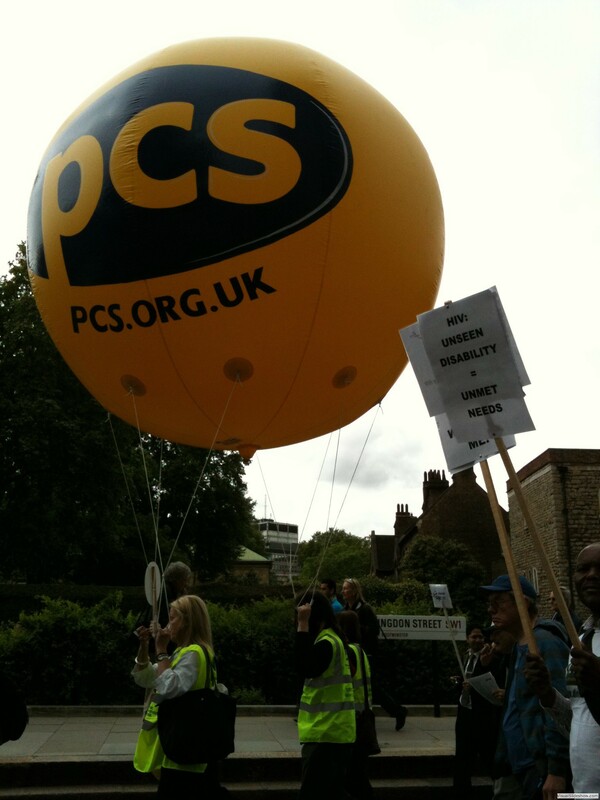 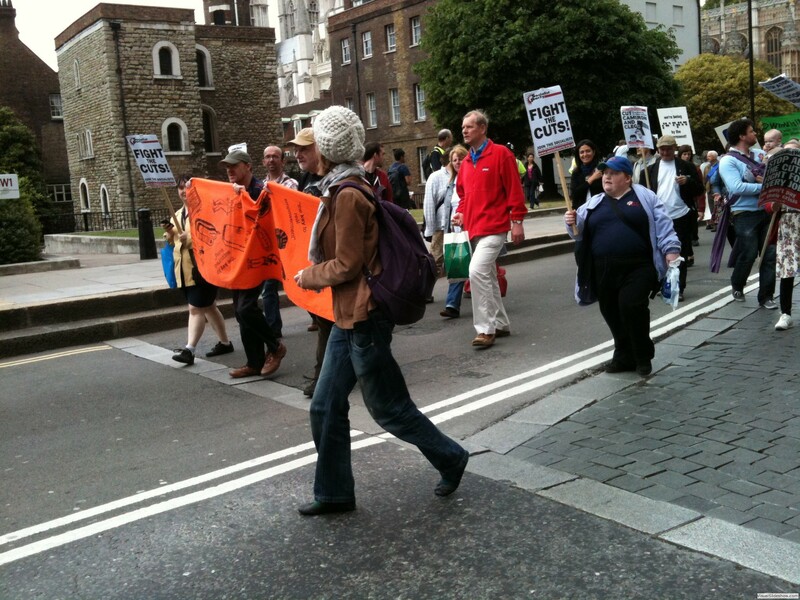 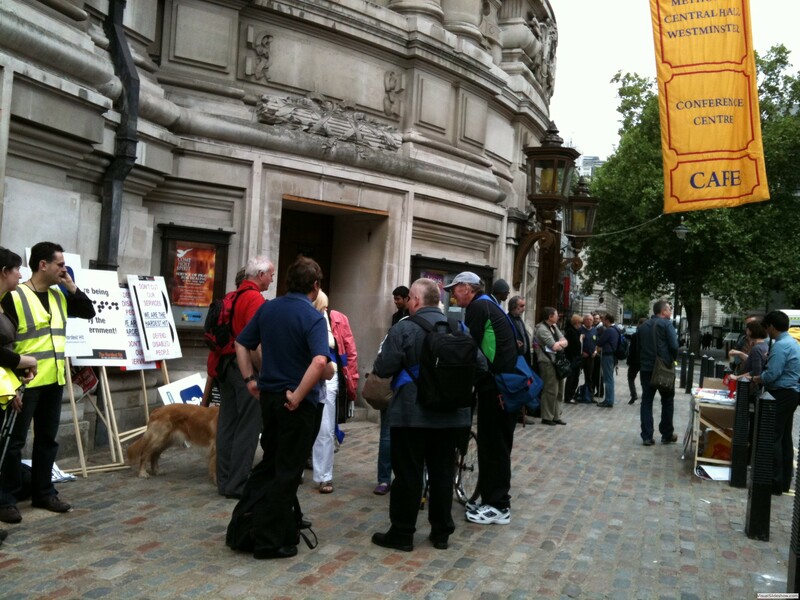 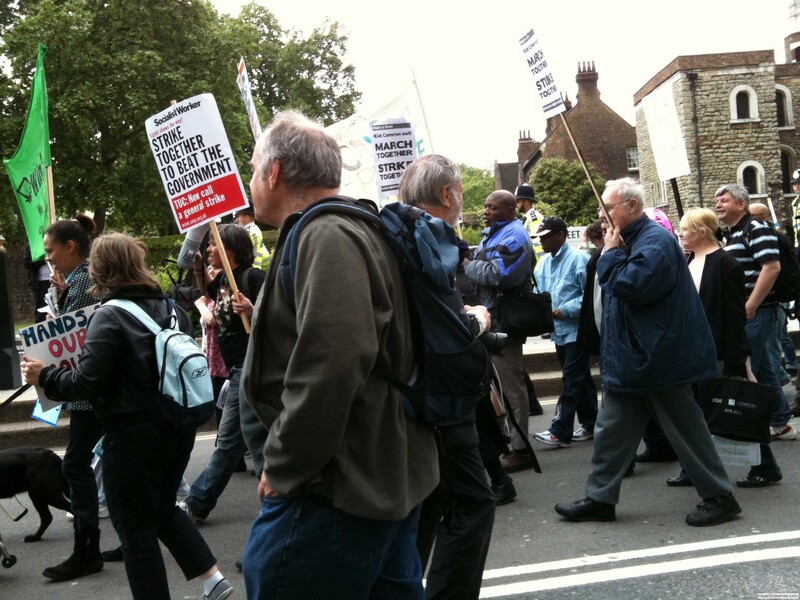 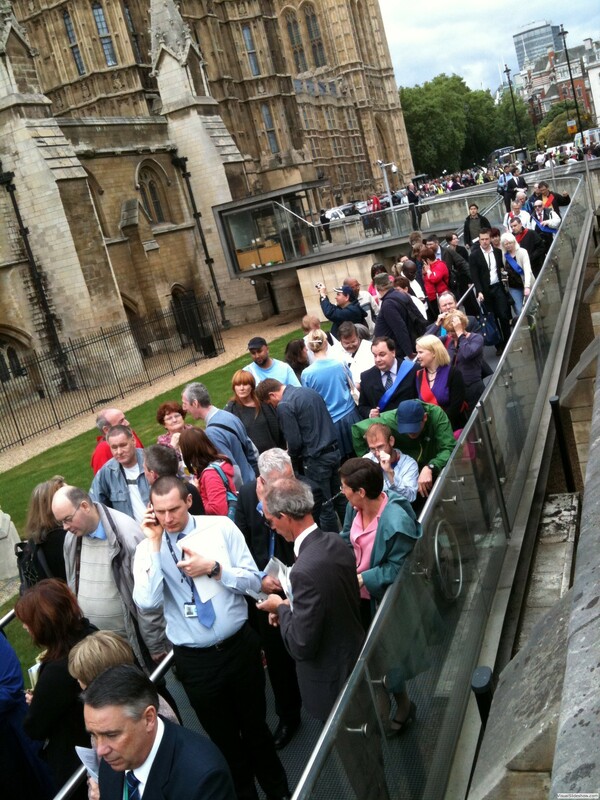 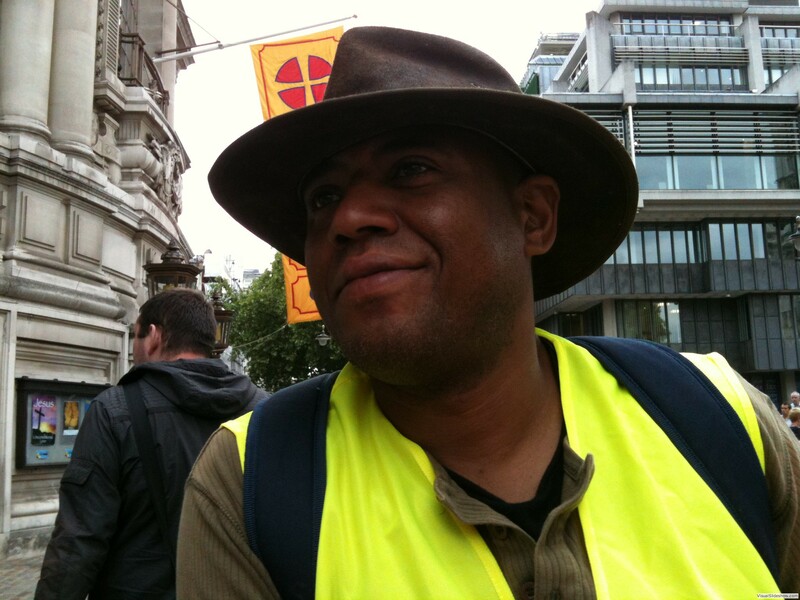 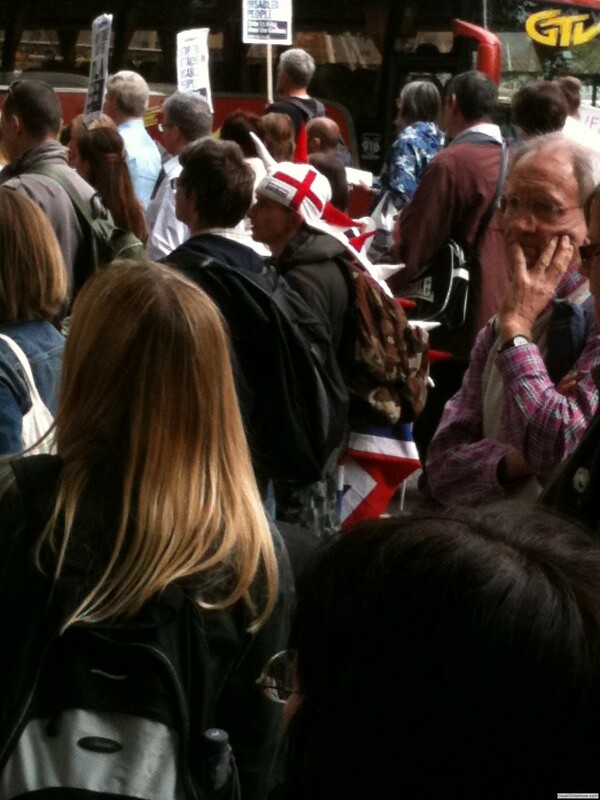 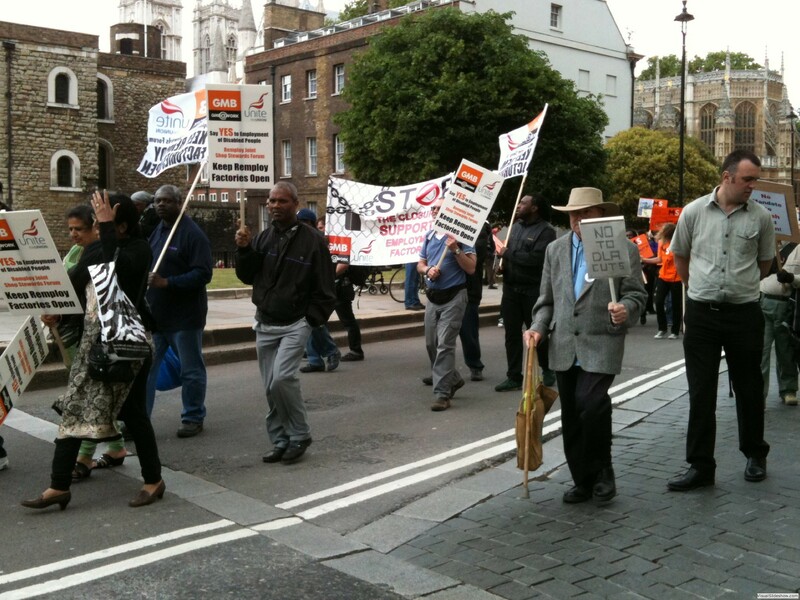 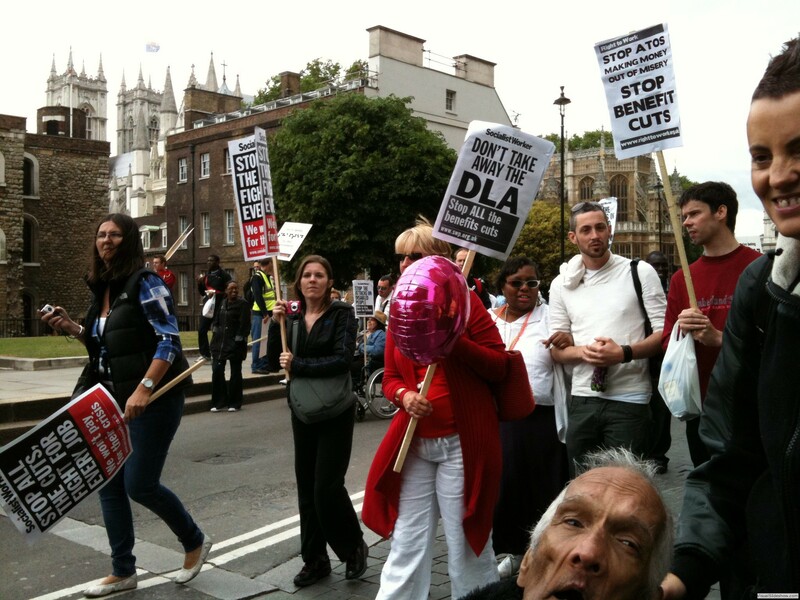 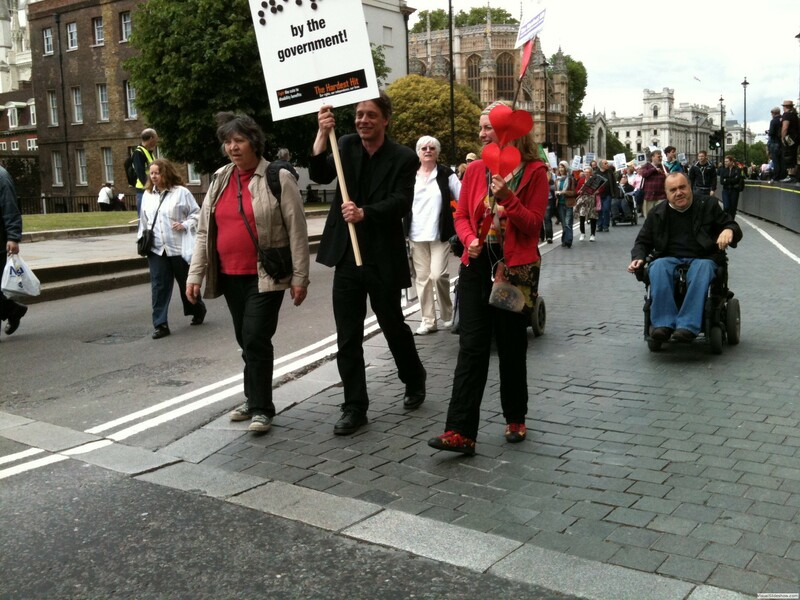 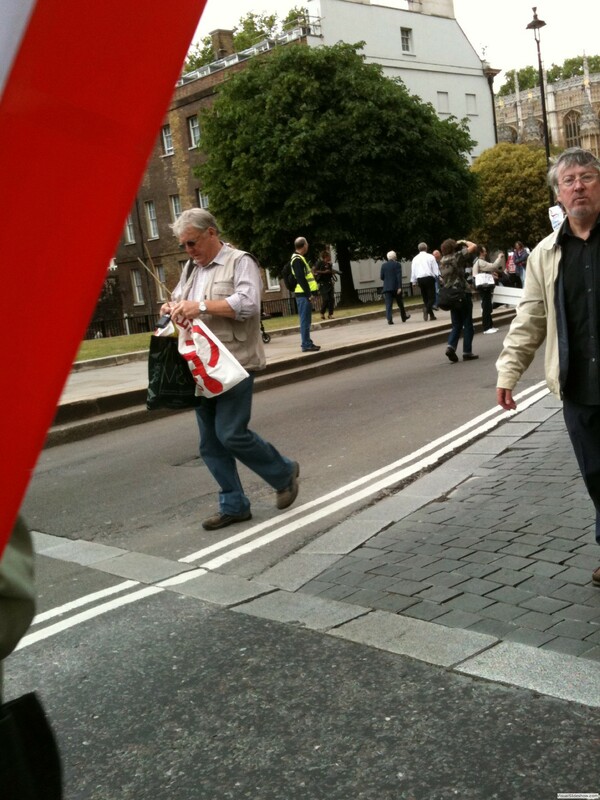 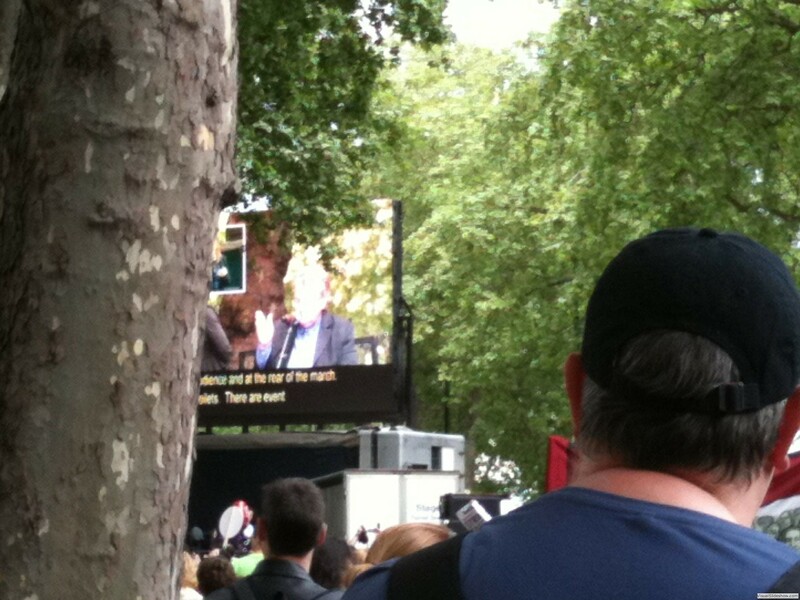 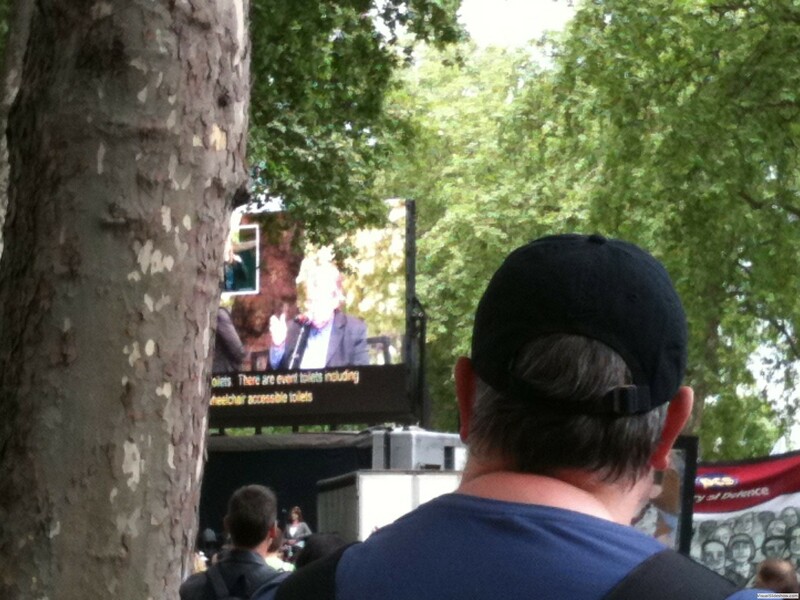 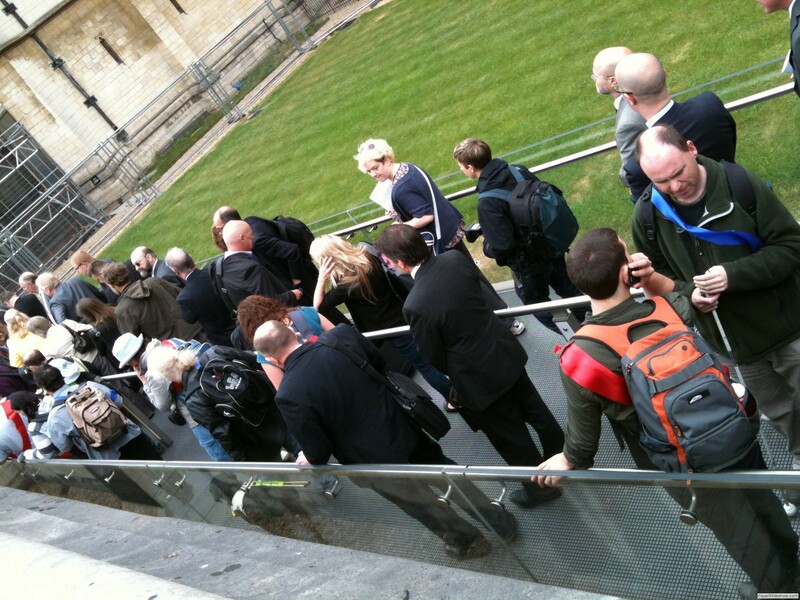 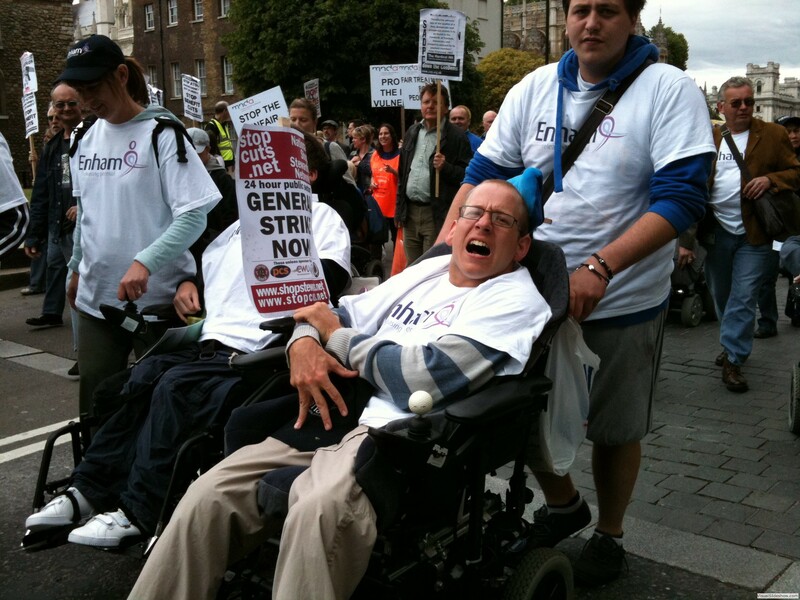 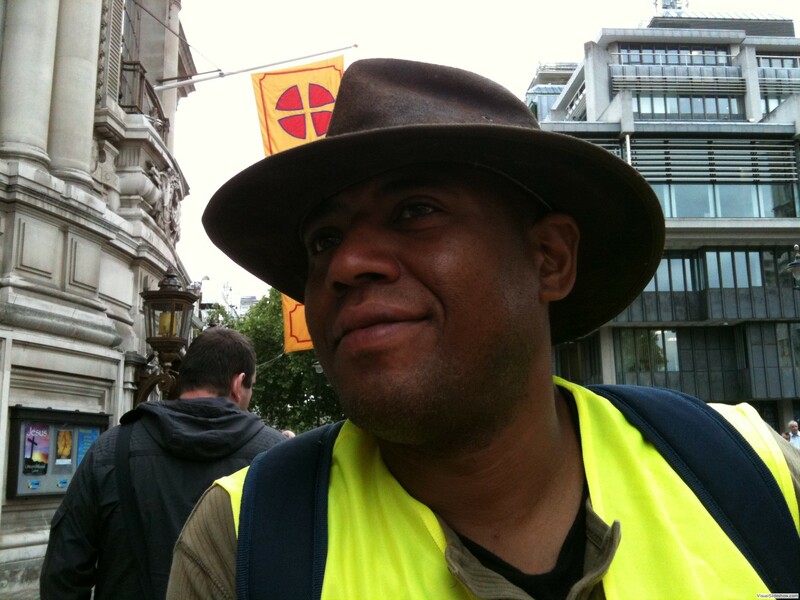 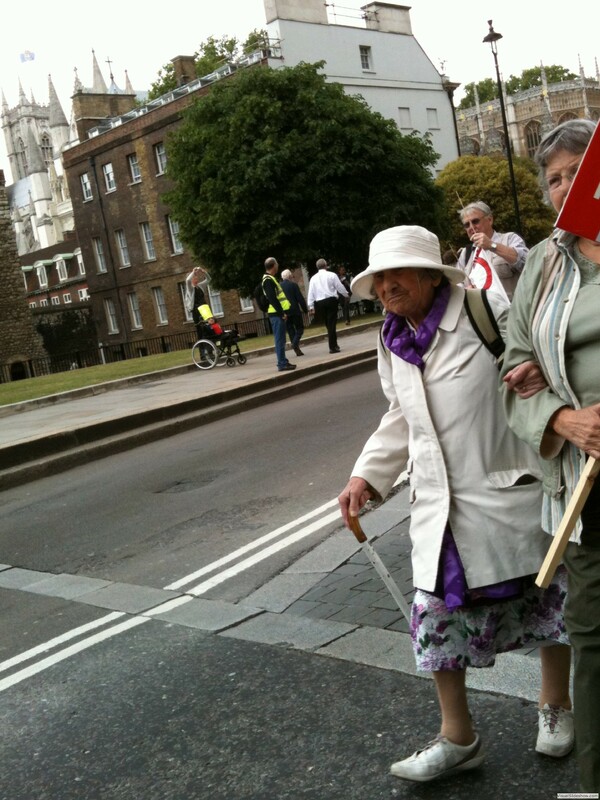 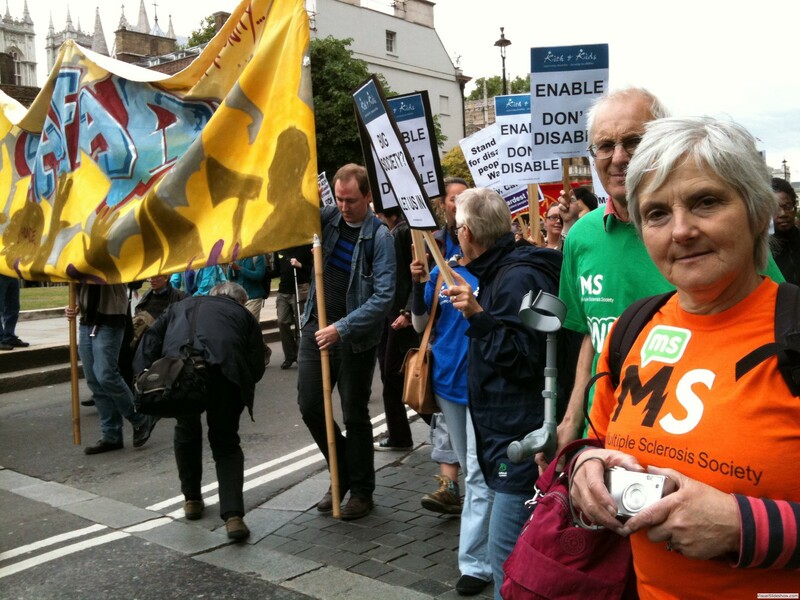 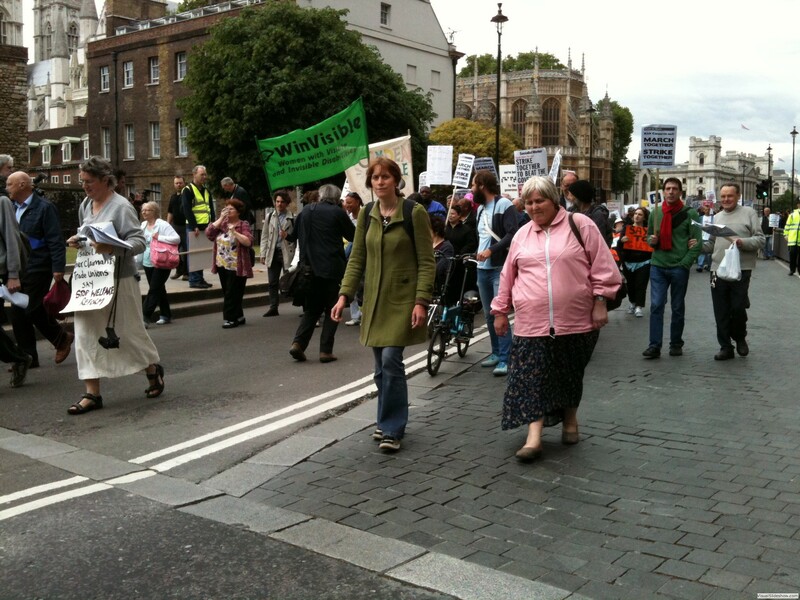 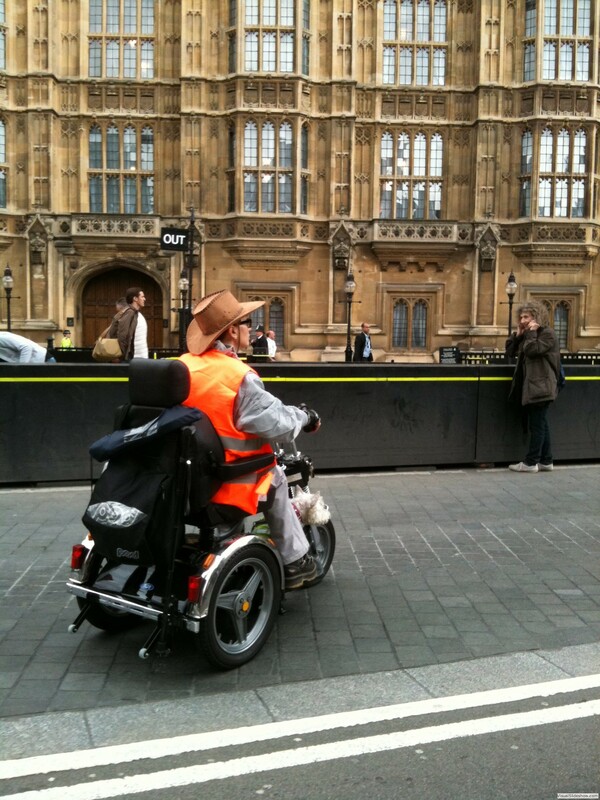 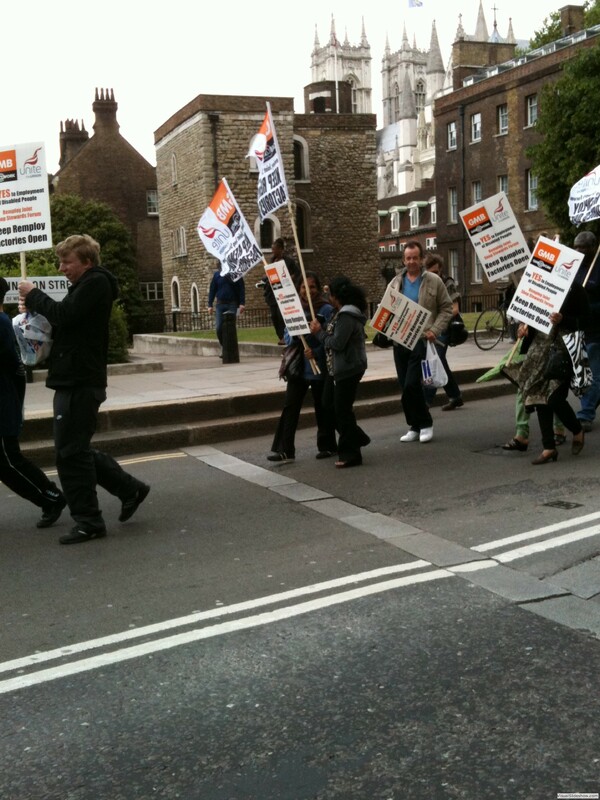 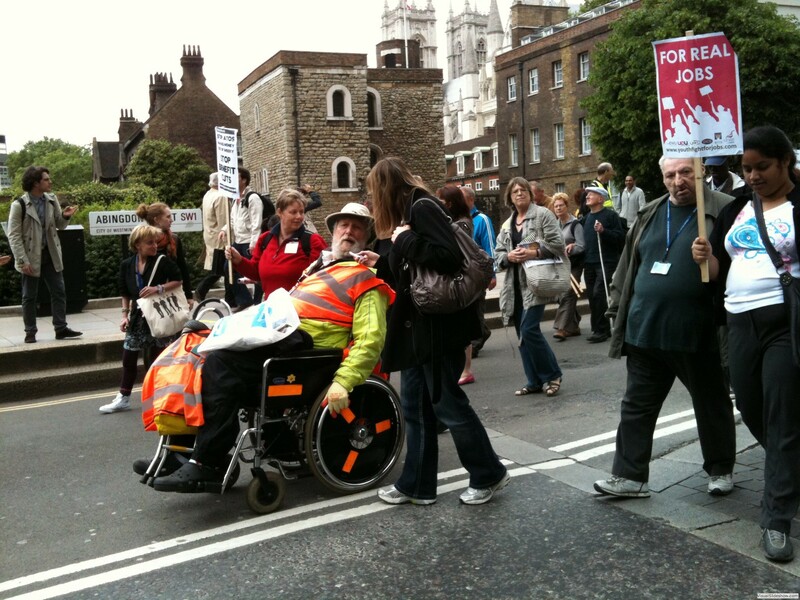 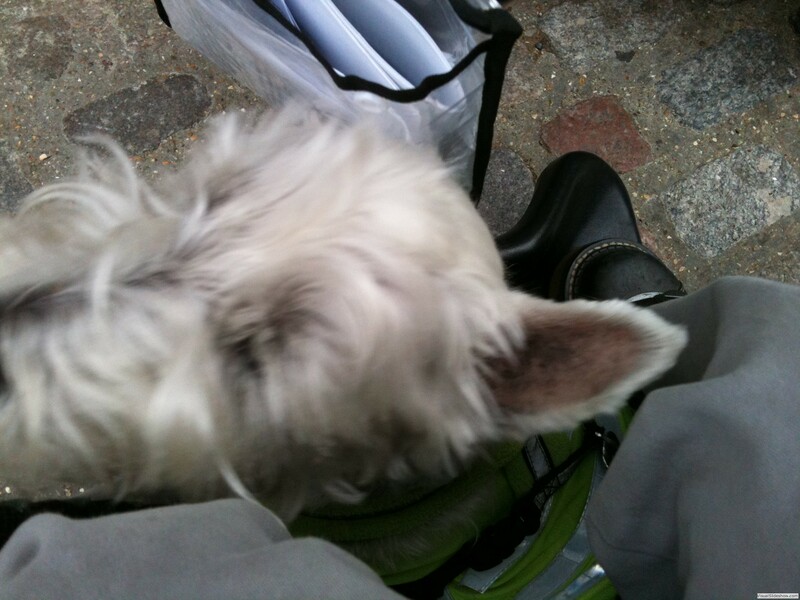 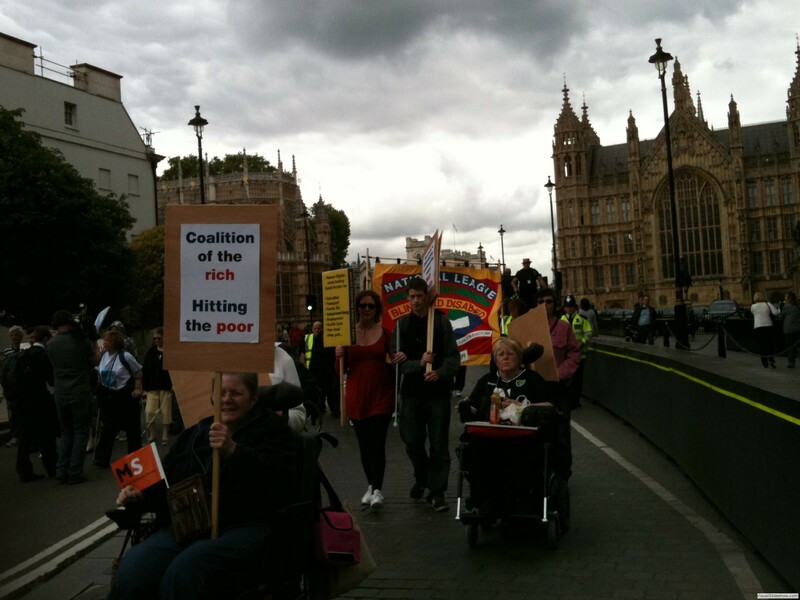 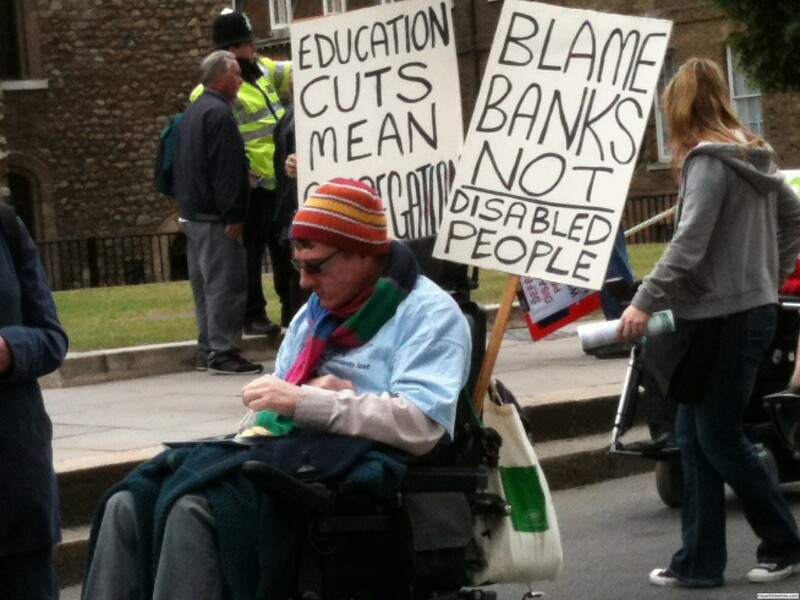 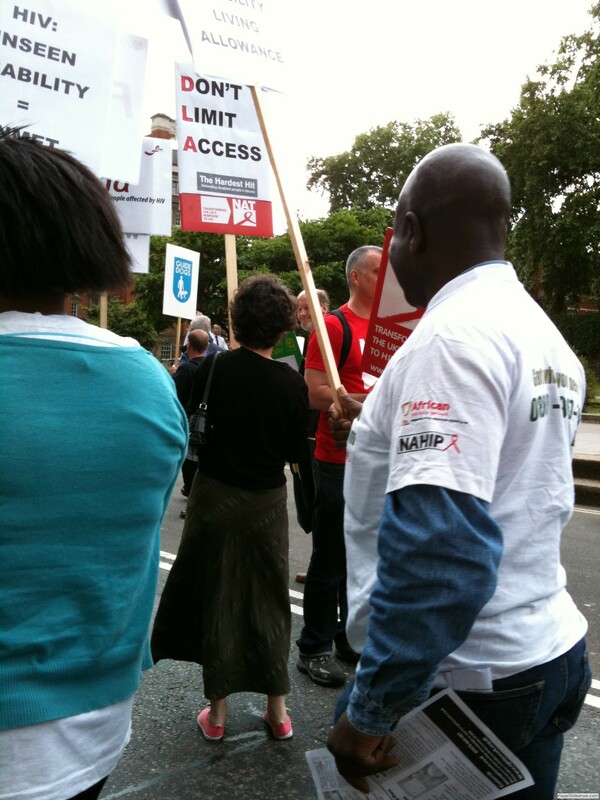 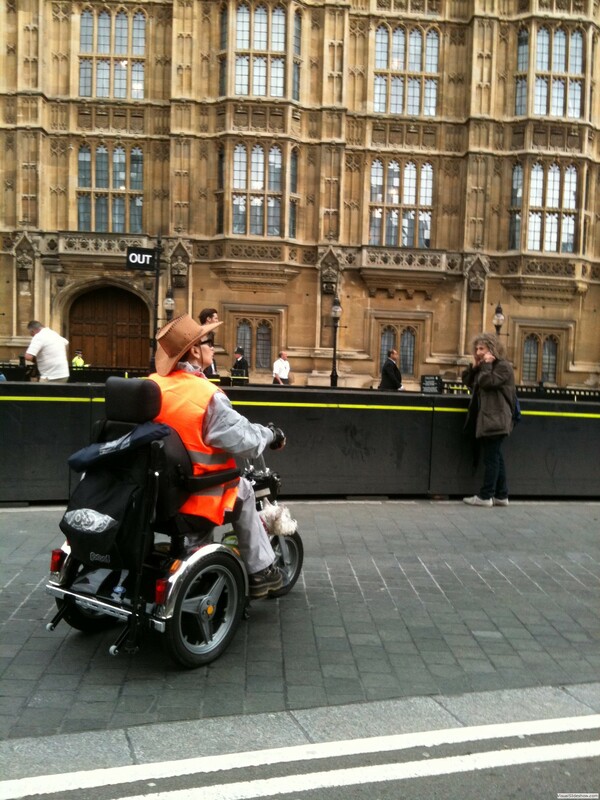 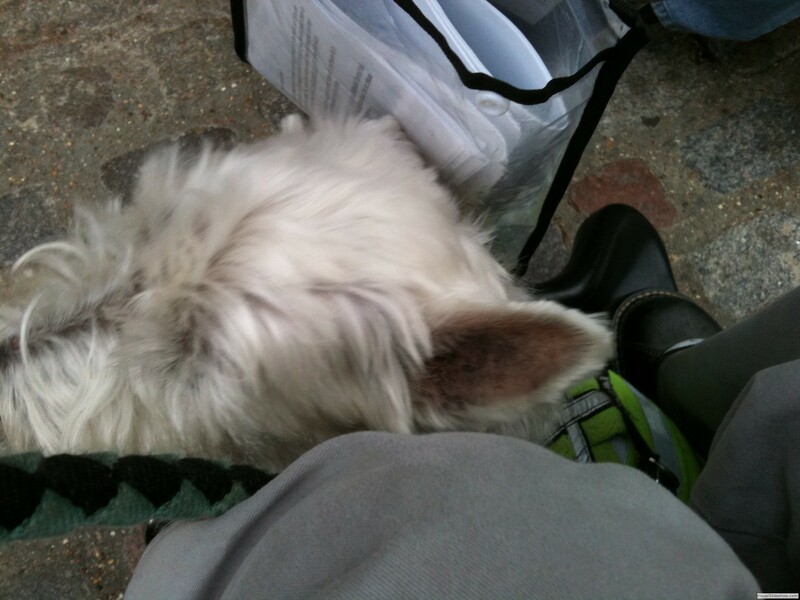 These photographs were taken on my iPhone 3GS at the Hardest Hit - the largest ever demonstration of disabled people in the UK, on the 1st anniversary of the Coalition Government. 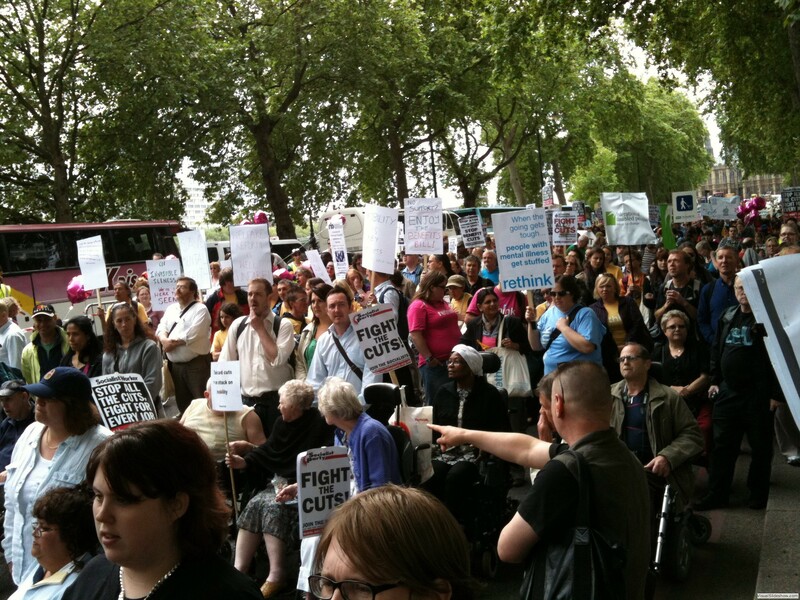 The Government failed to send a representative to address the rally at the start of the march, despite being invited to do so. 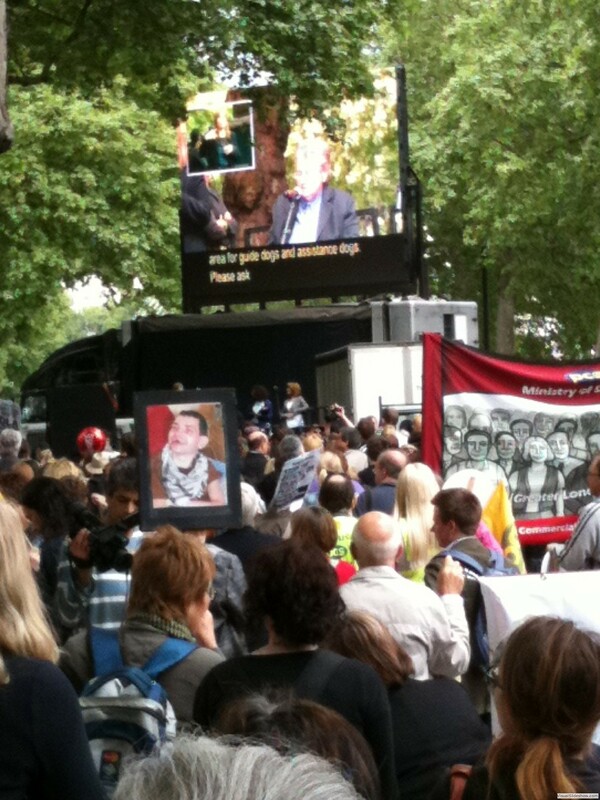 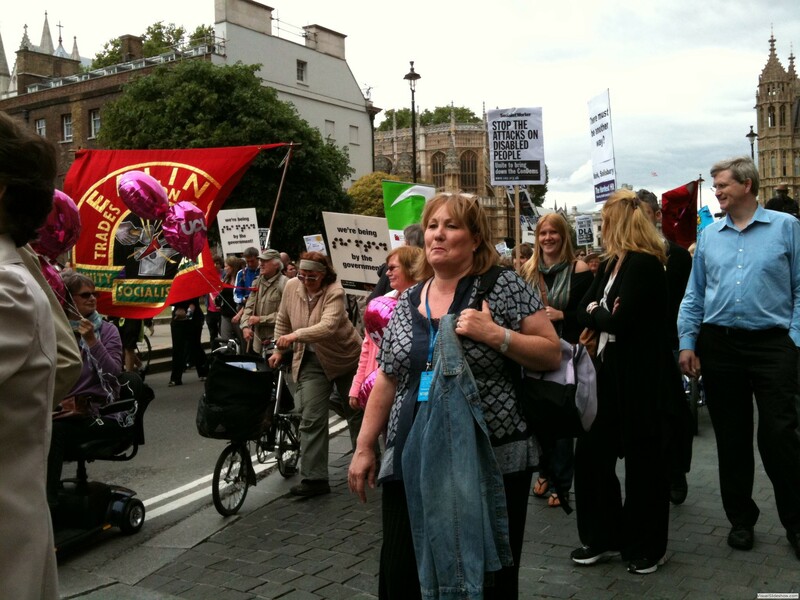 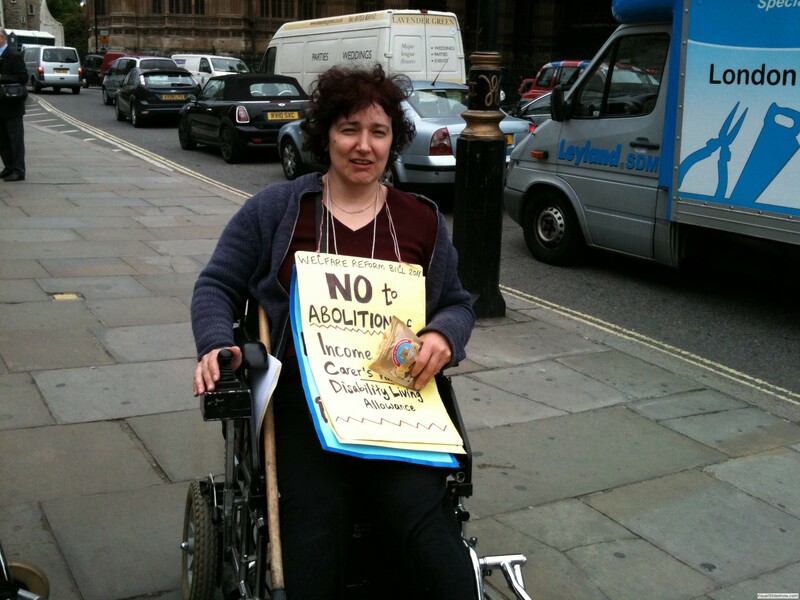 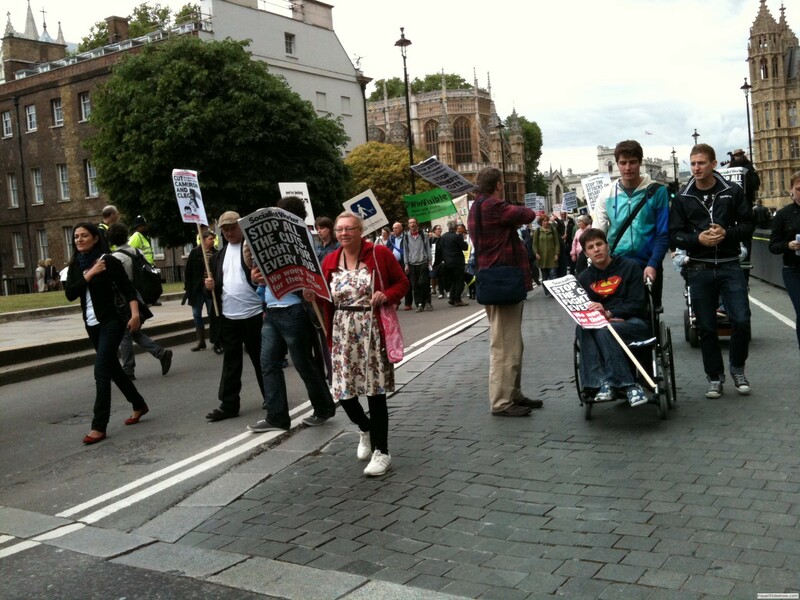 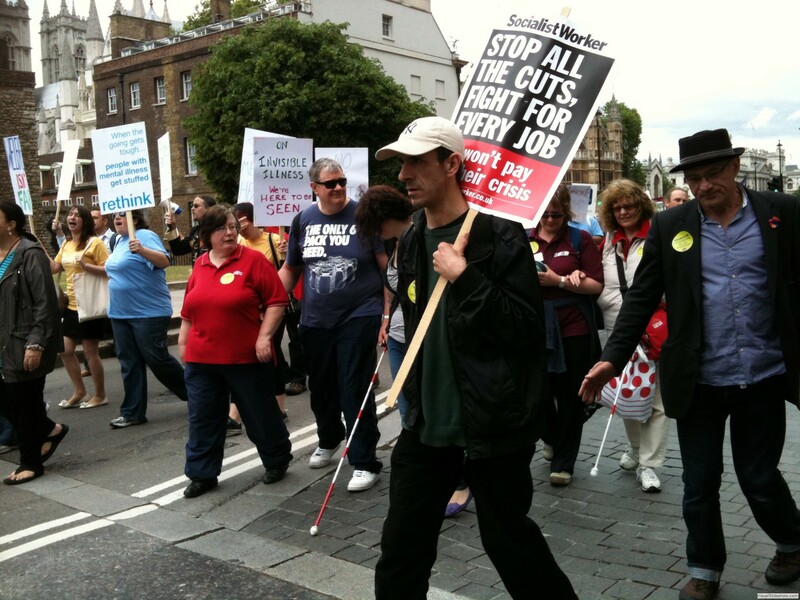 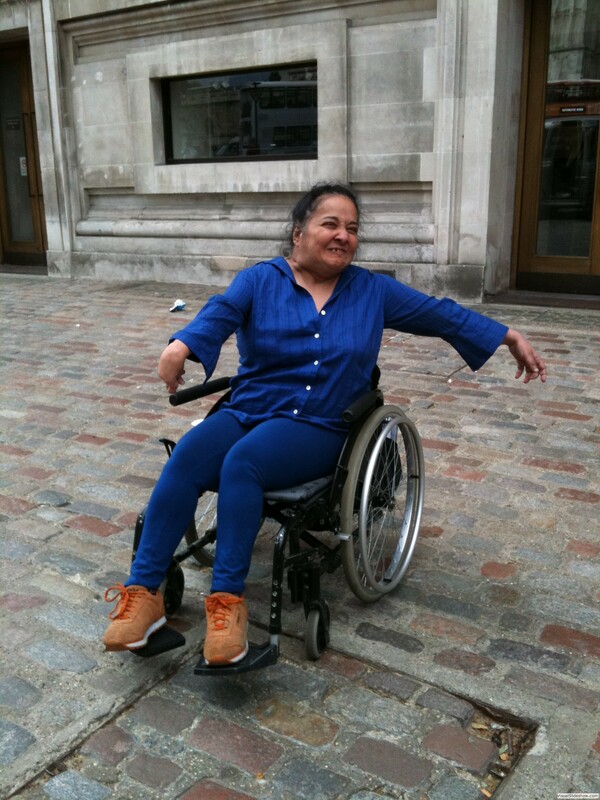 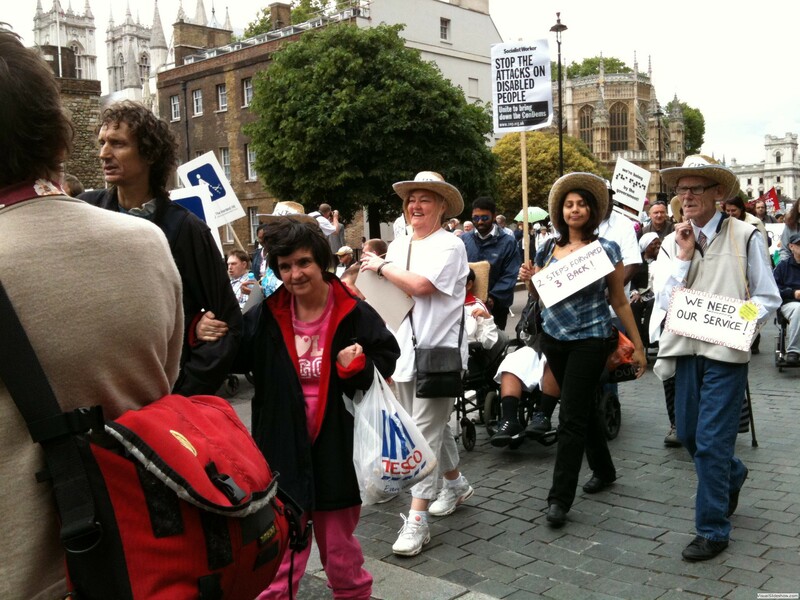 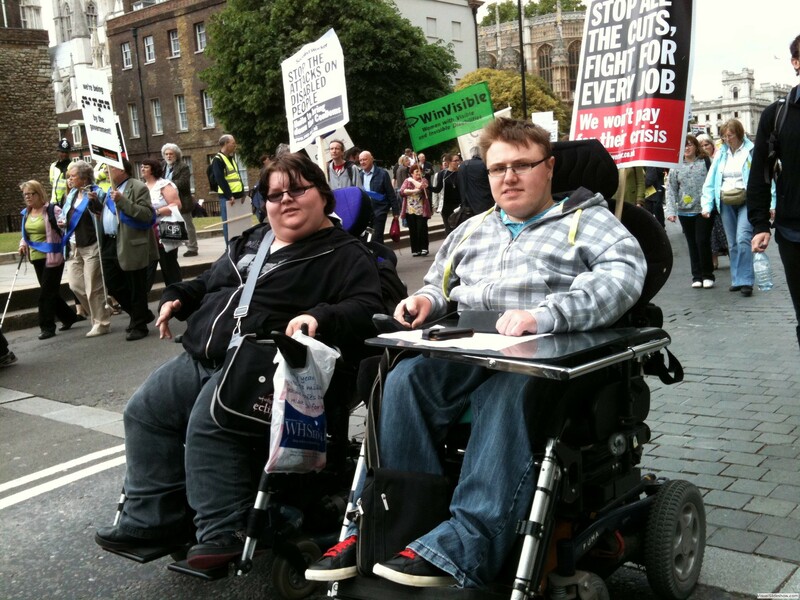 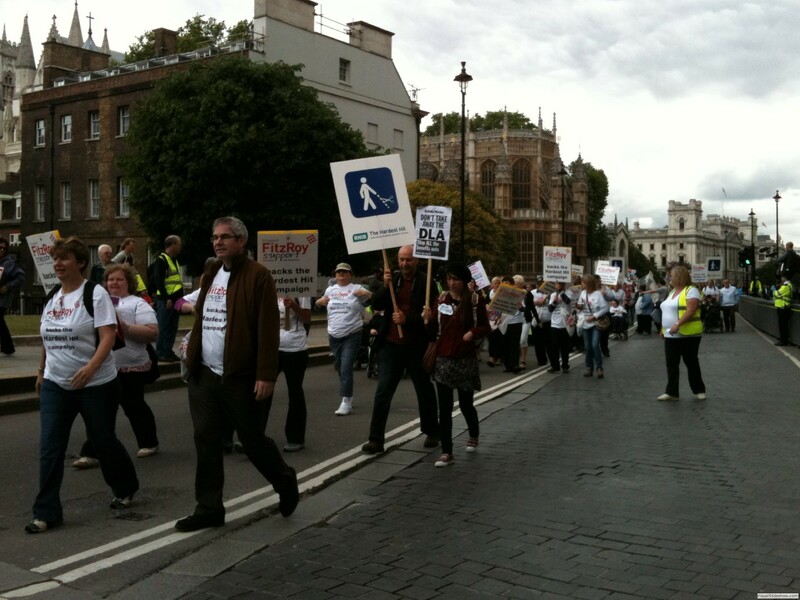 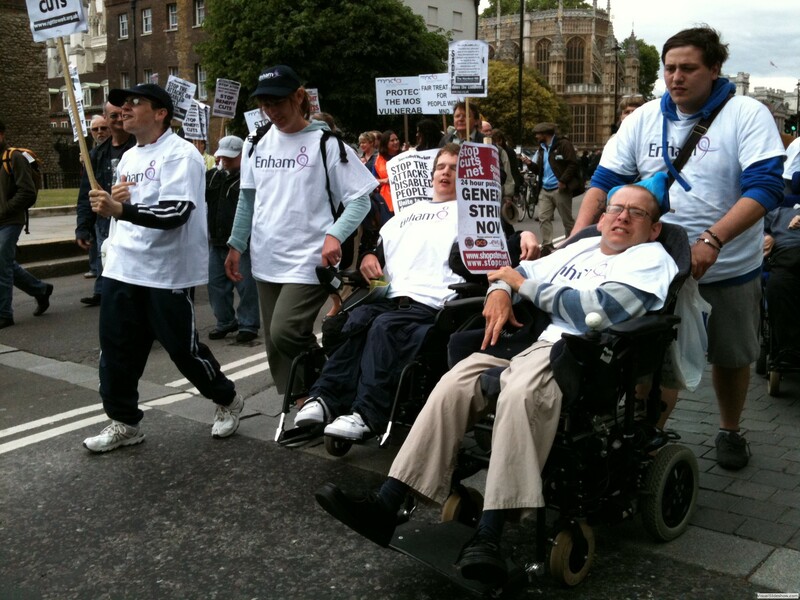 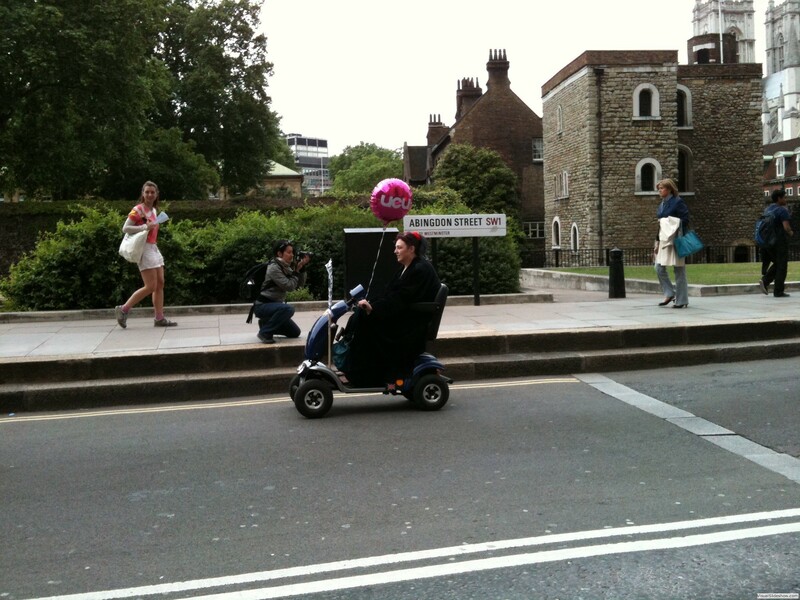 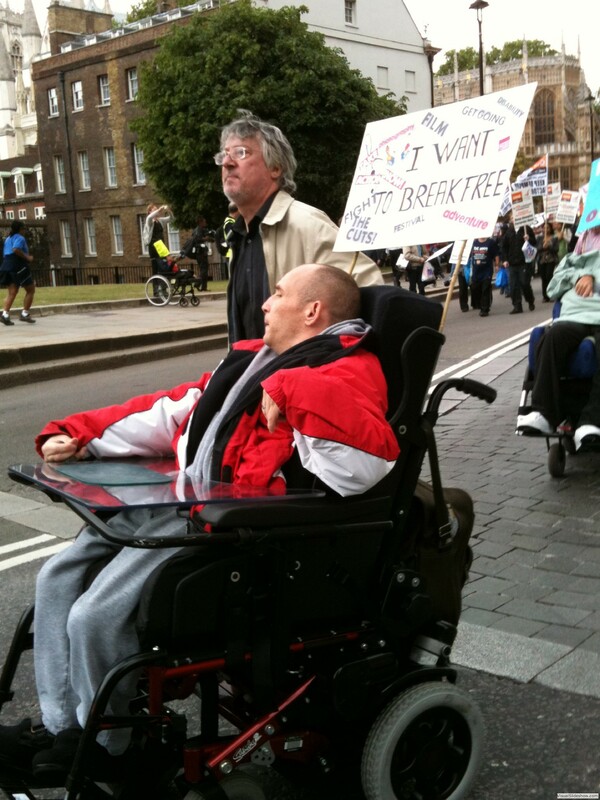 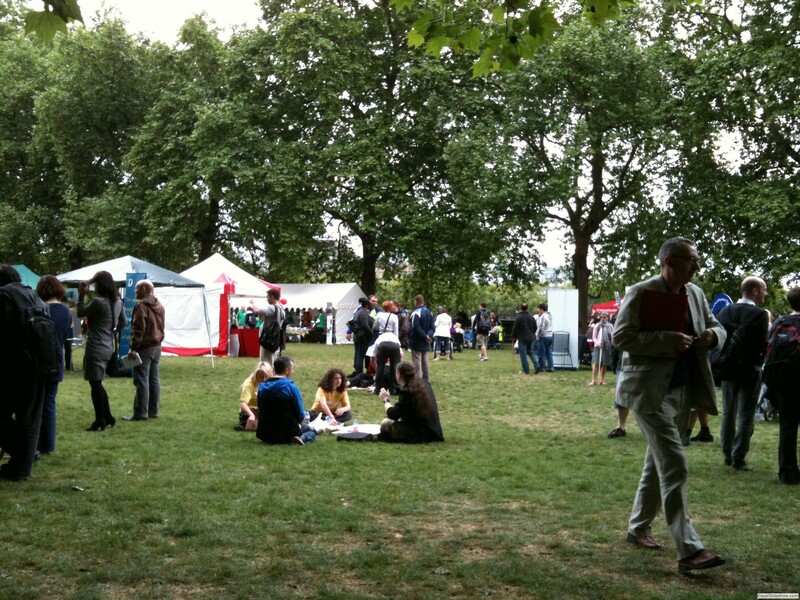 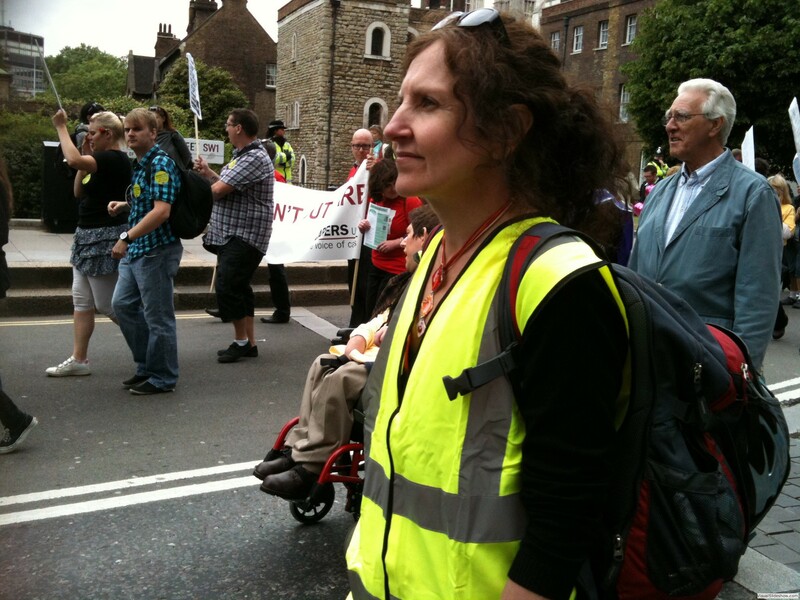 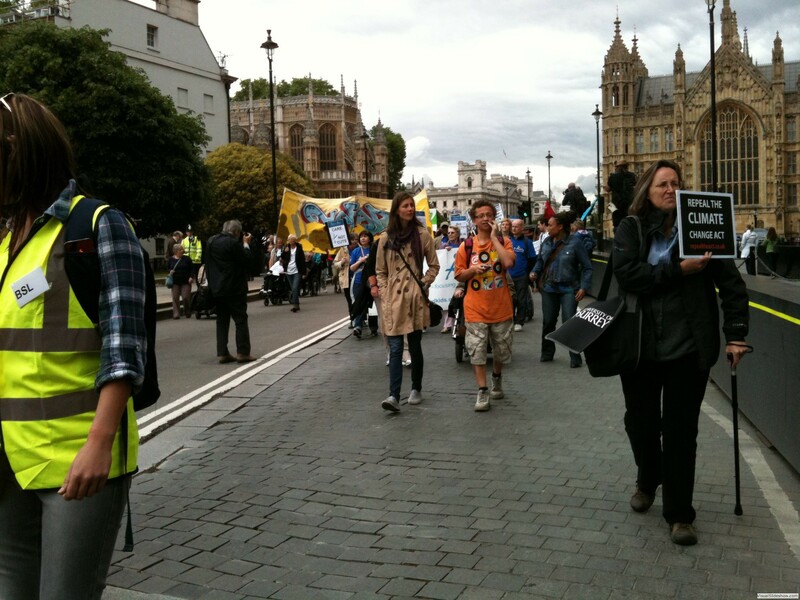 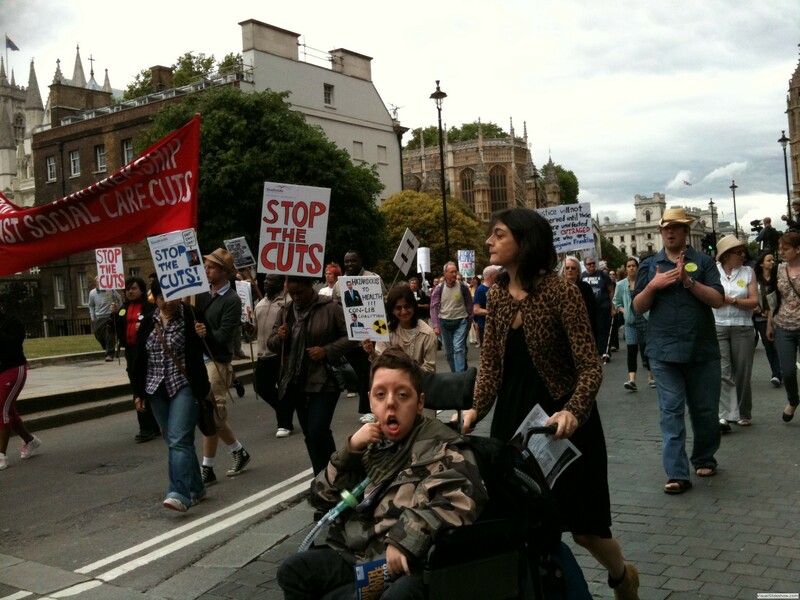 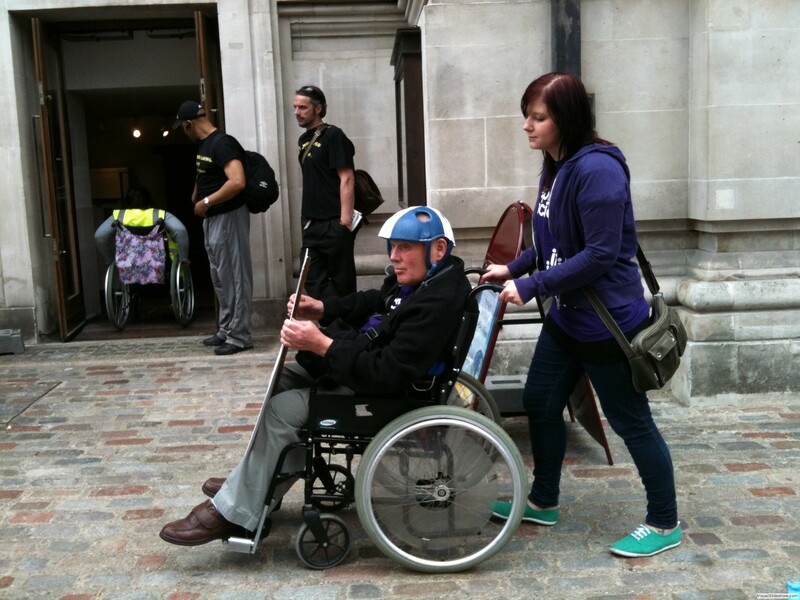 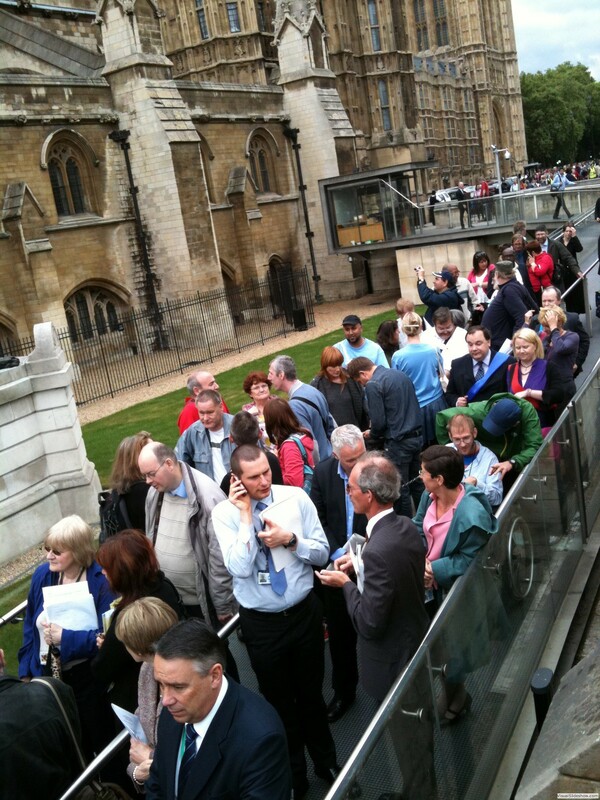 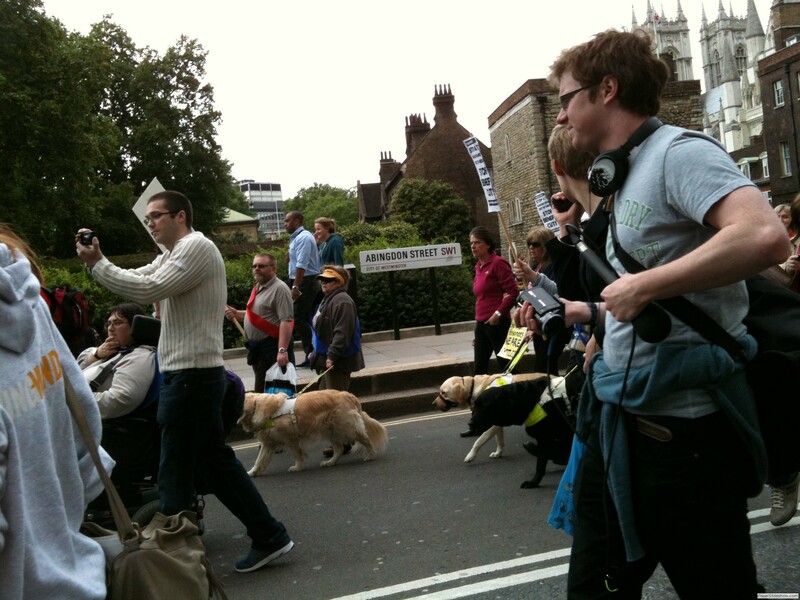 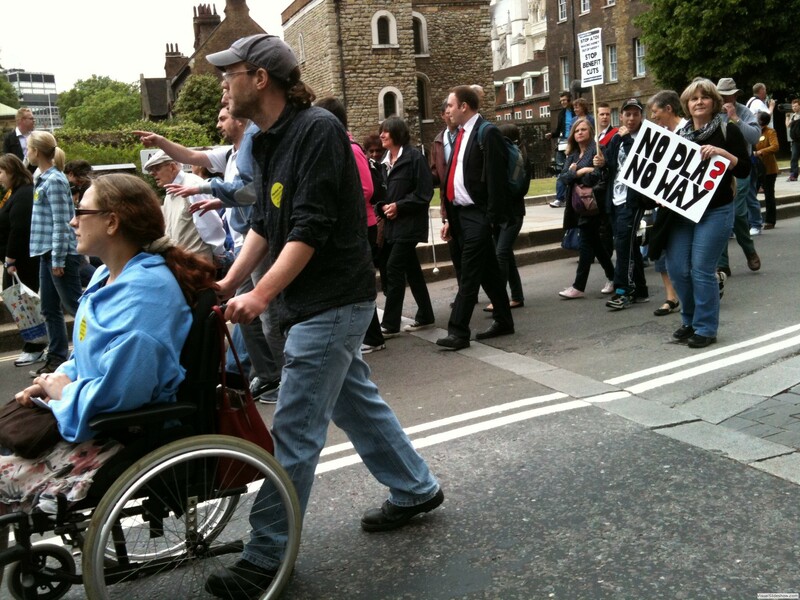 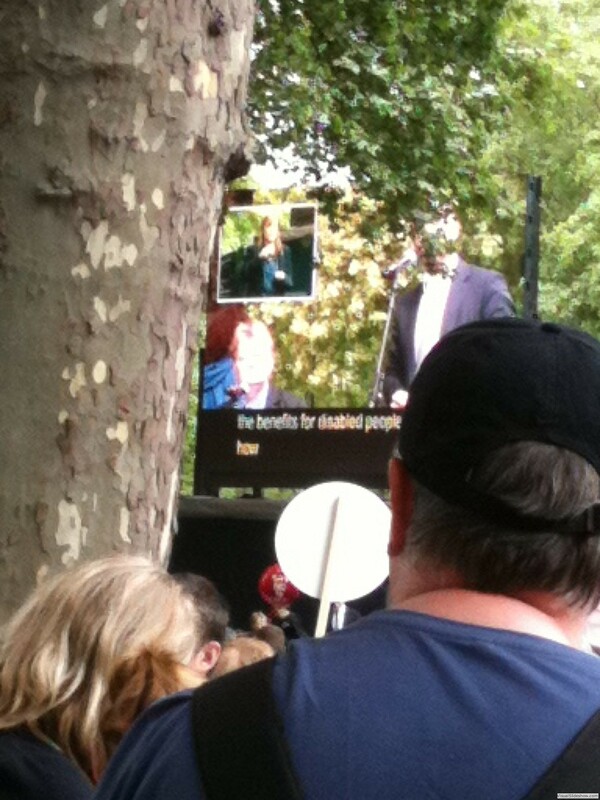 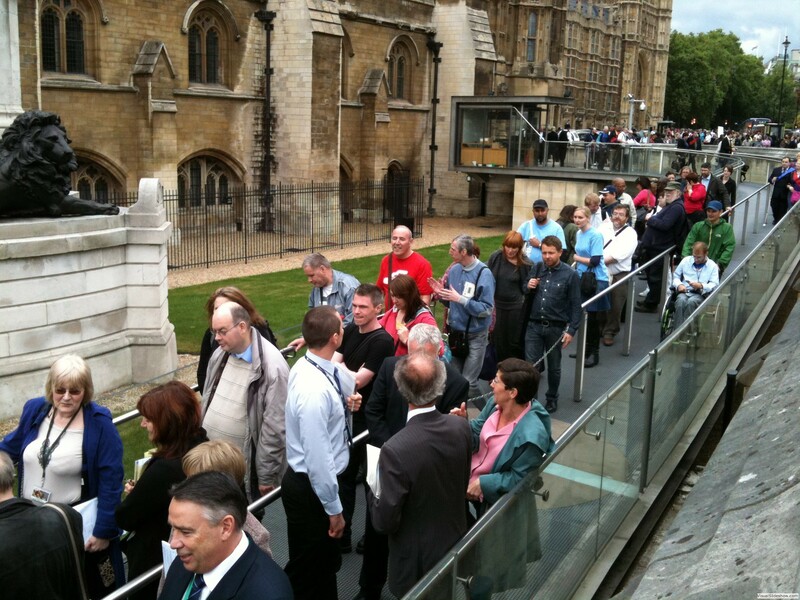 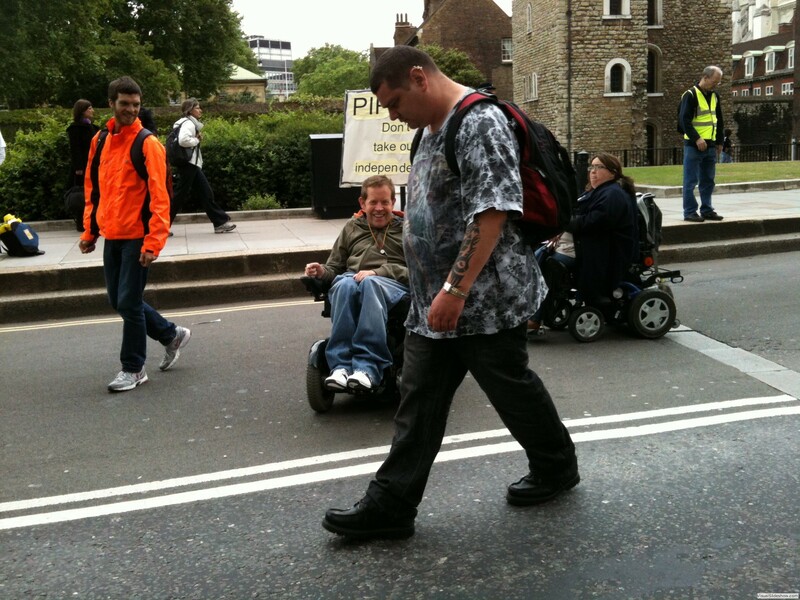 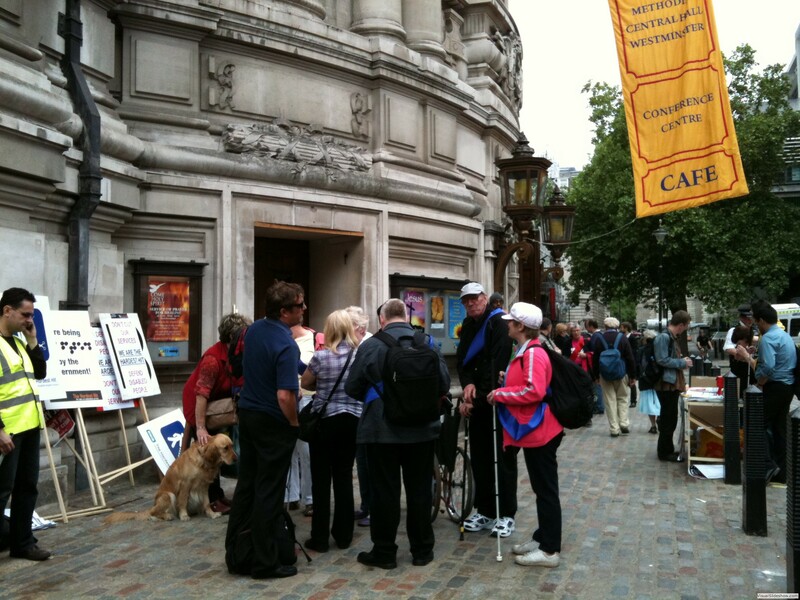 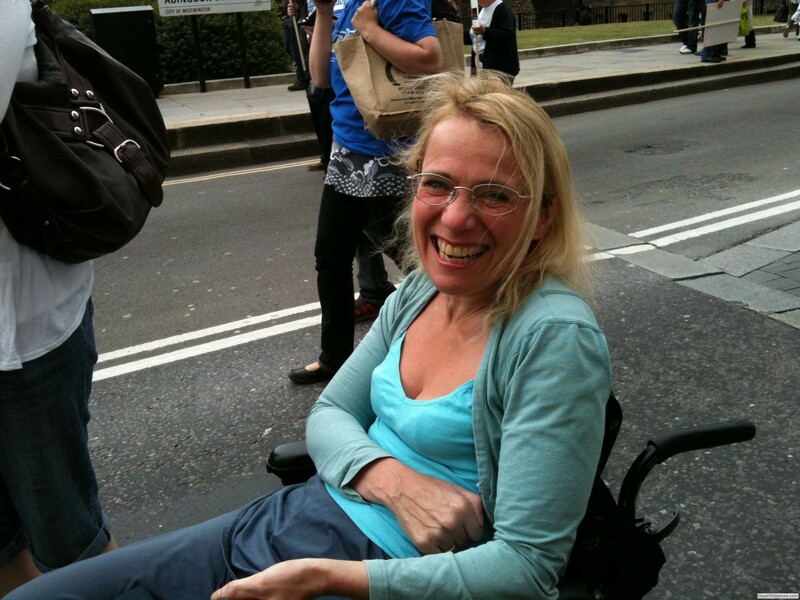 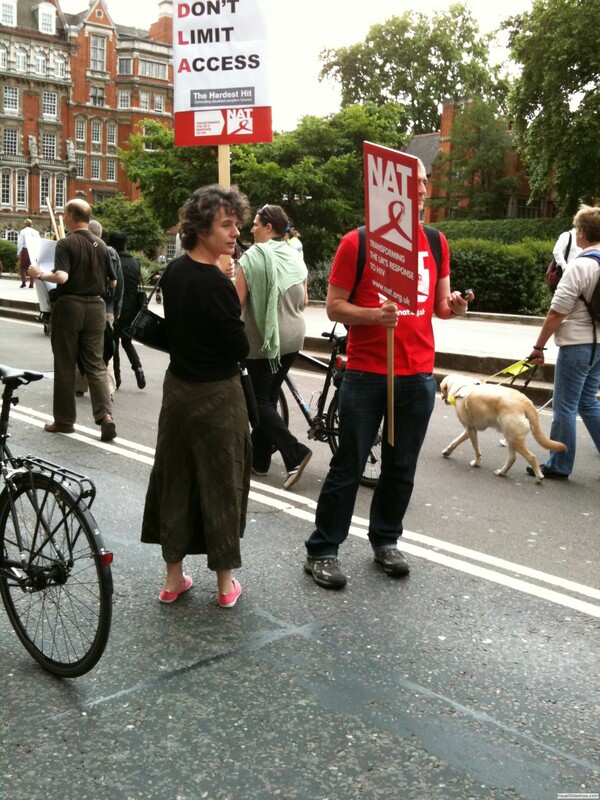 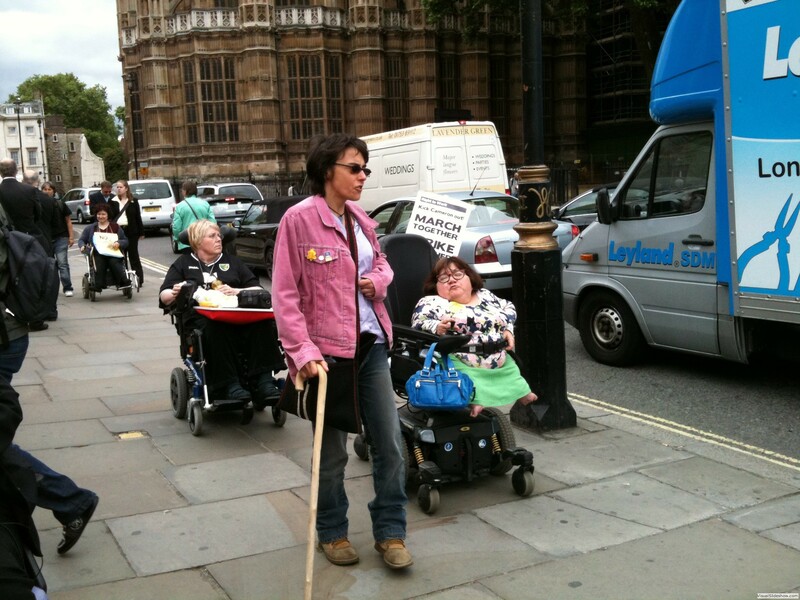 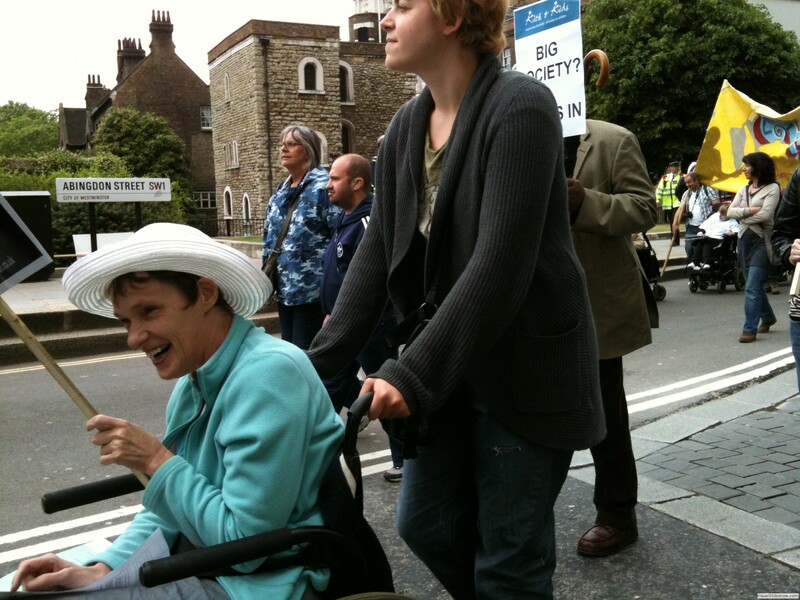 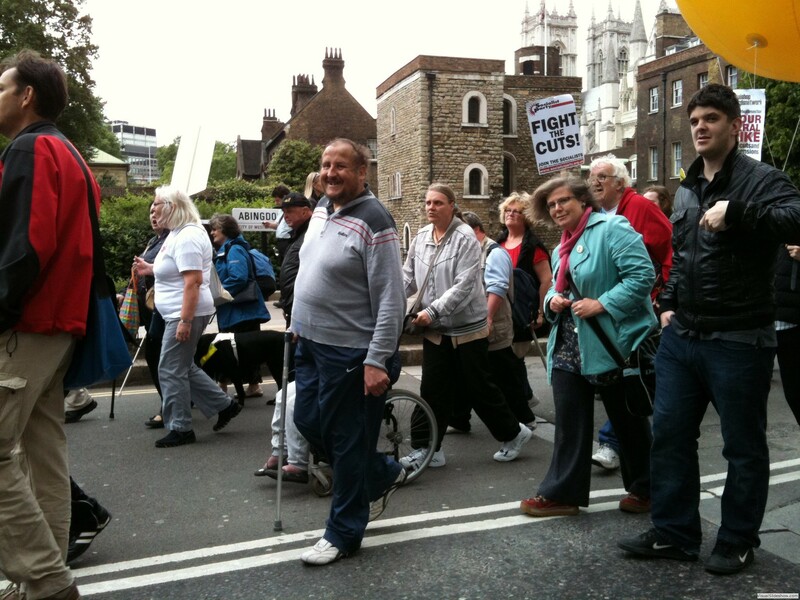 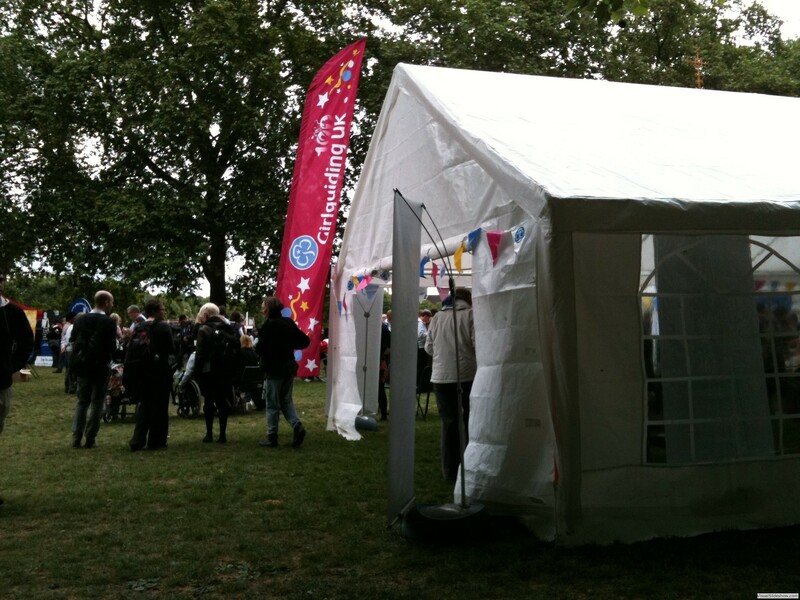 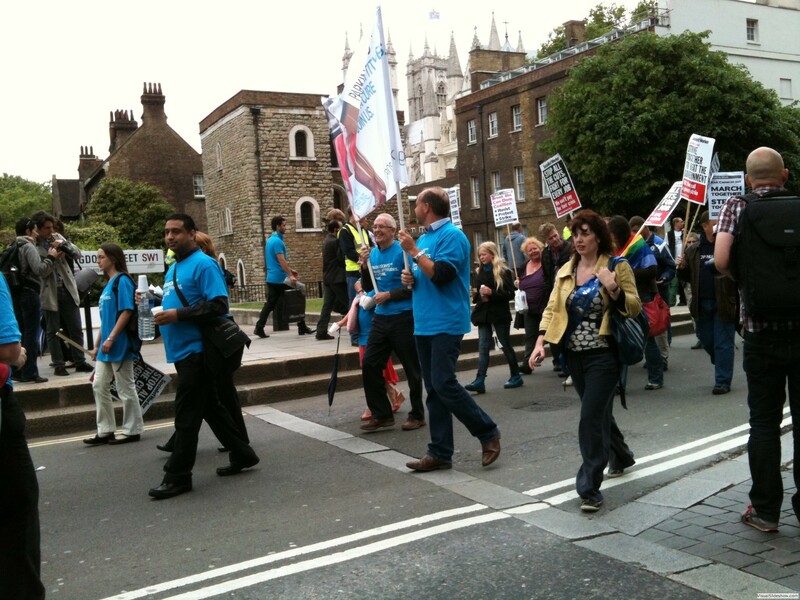 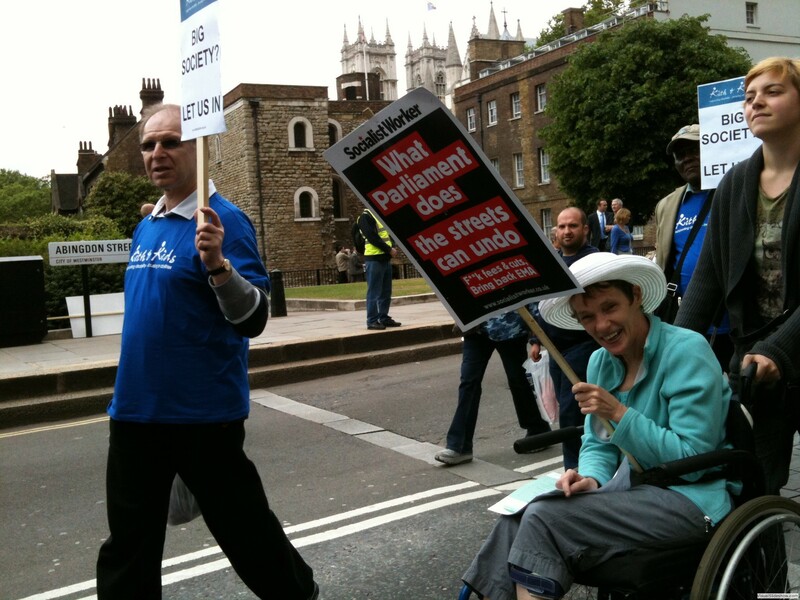 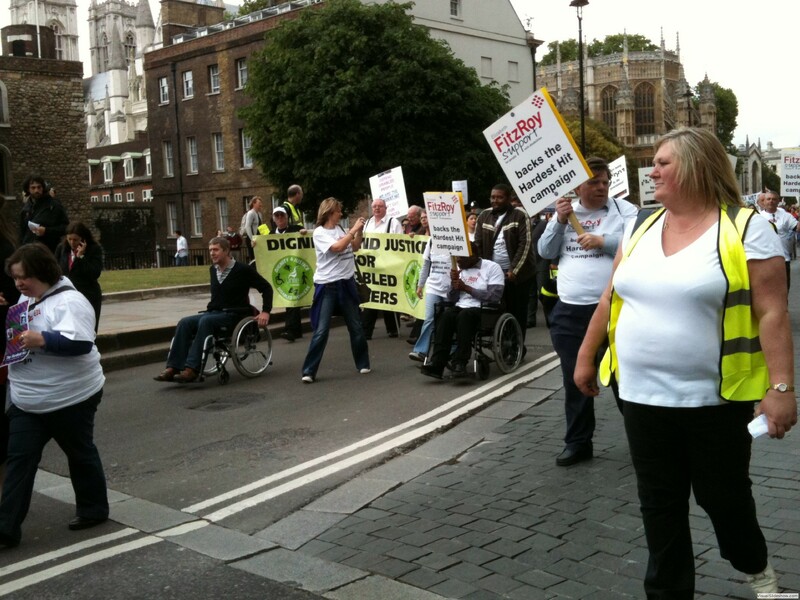 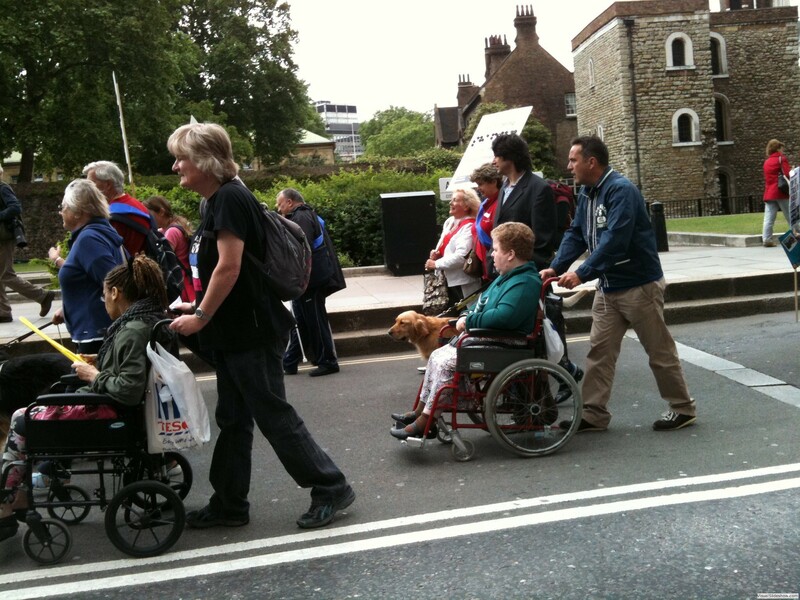 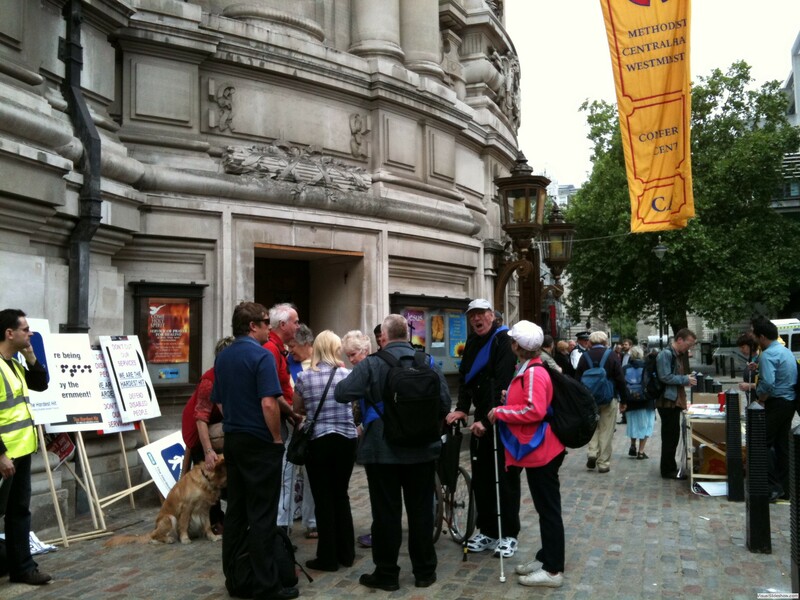 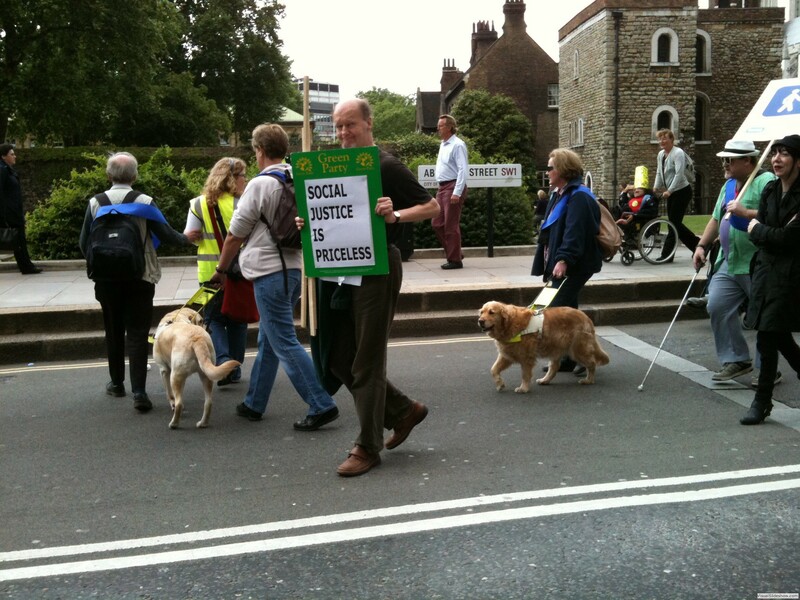 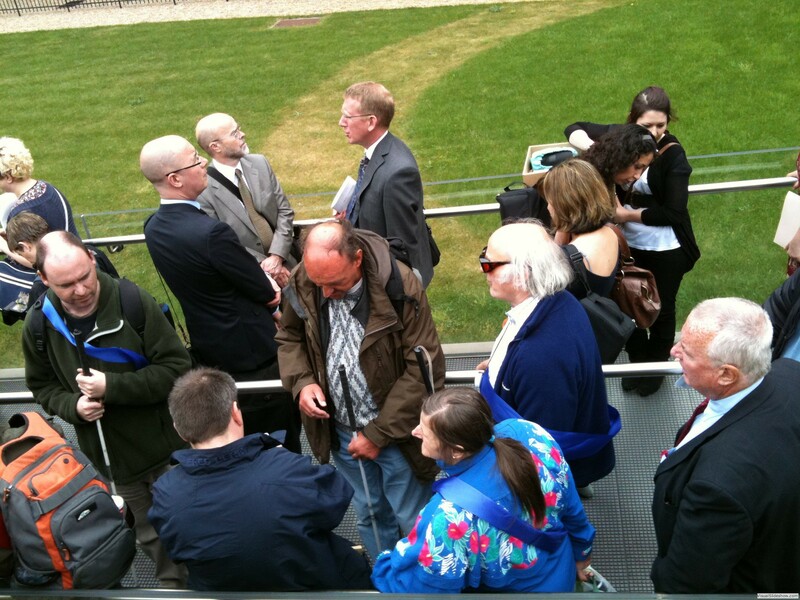 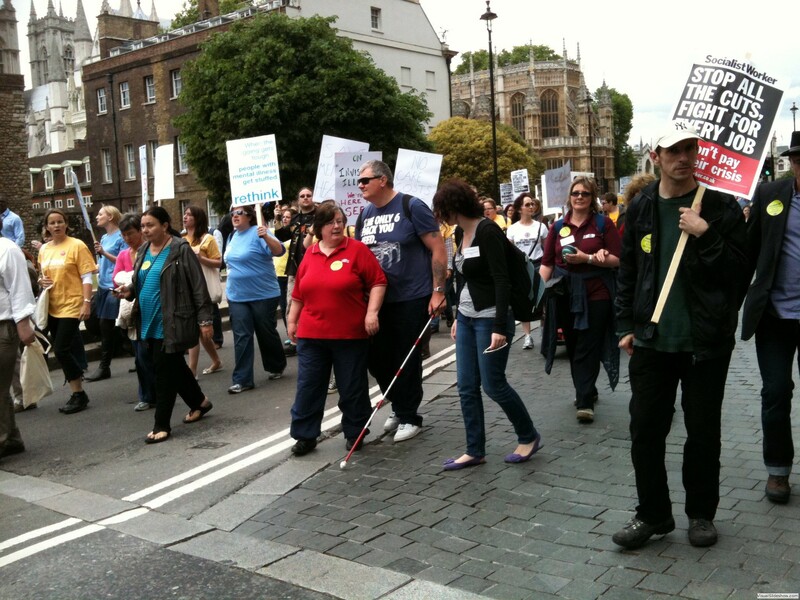 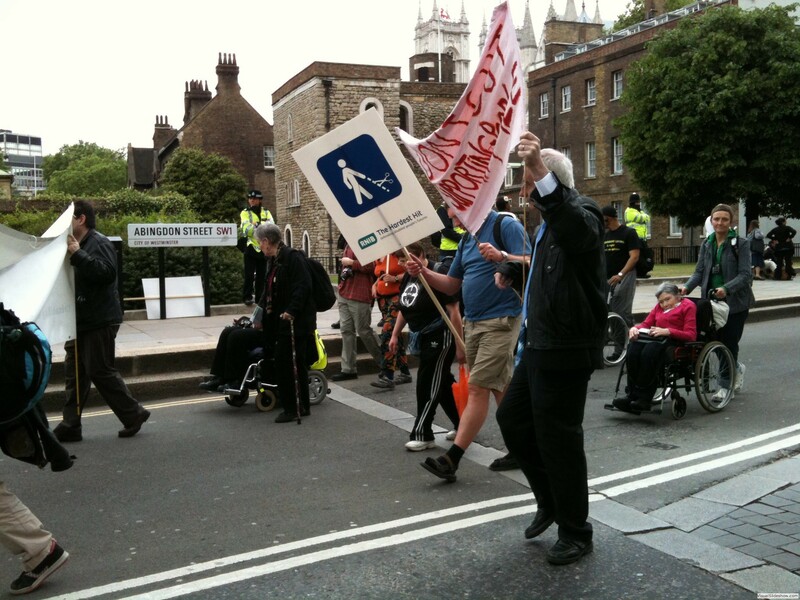 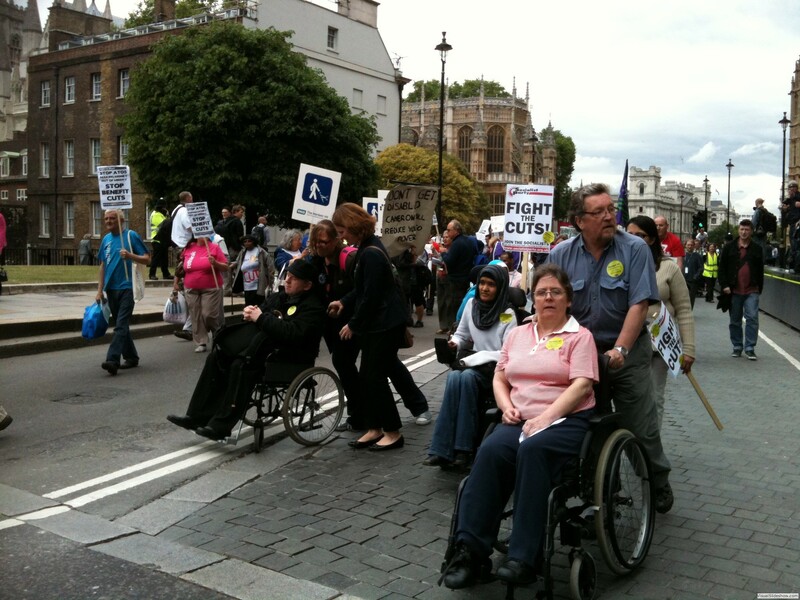 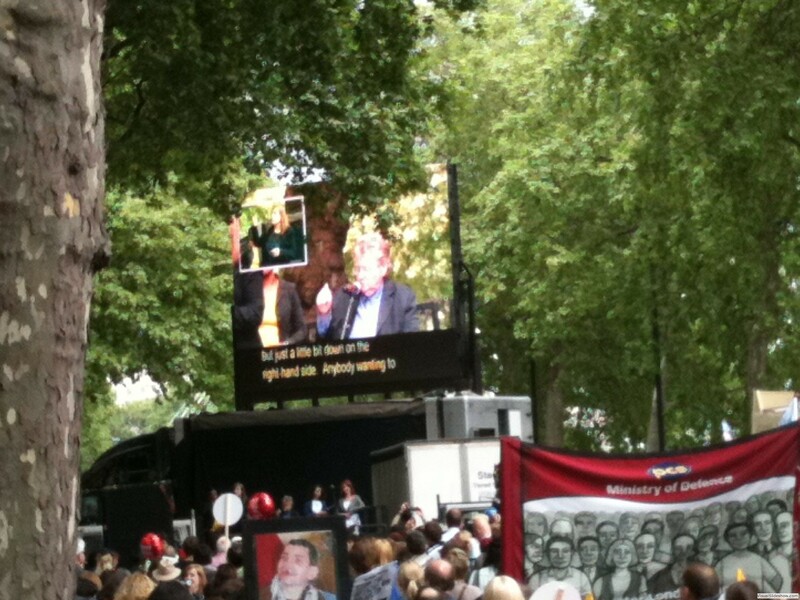 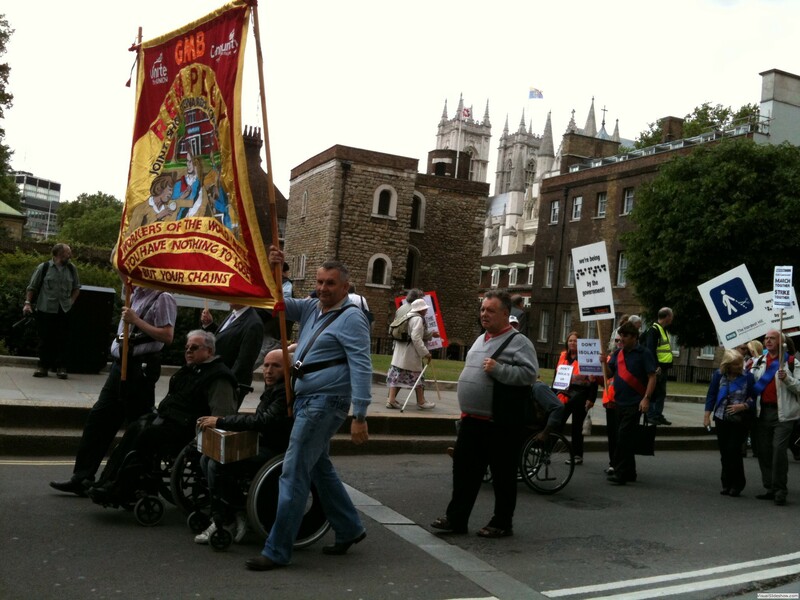 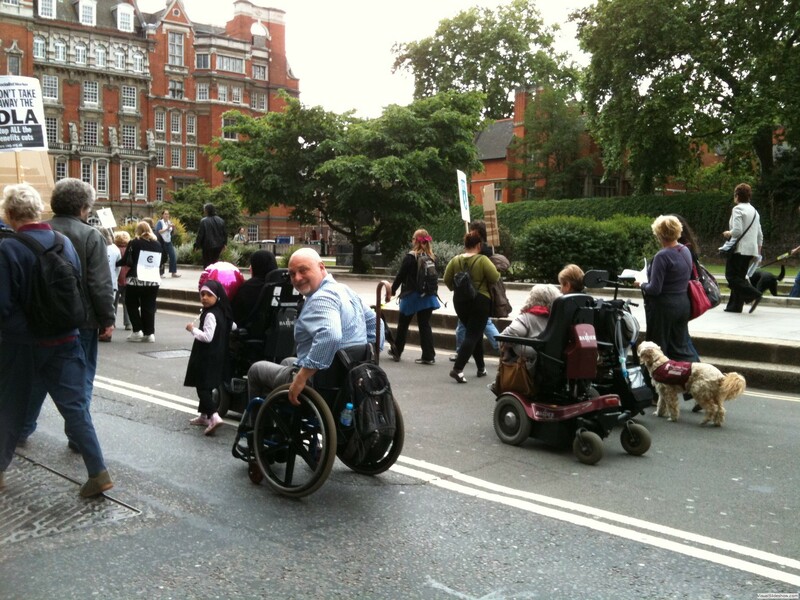 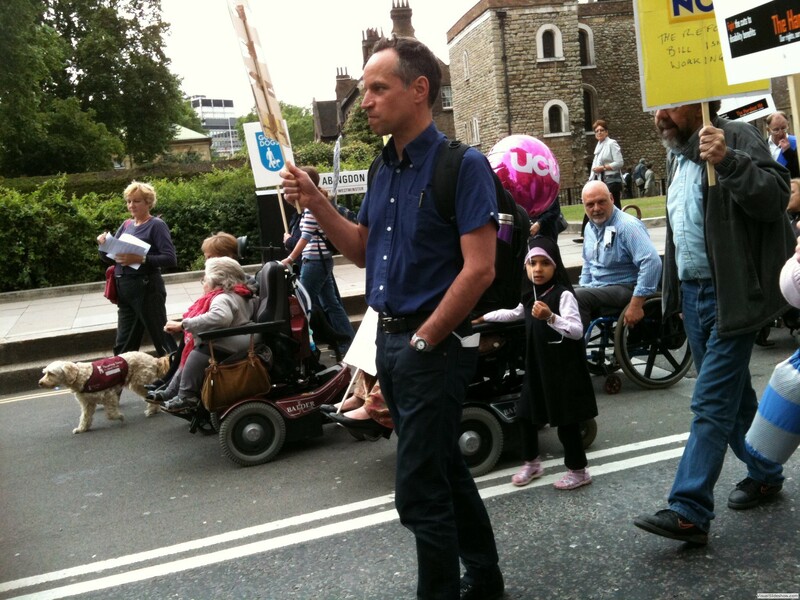 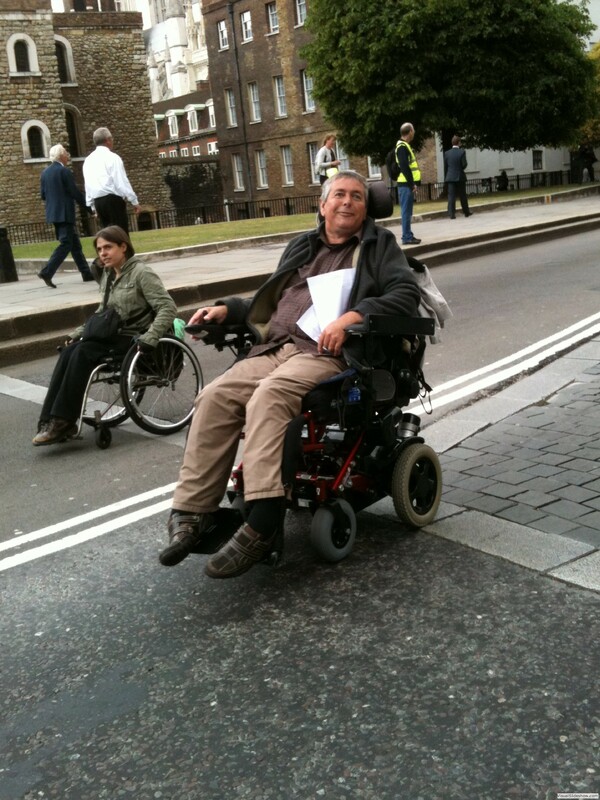 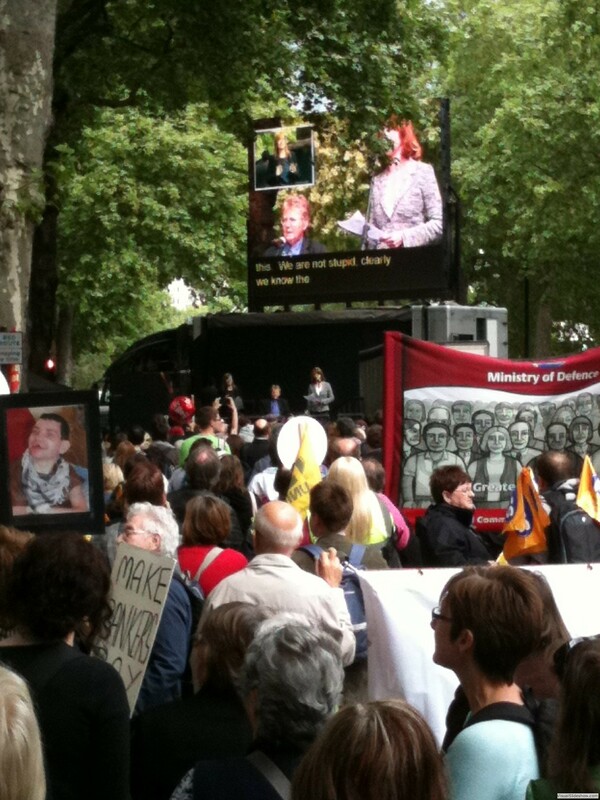 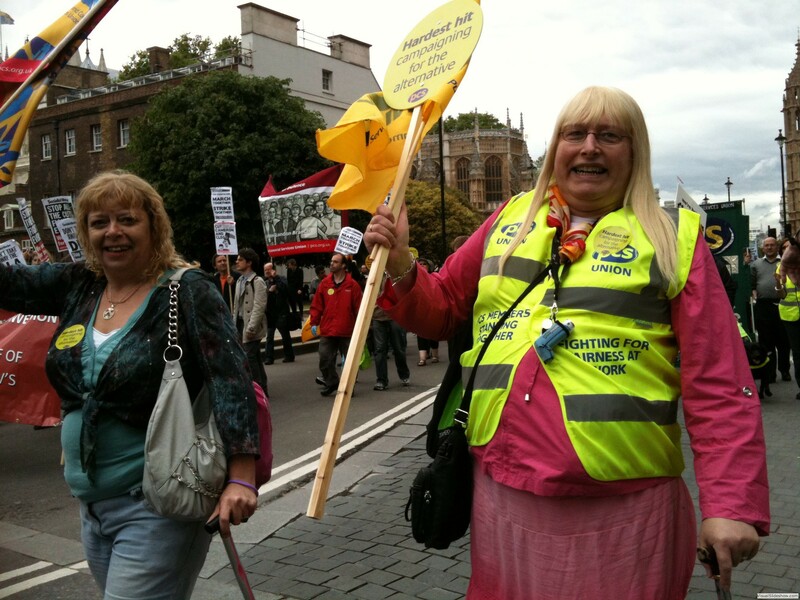 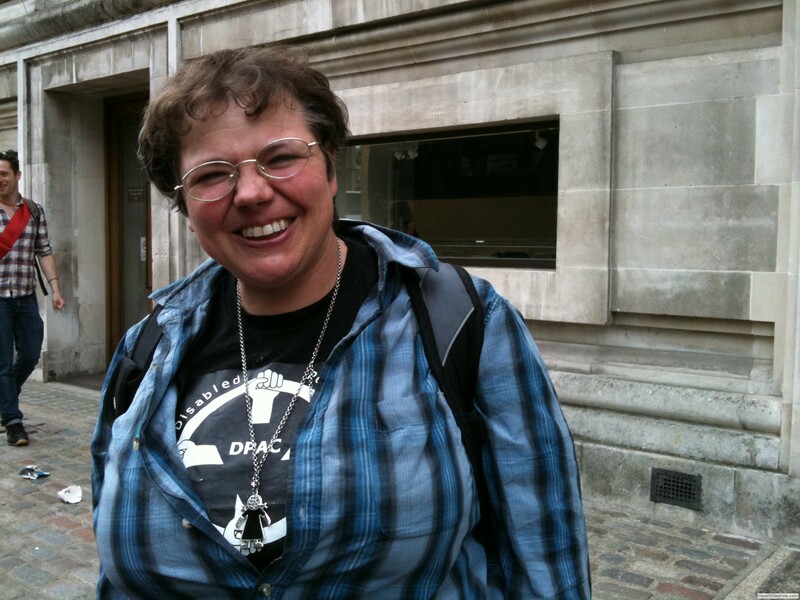 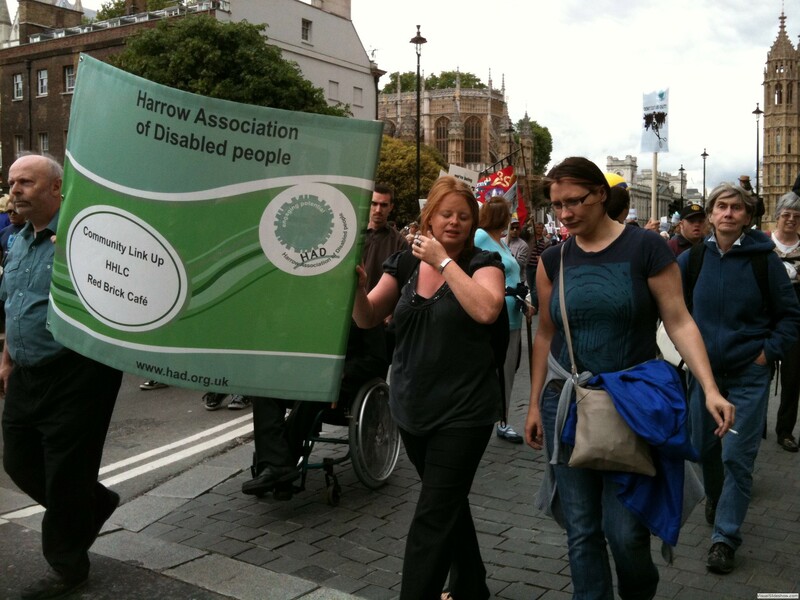 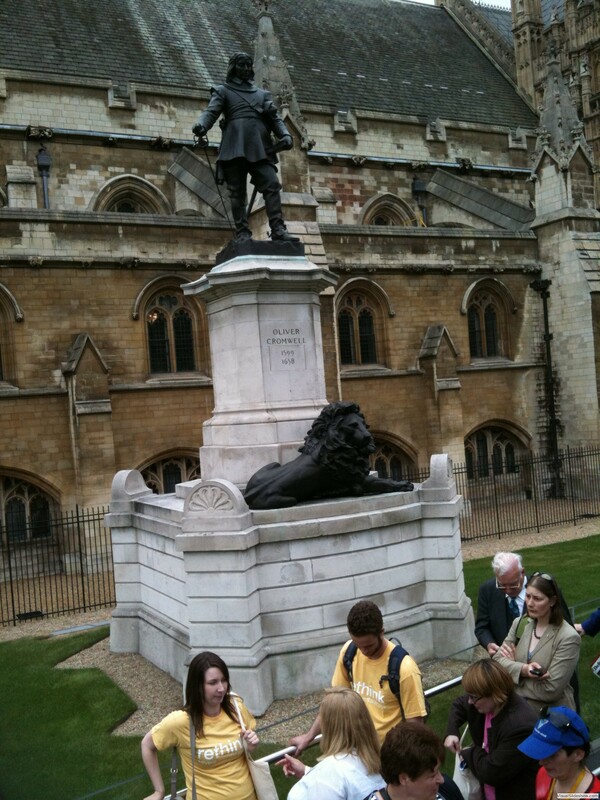 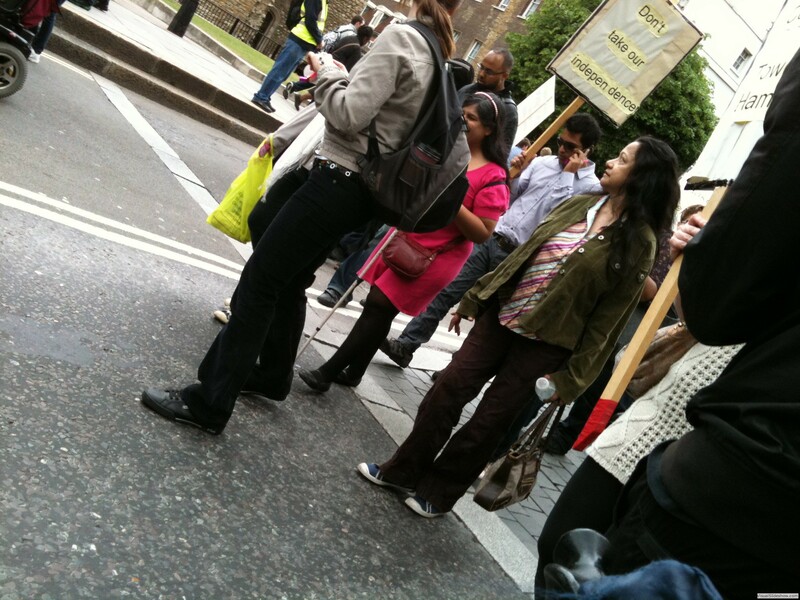 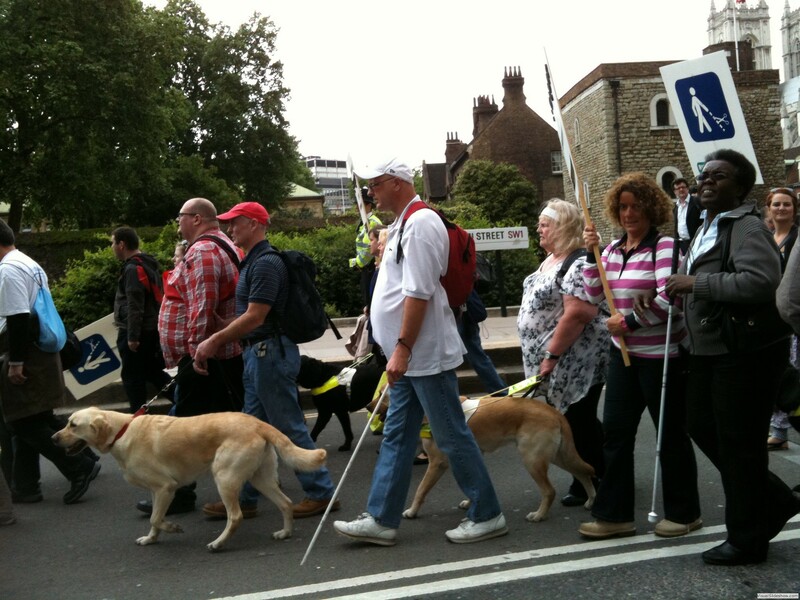 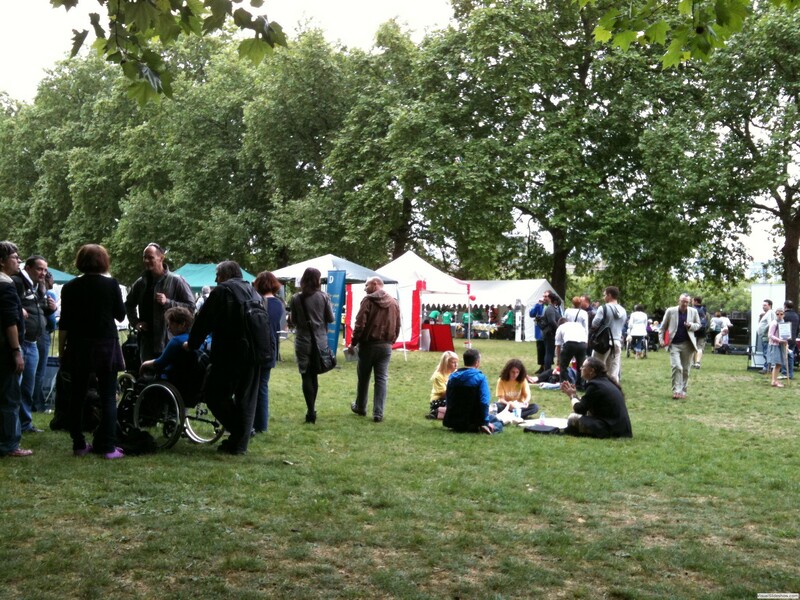 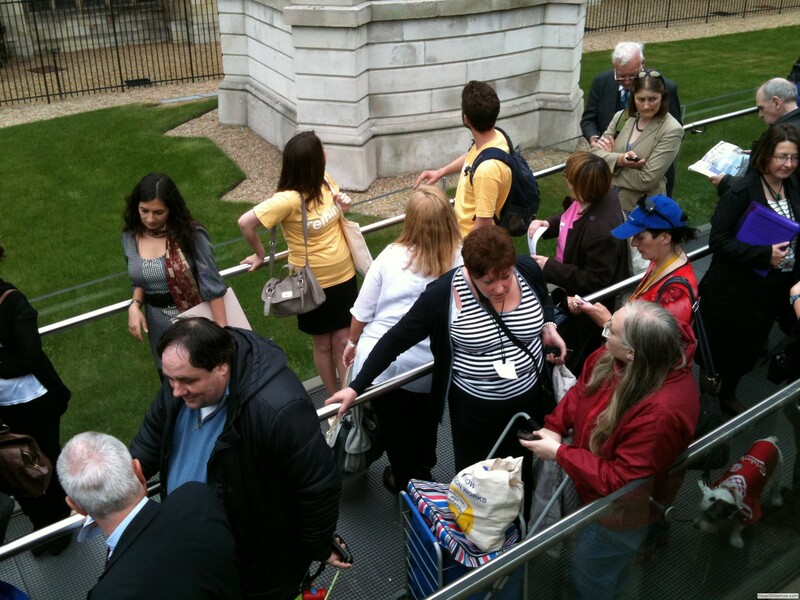 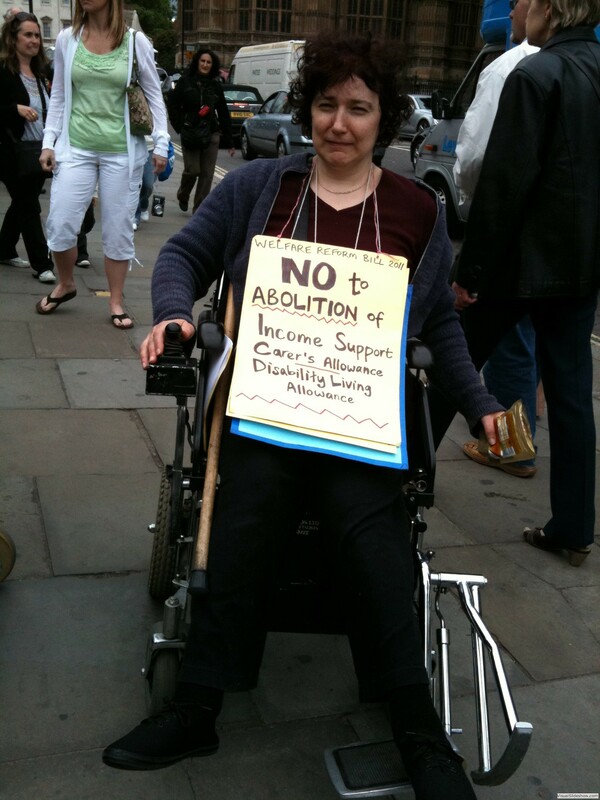 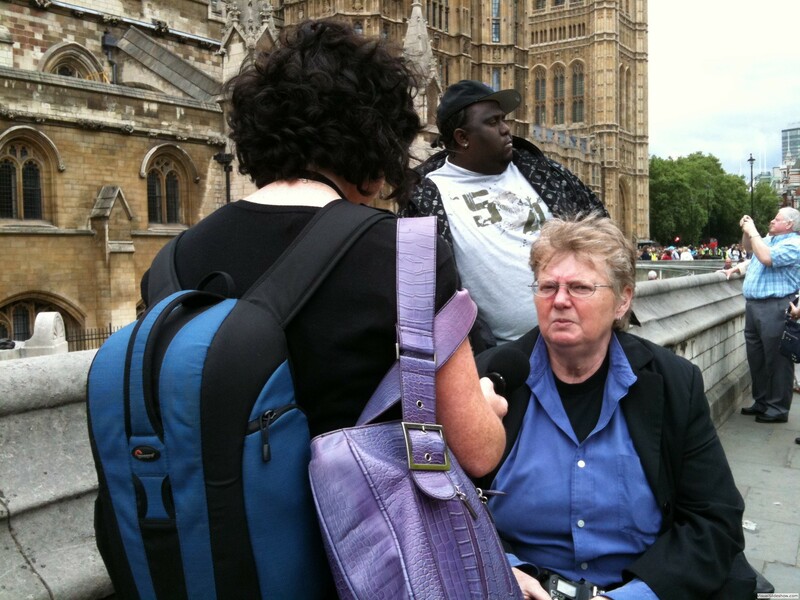 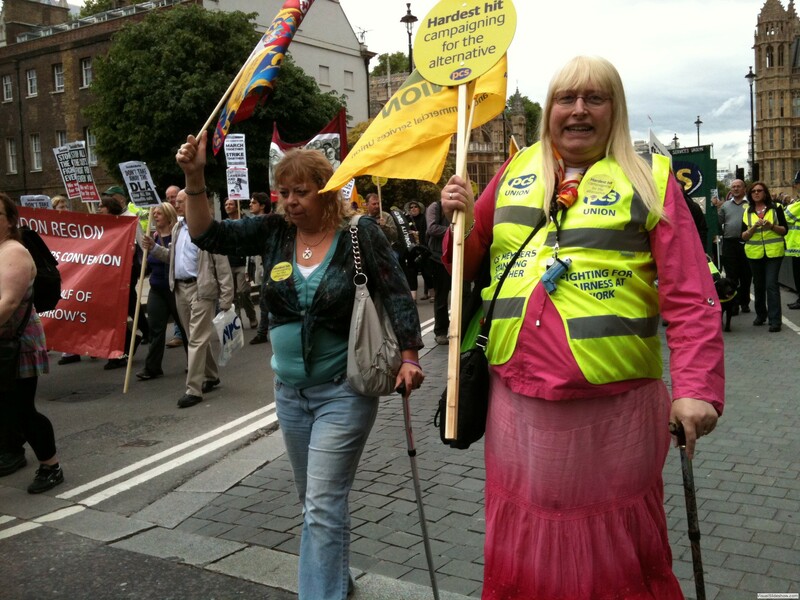 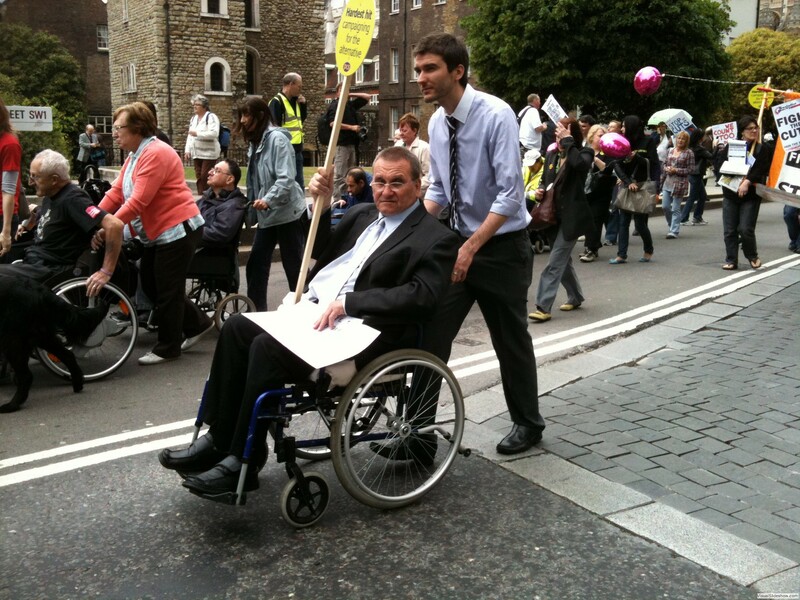 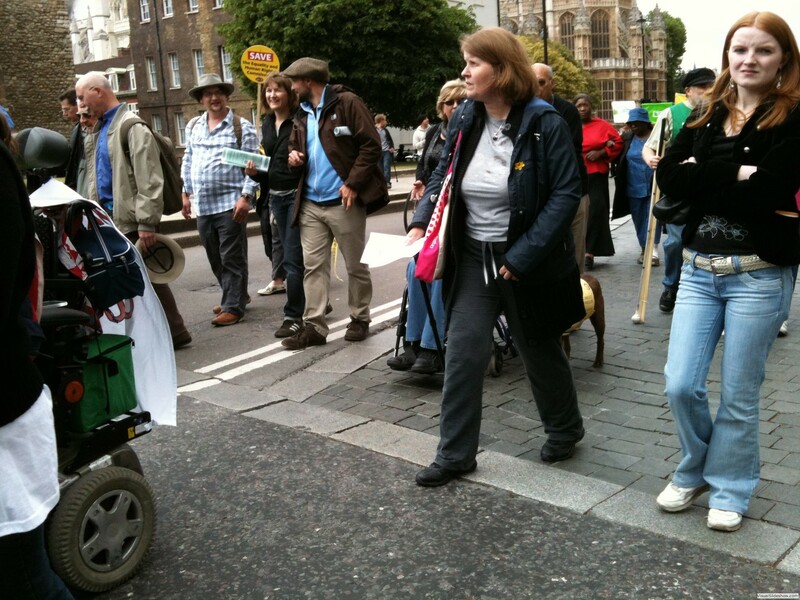 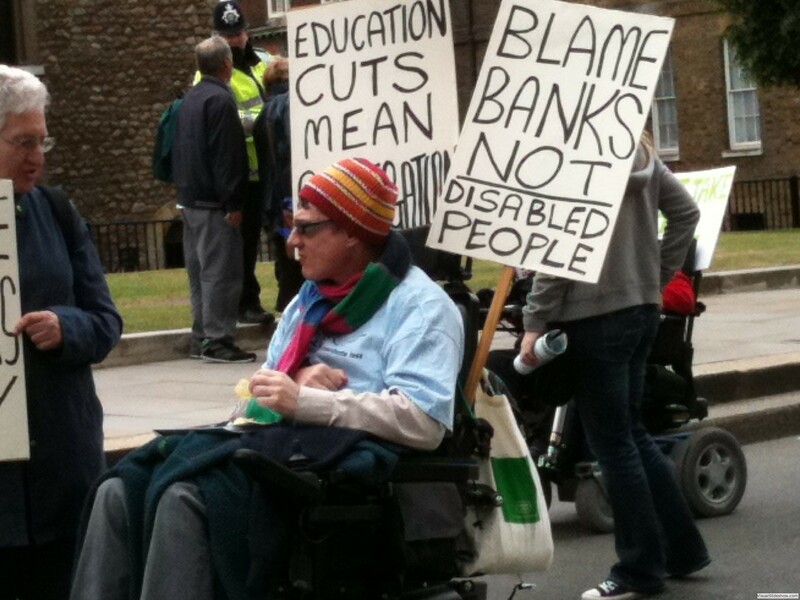 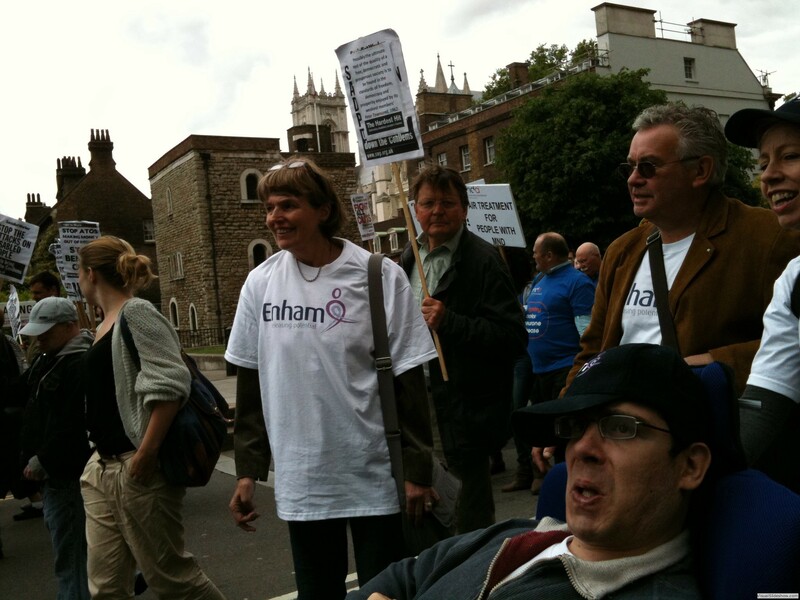 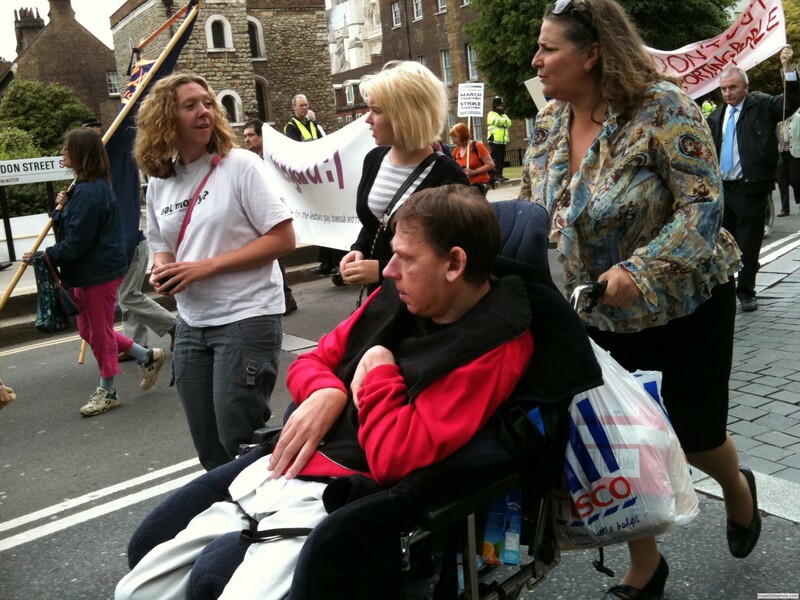 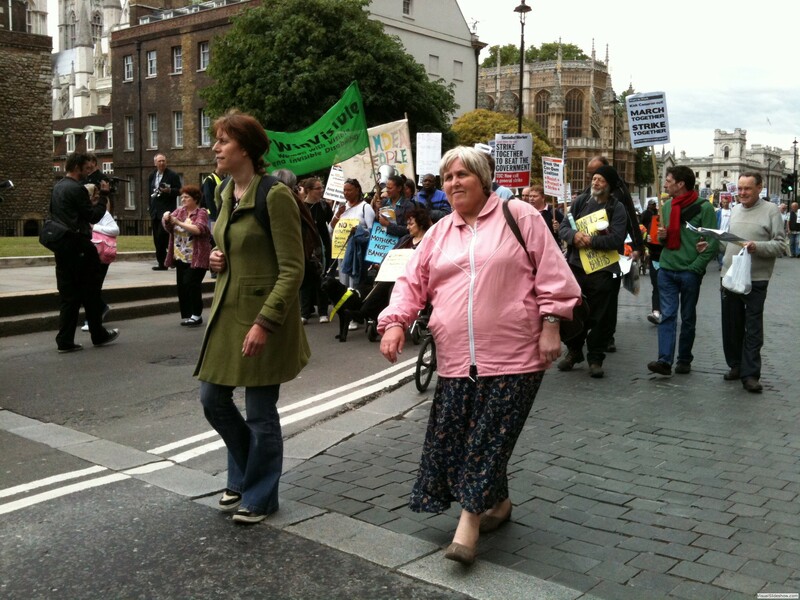 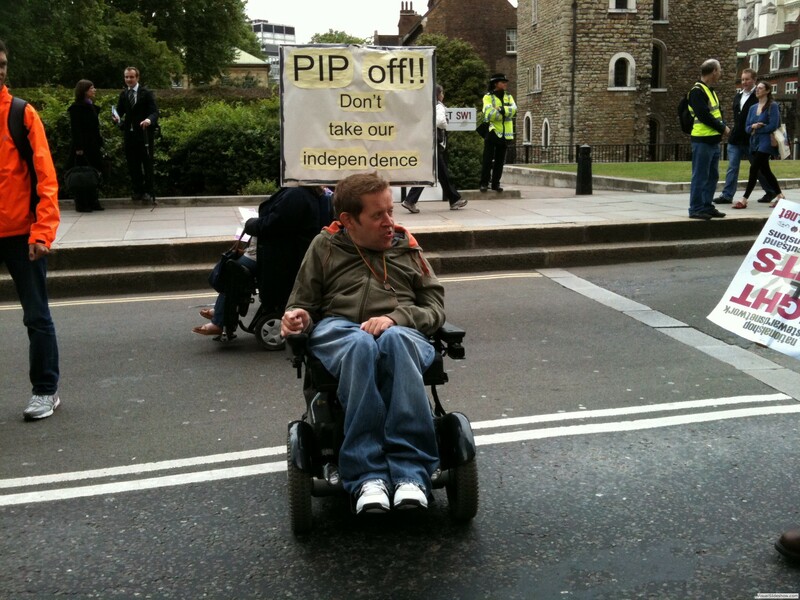 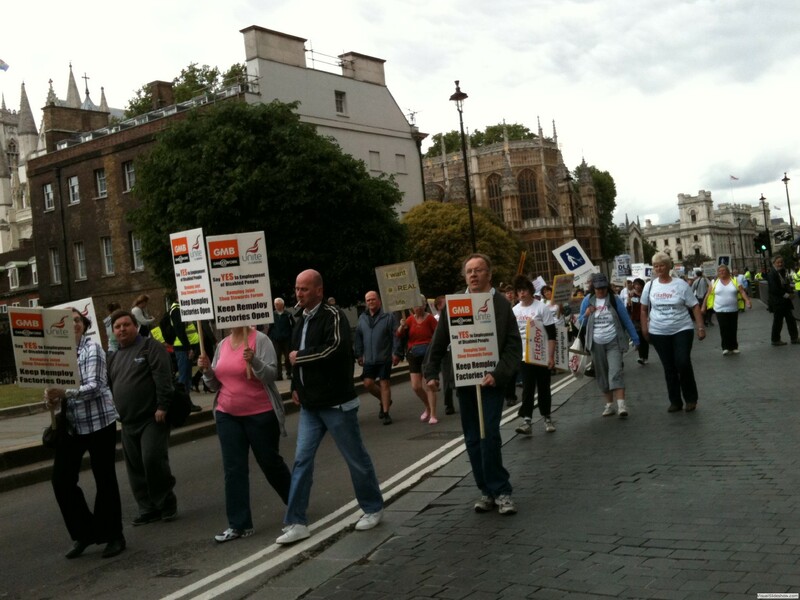 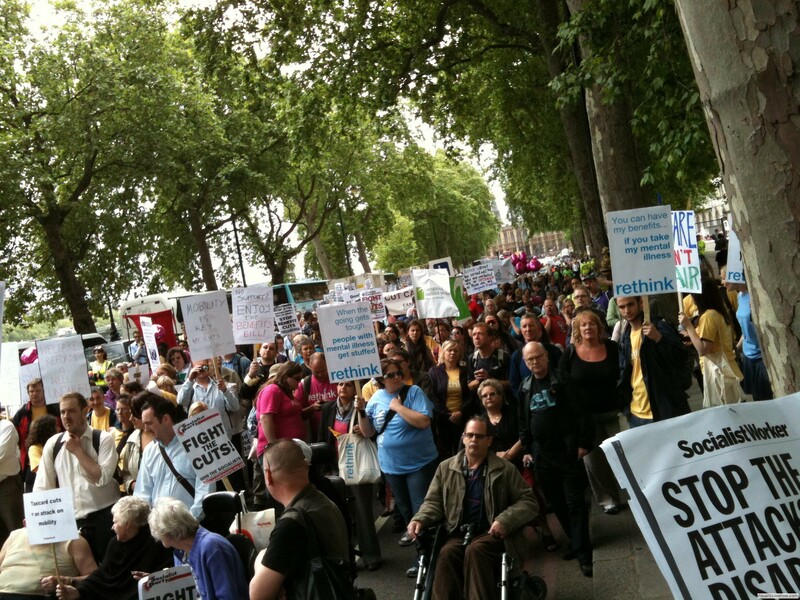 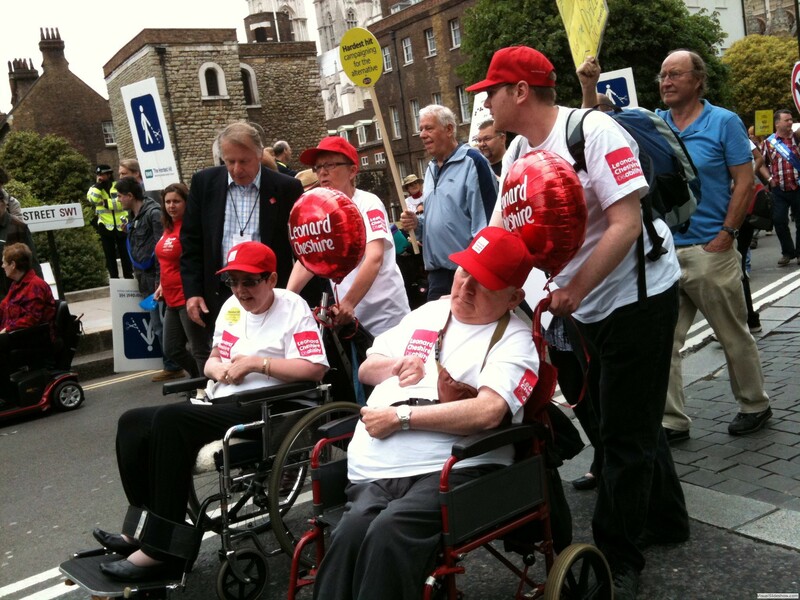 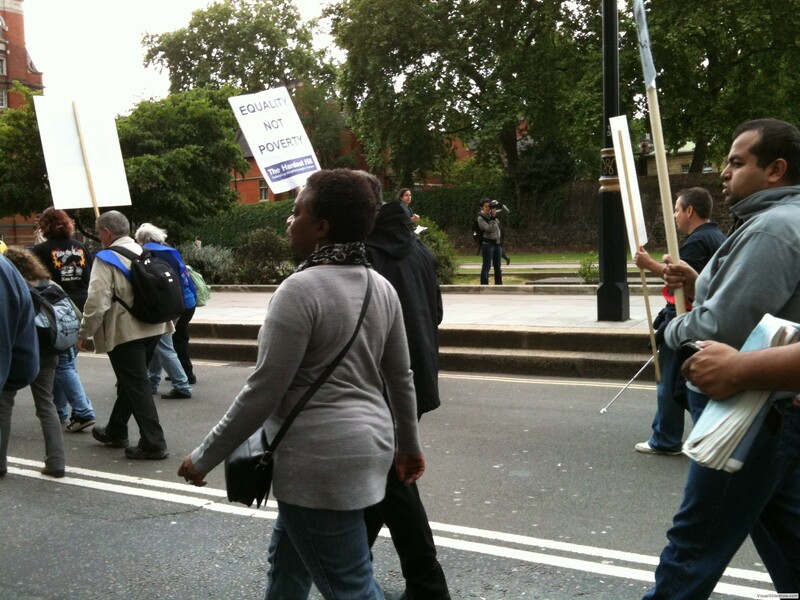 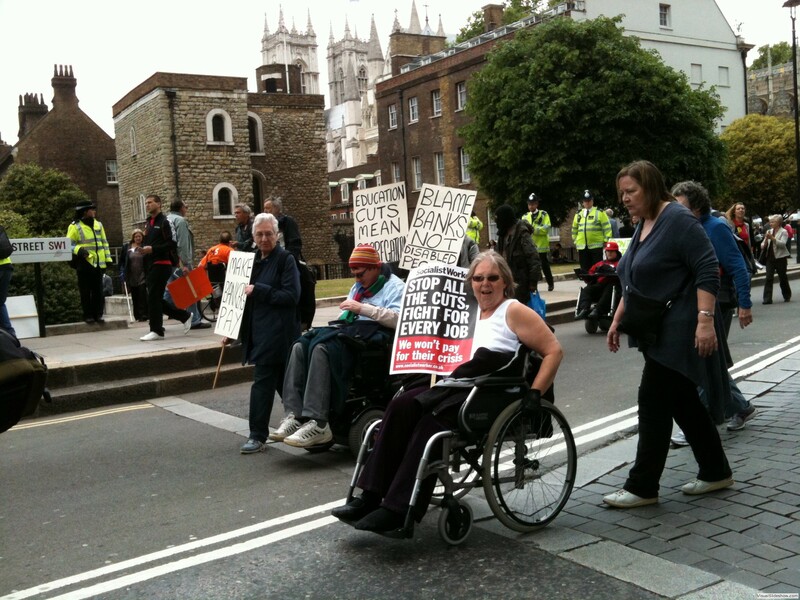 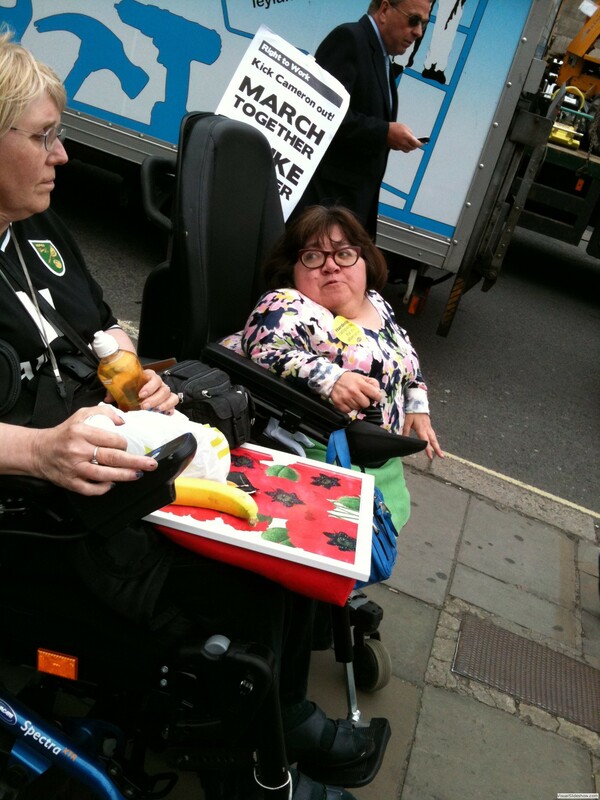 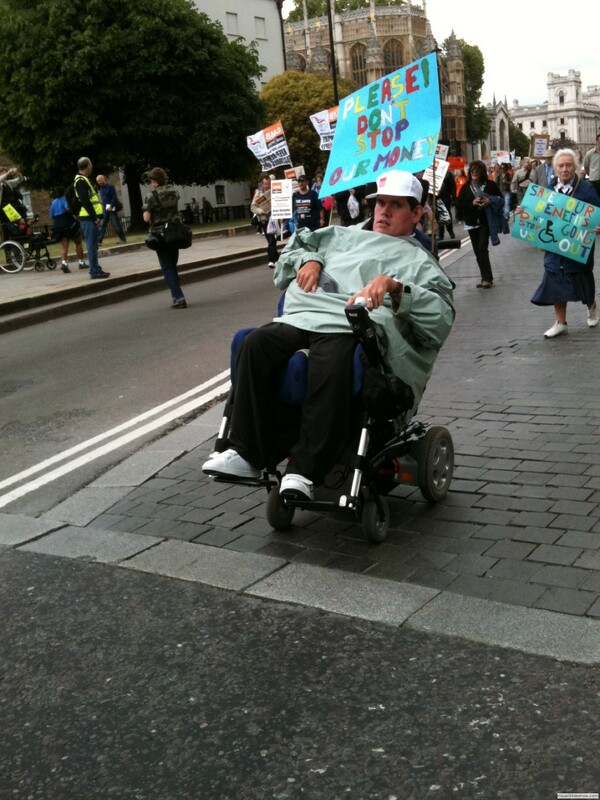 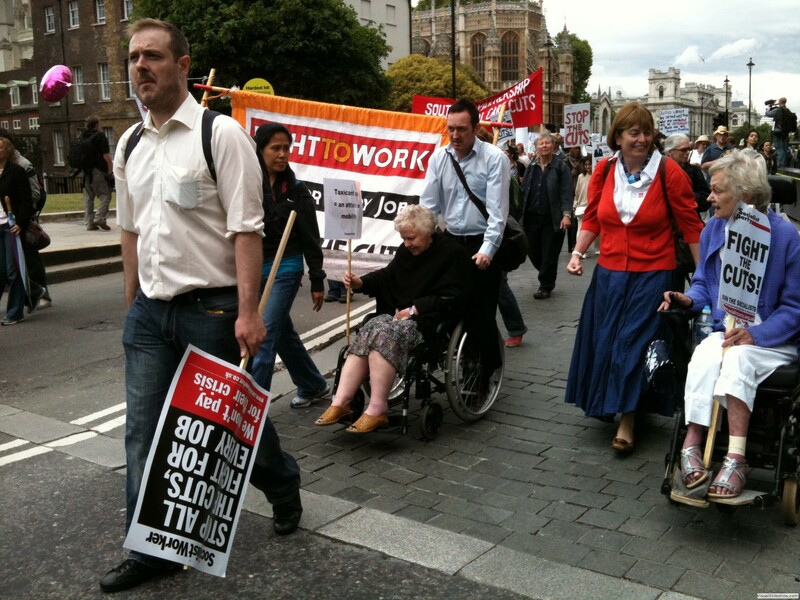 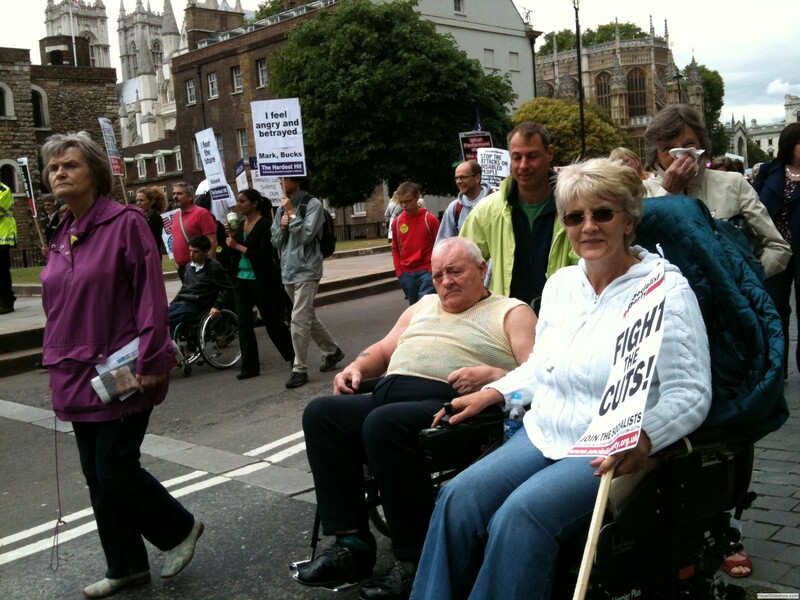 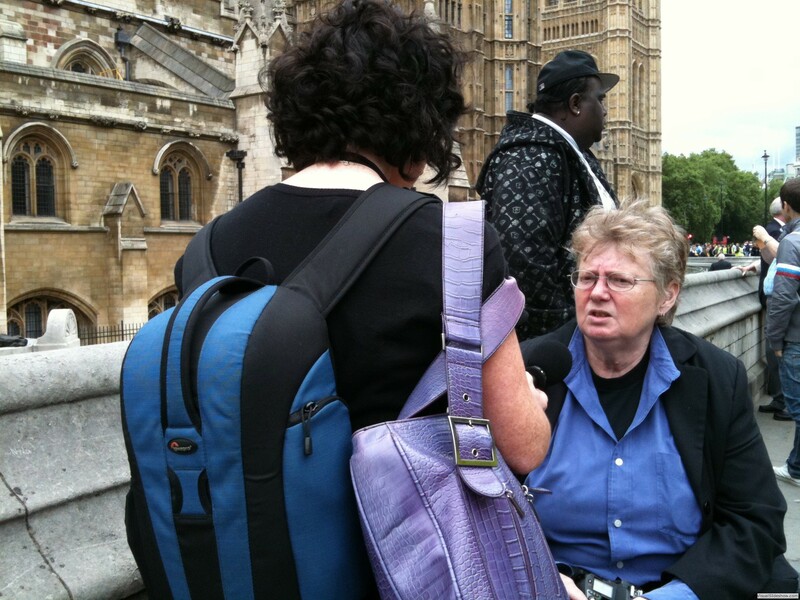 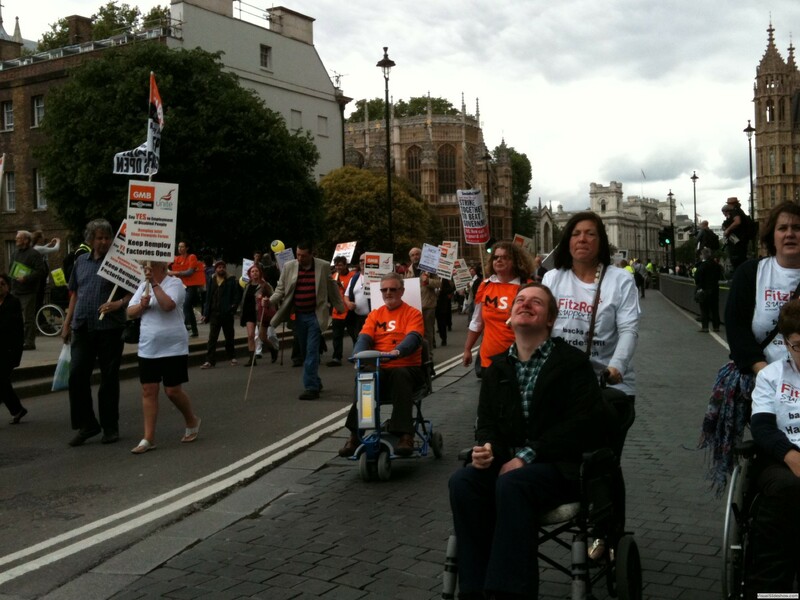 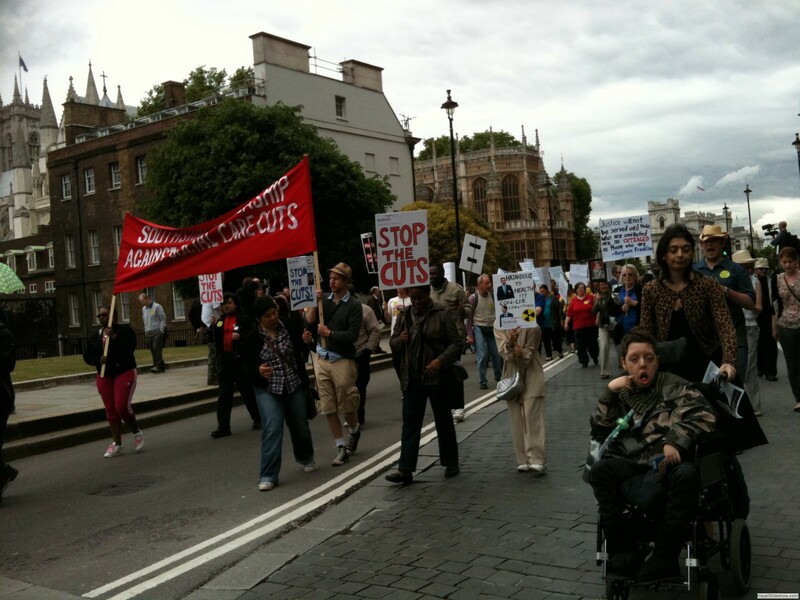 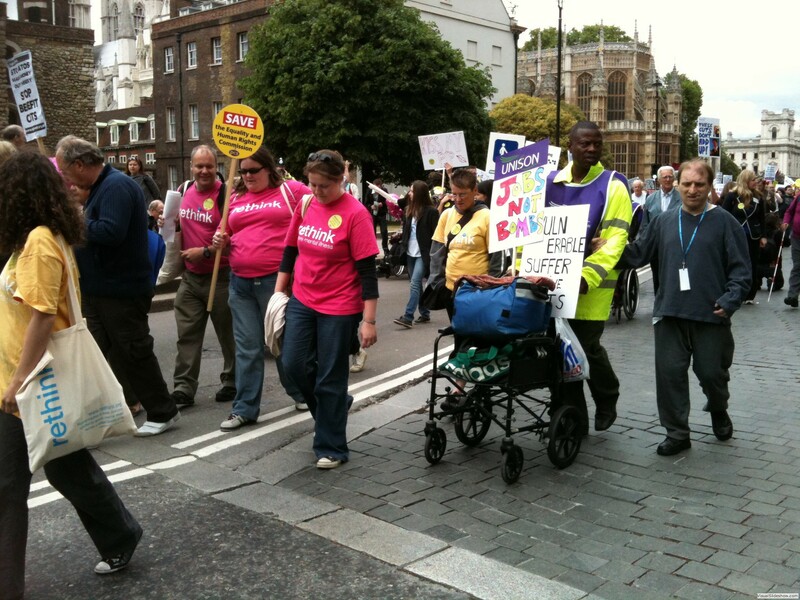 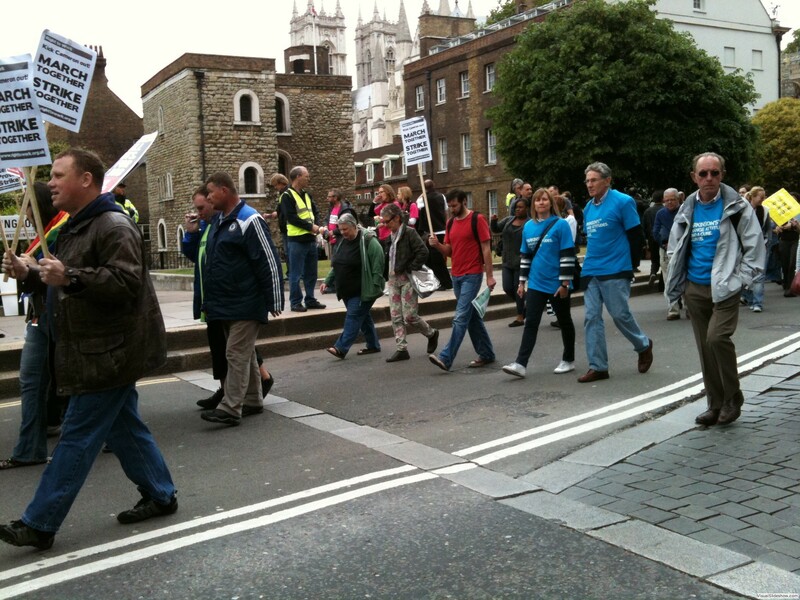 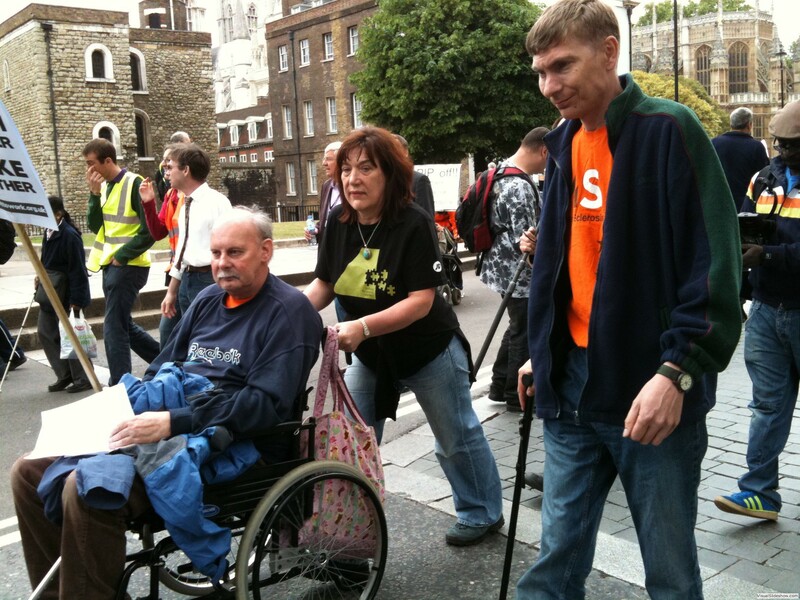 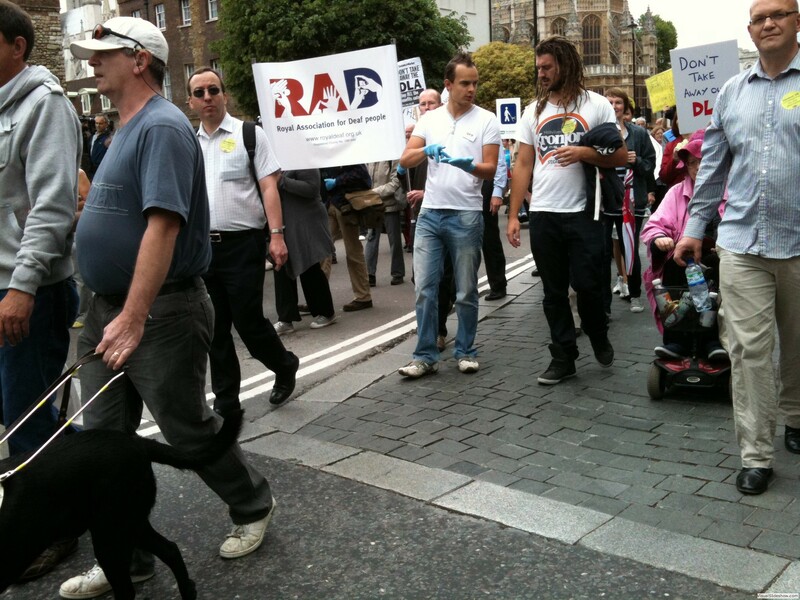 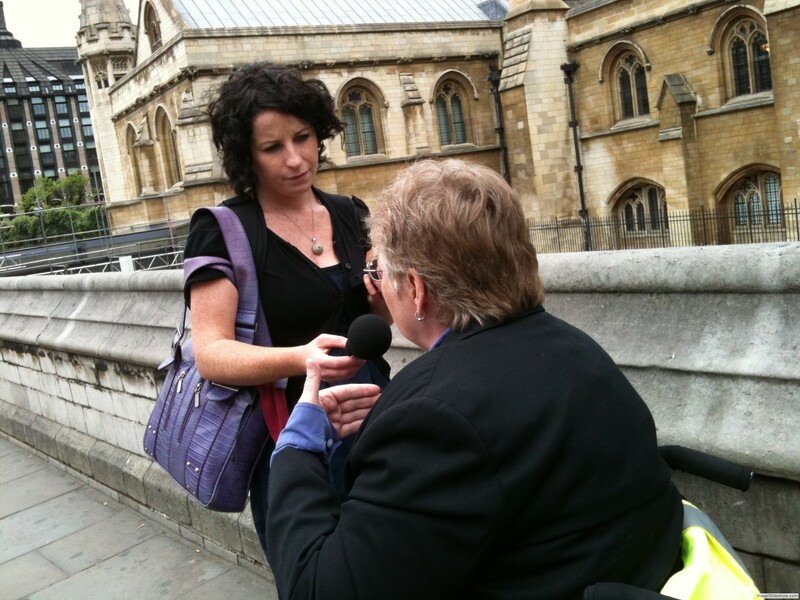 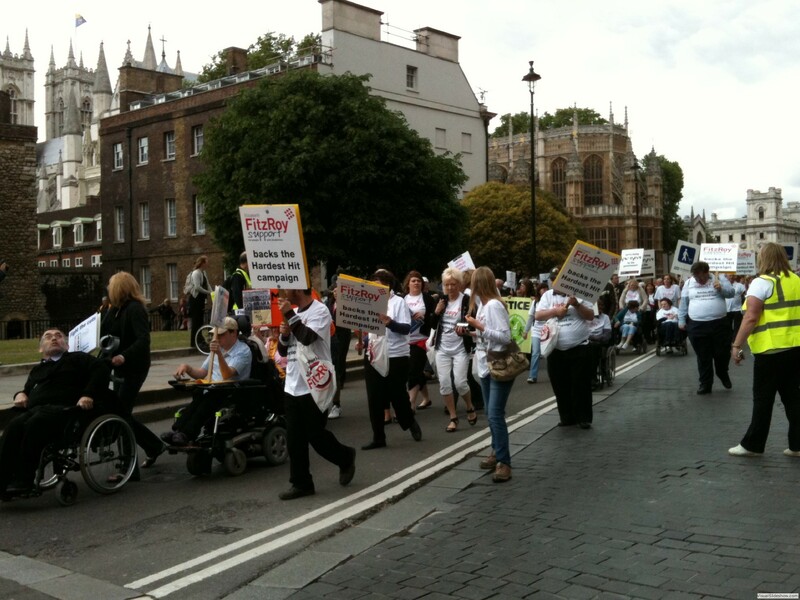 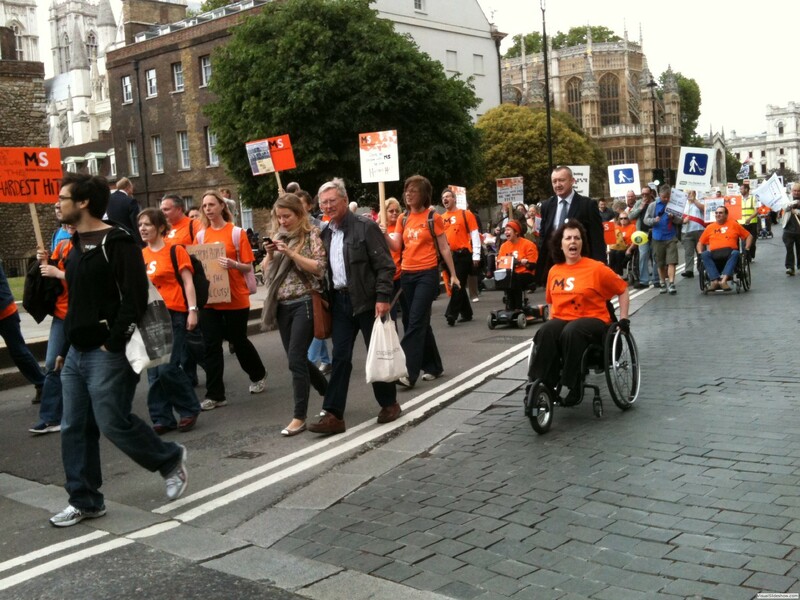 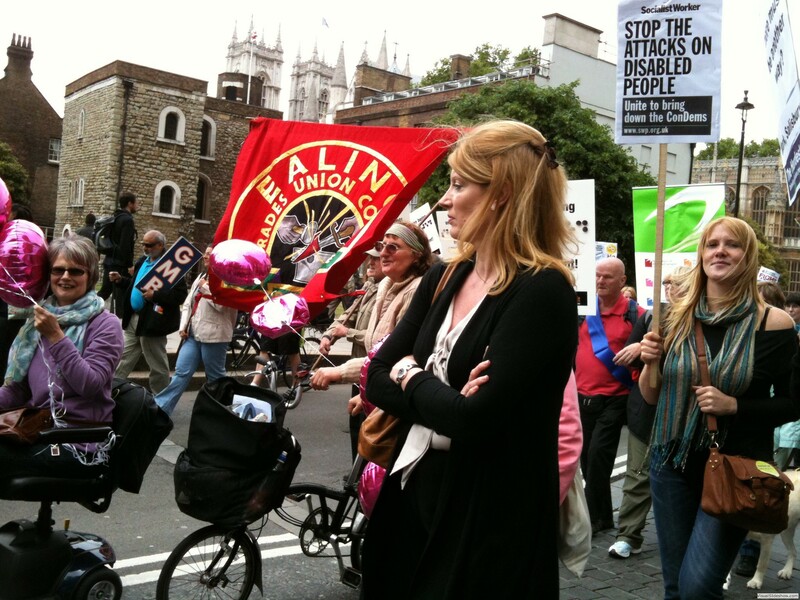 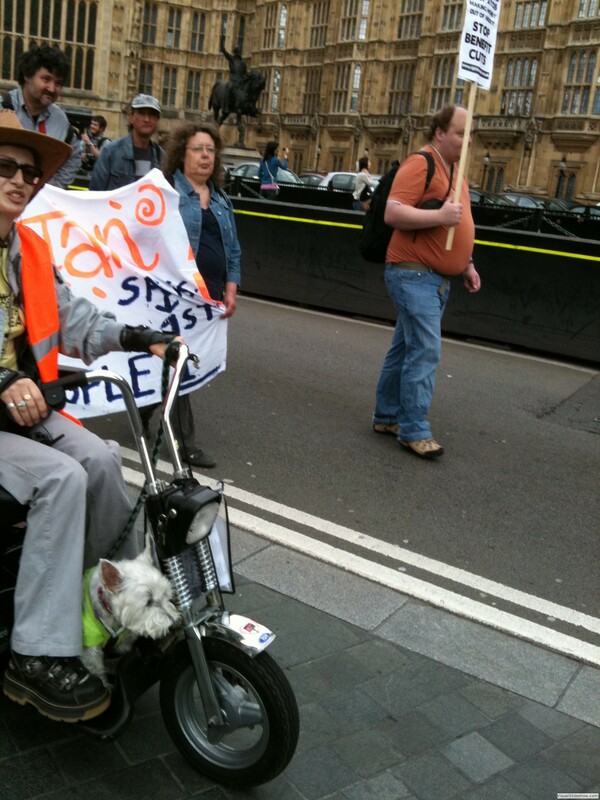 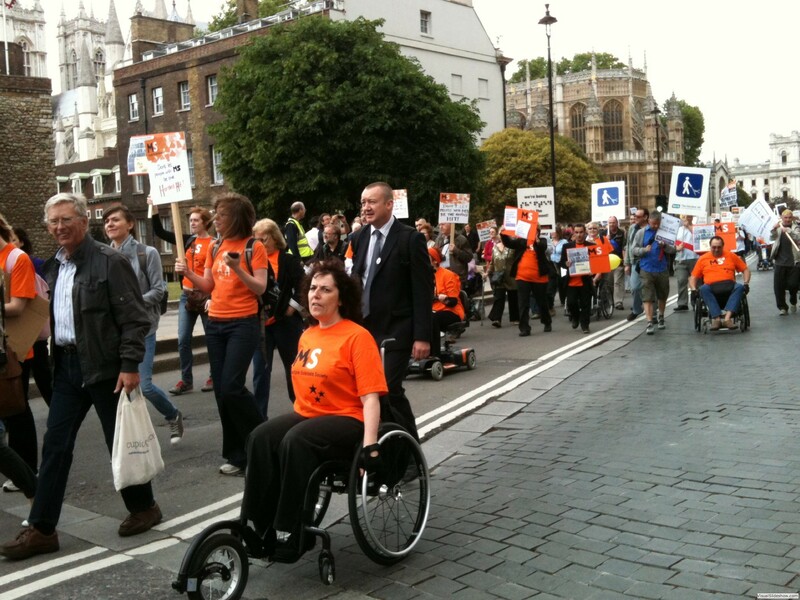 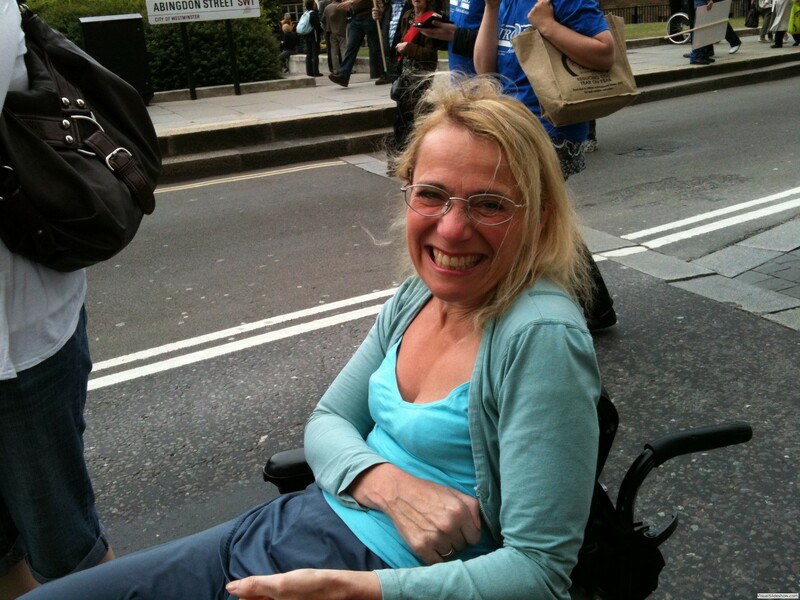 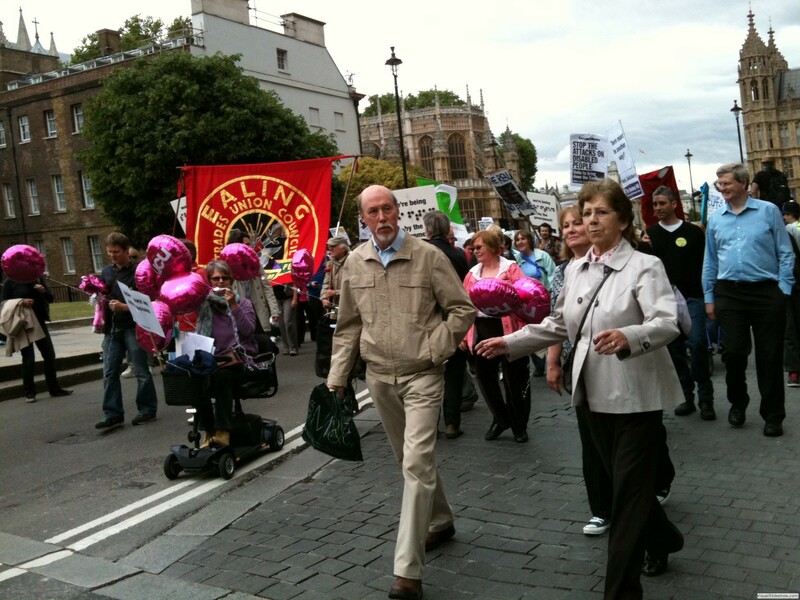 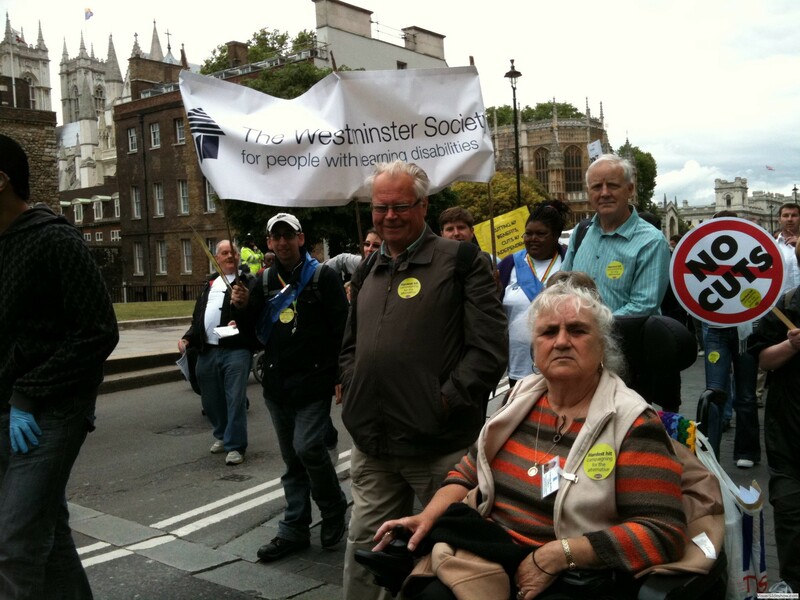 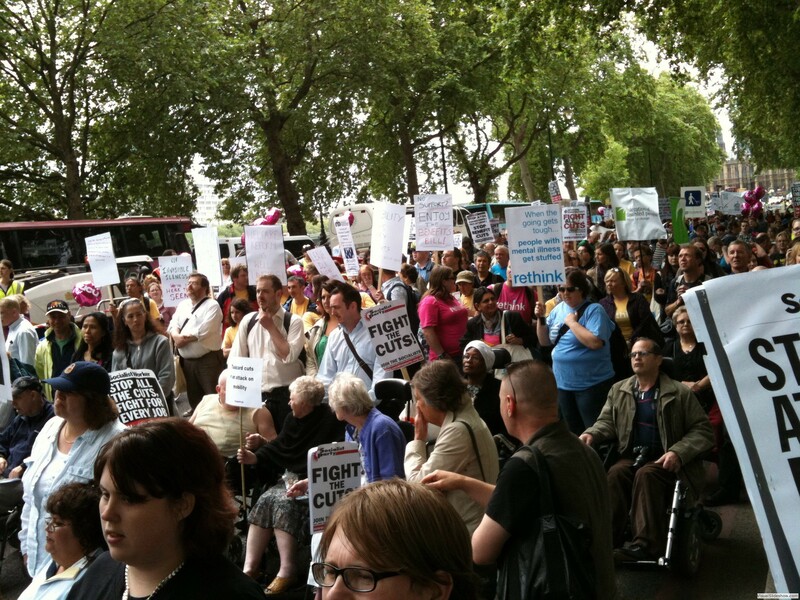 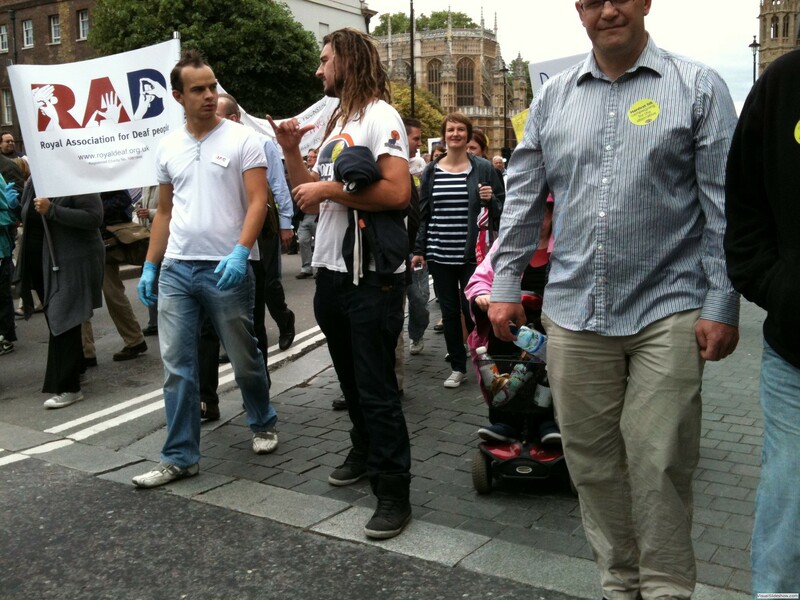 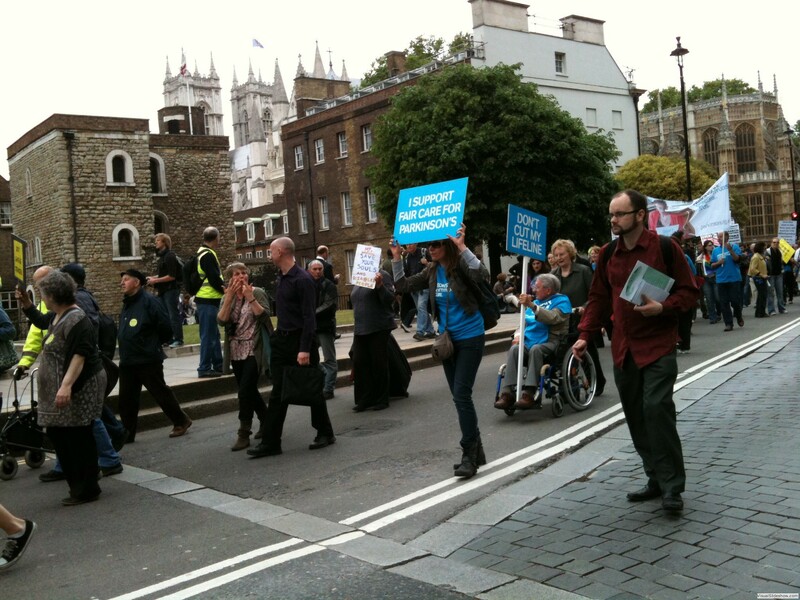 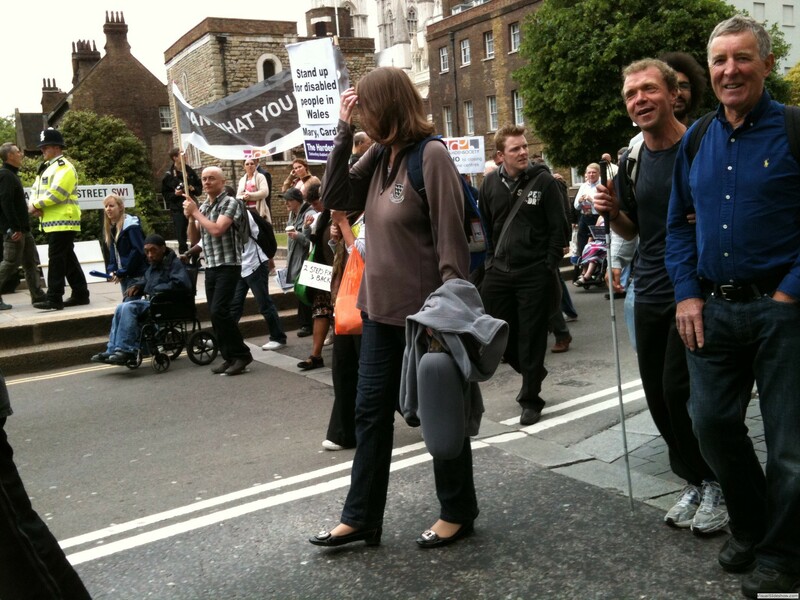 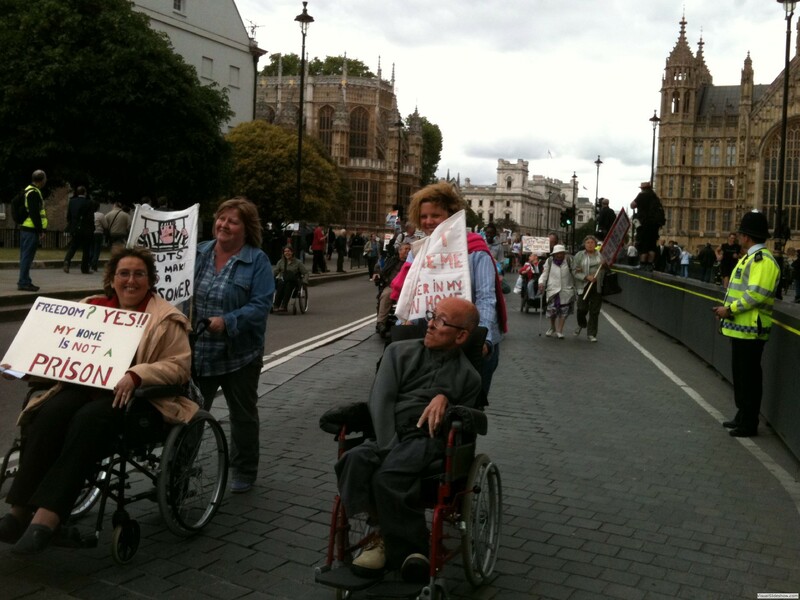 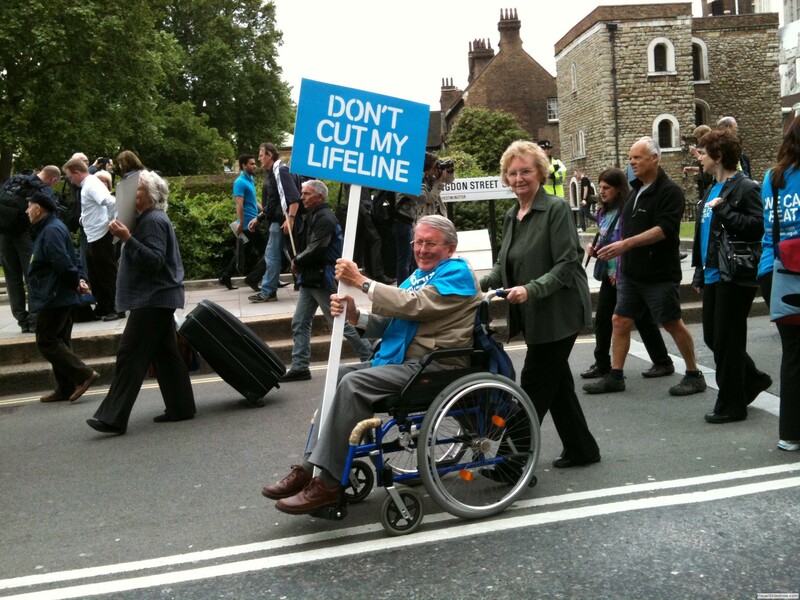 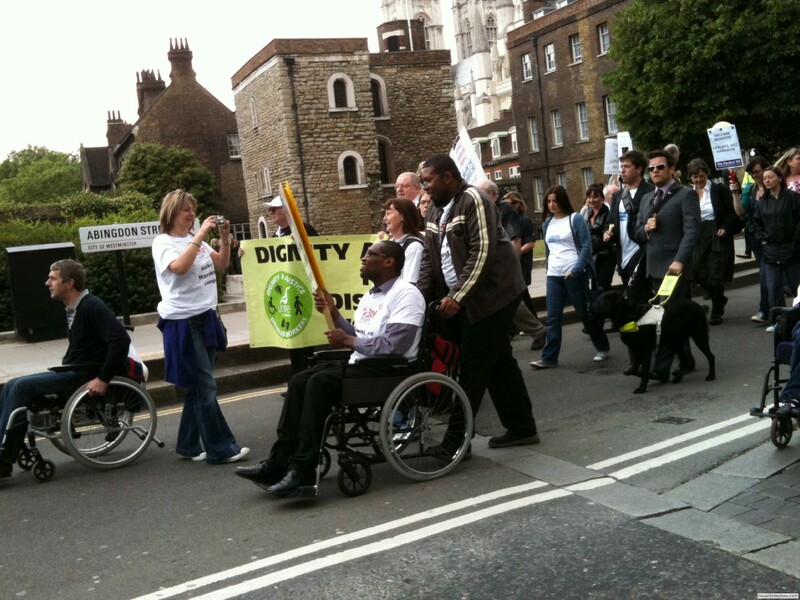 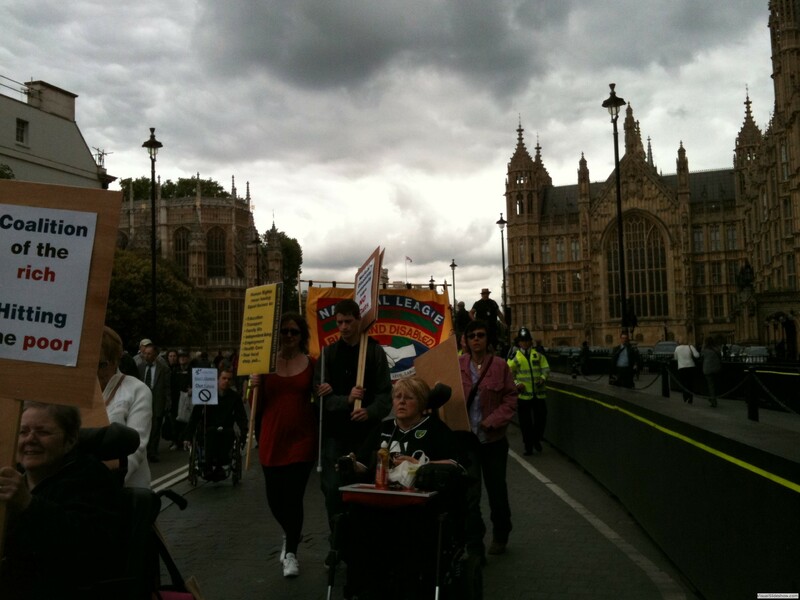 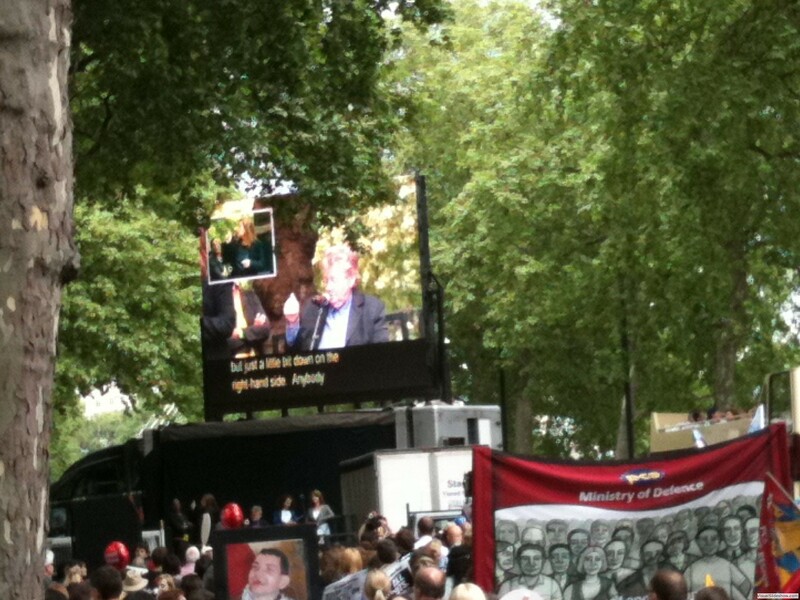 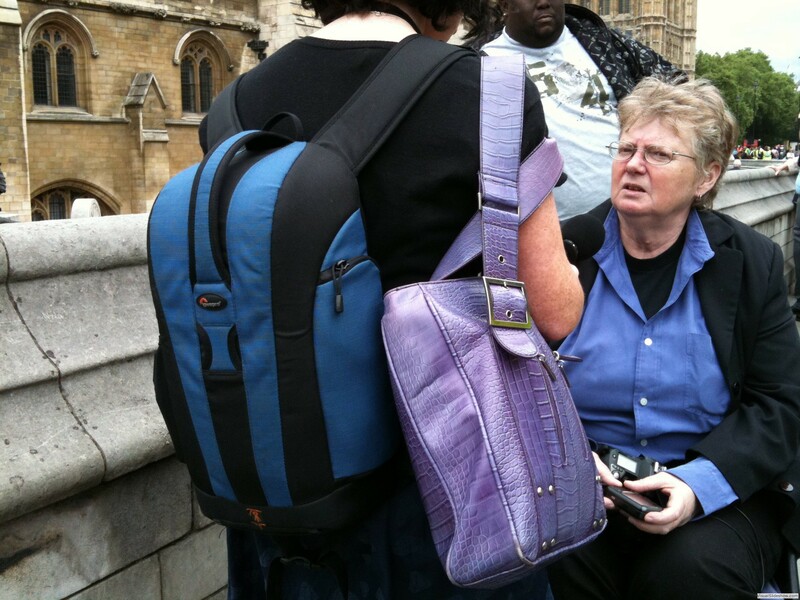 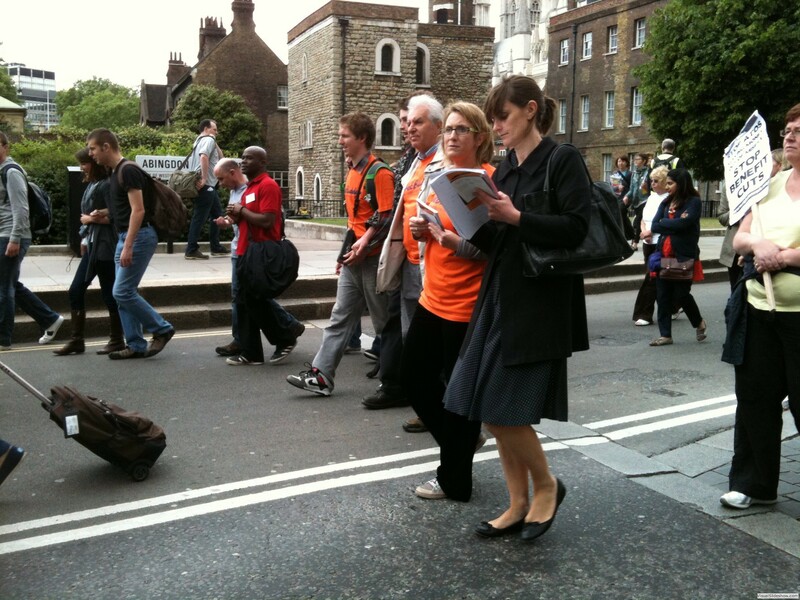 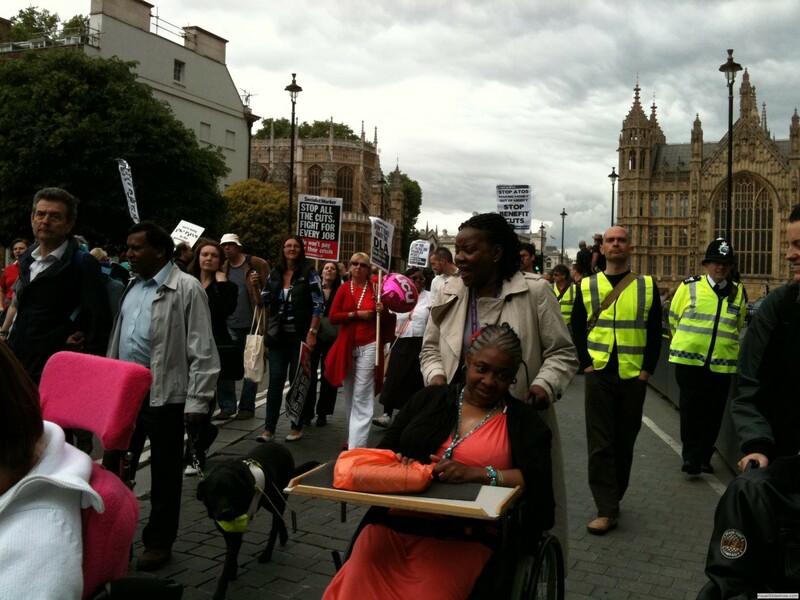 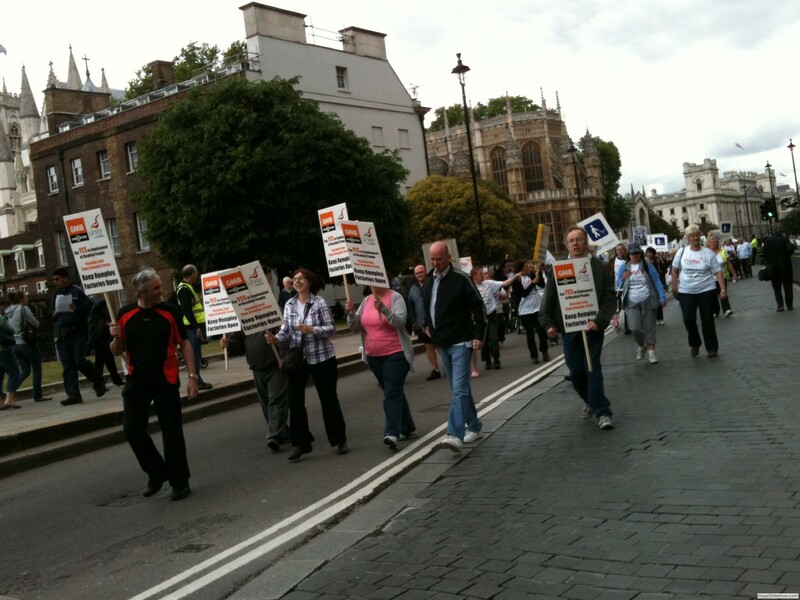 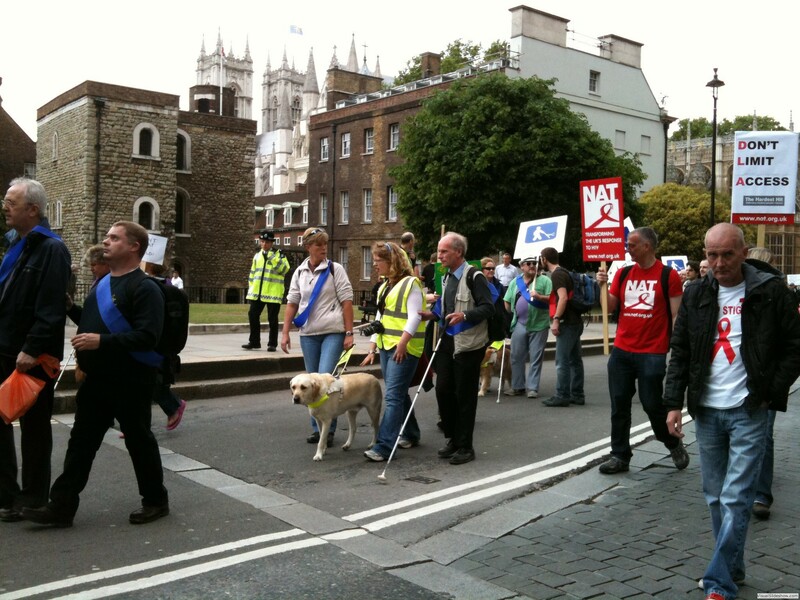 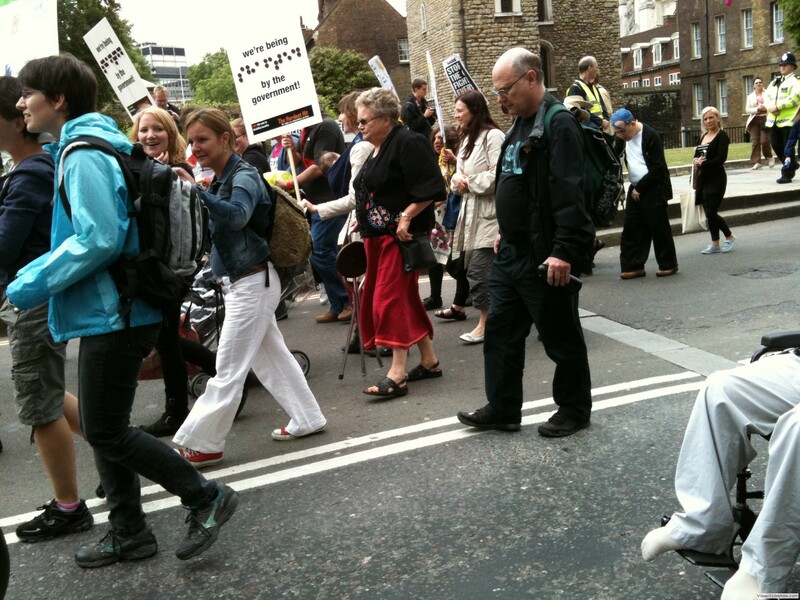 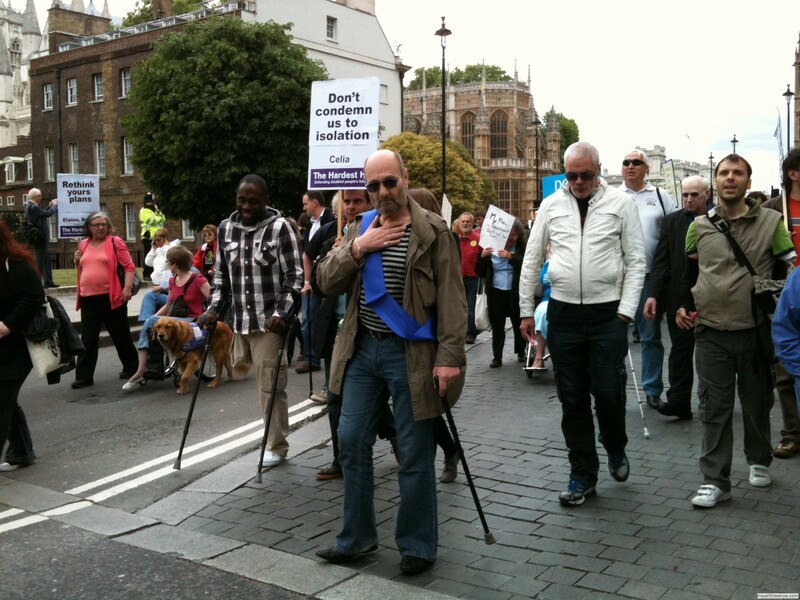 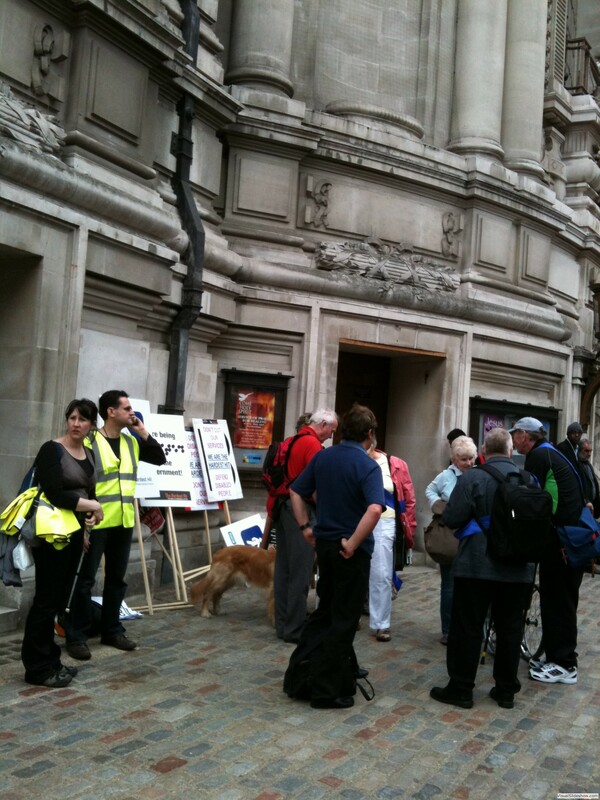 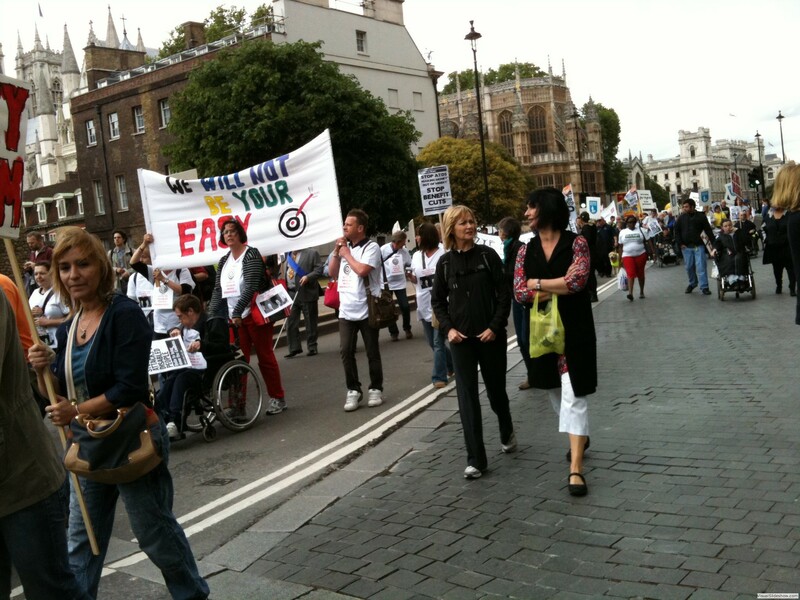 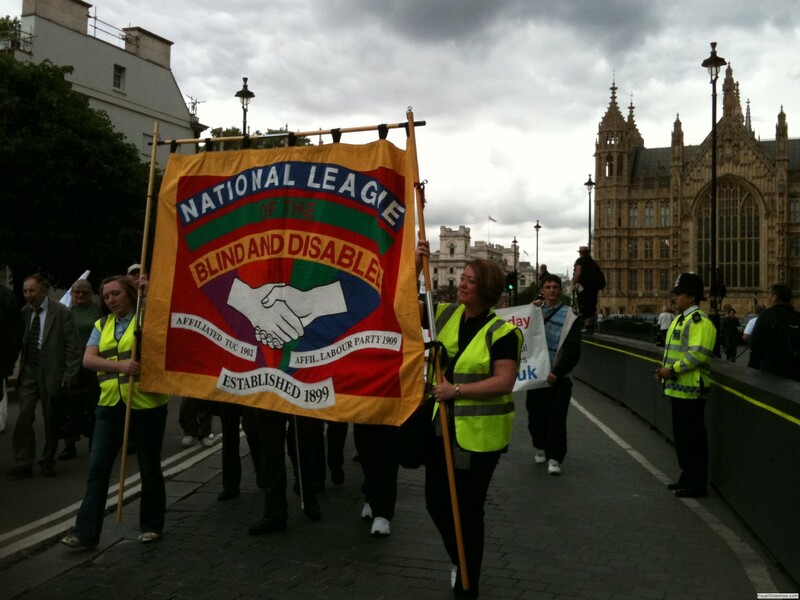 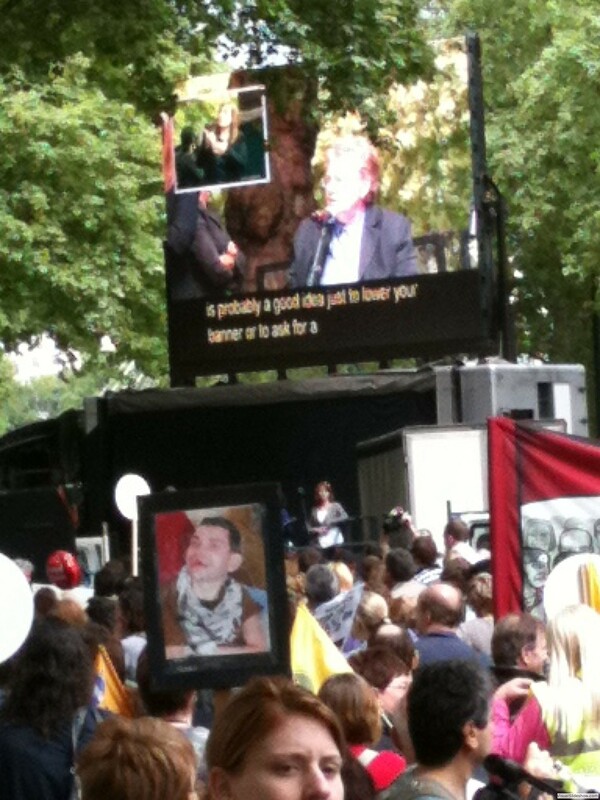 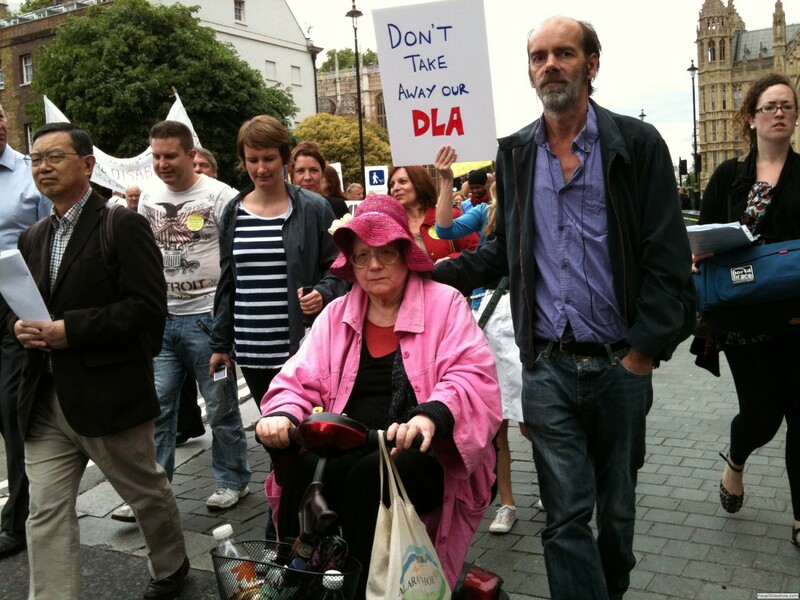 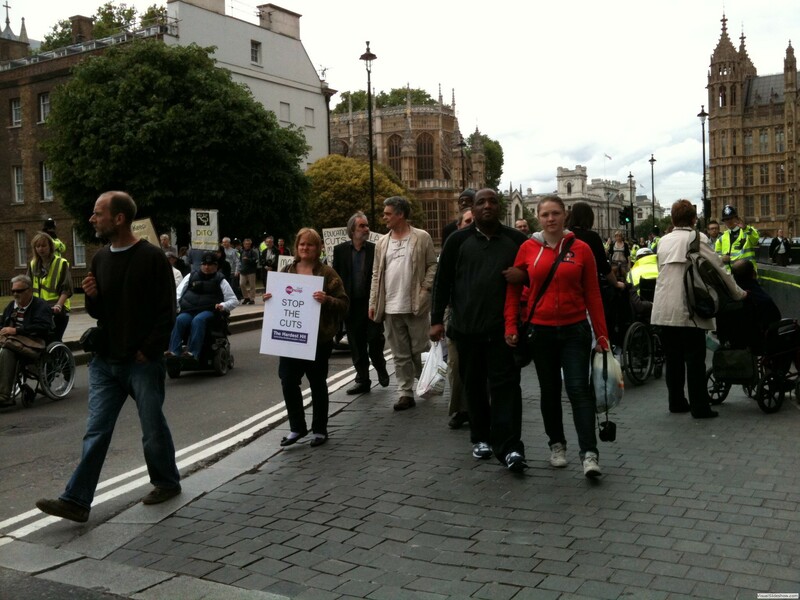 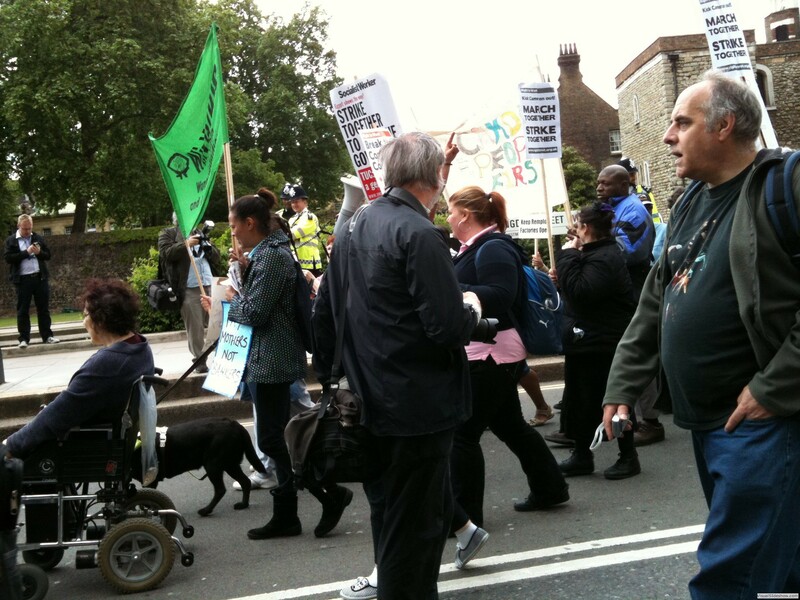 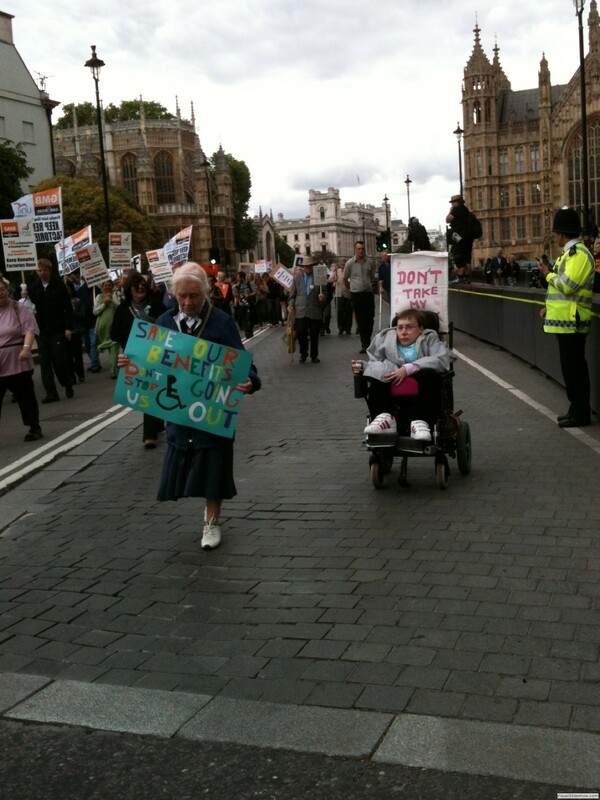 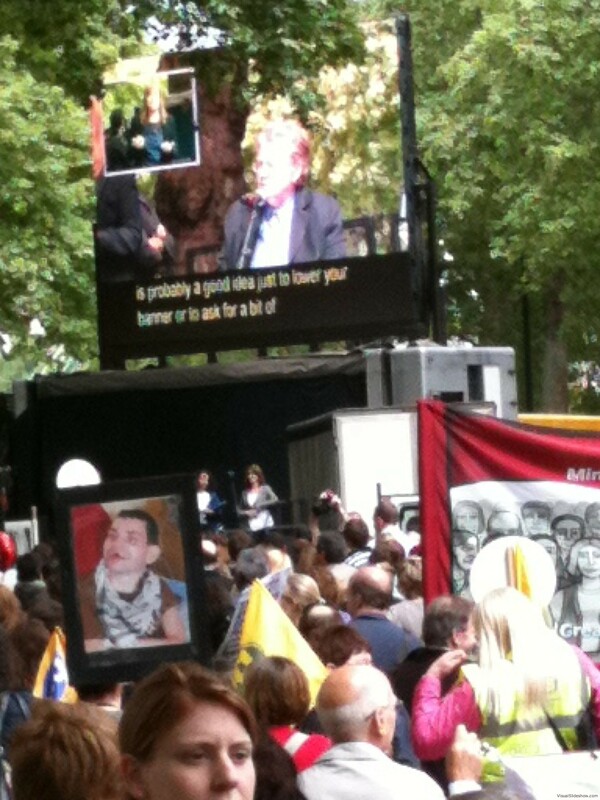 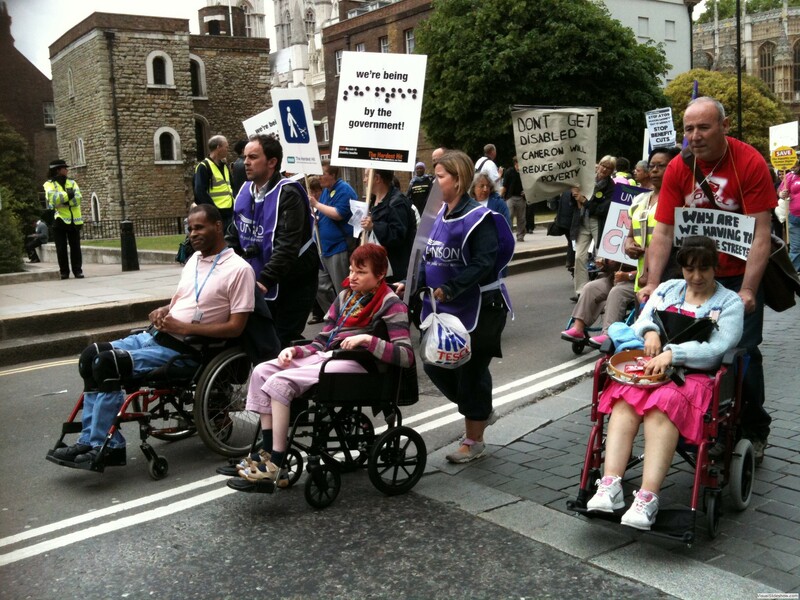 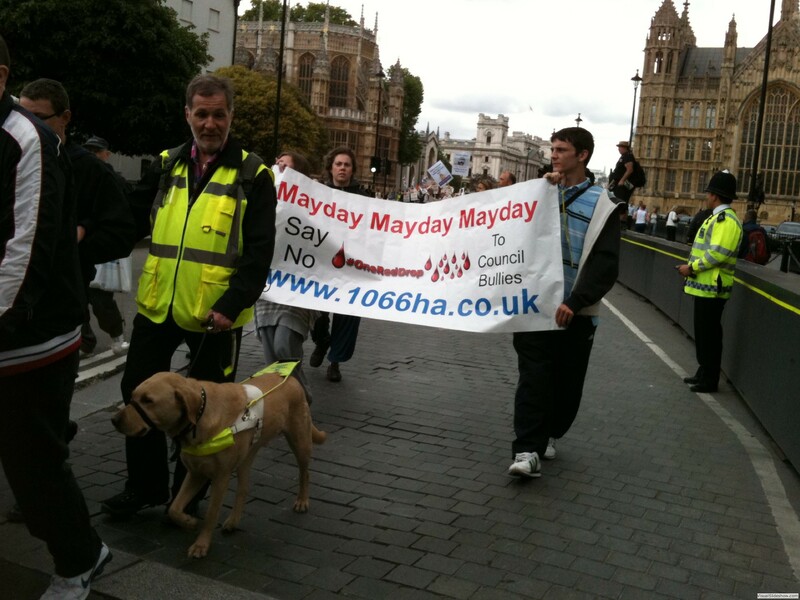 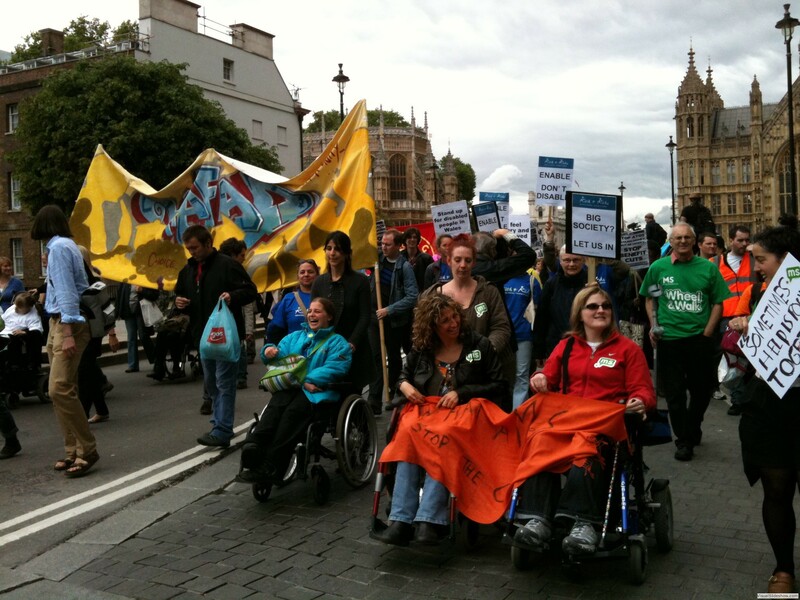 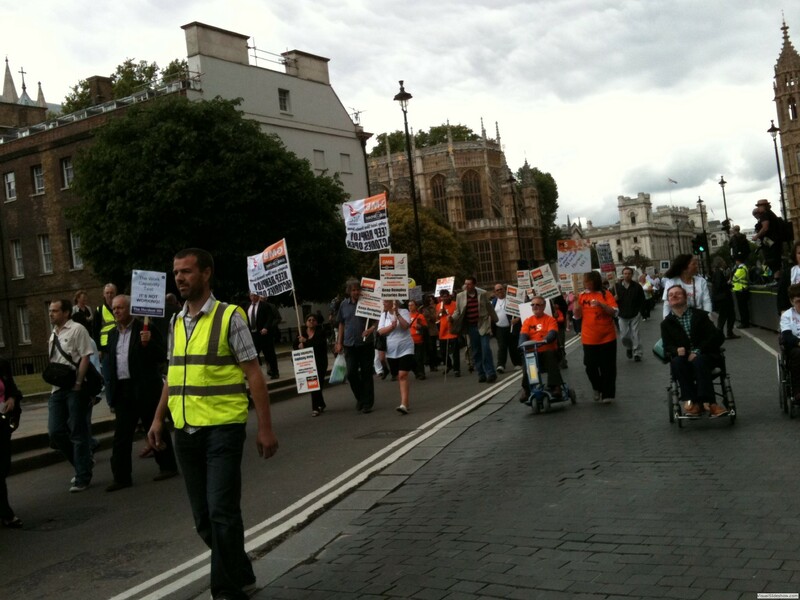 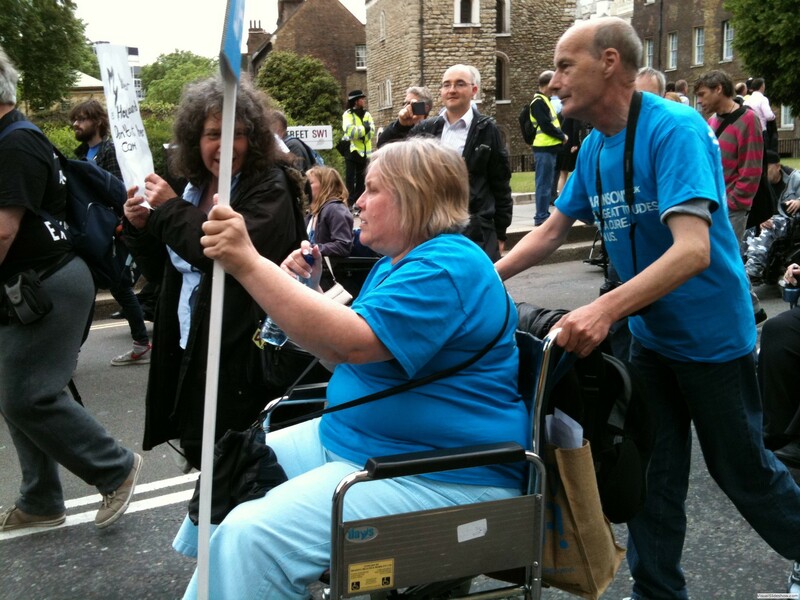 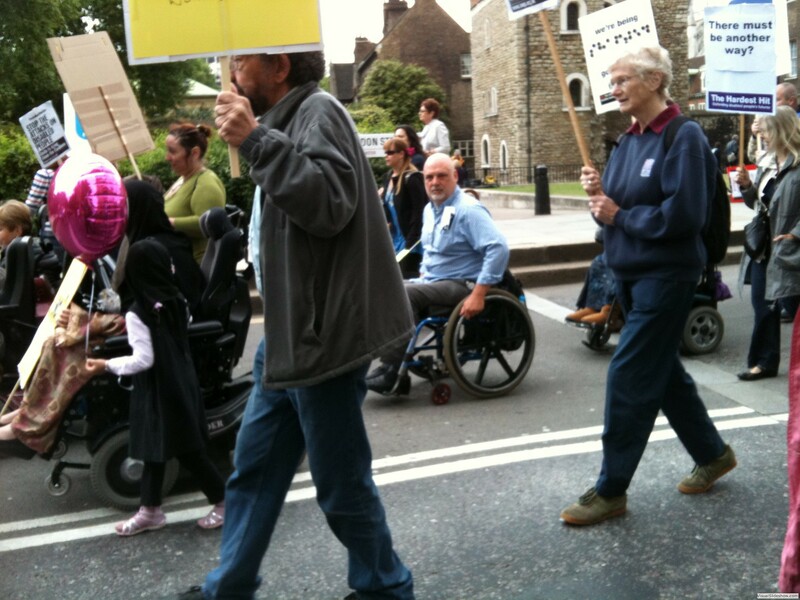 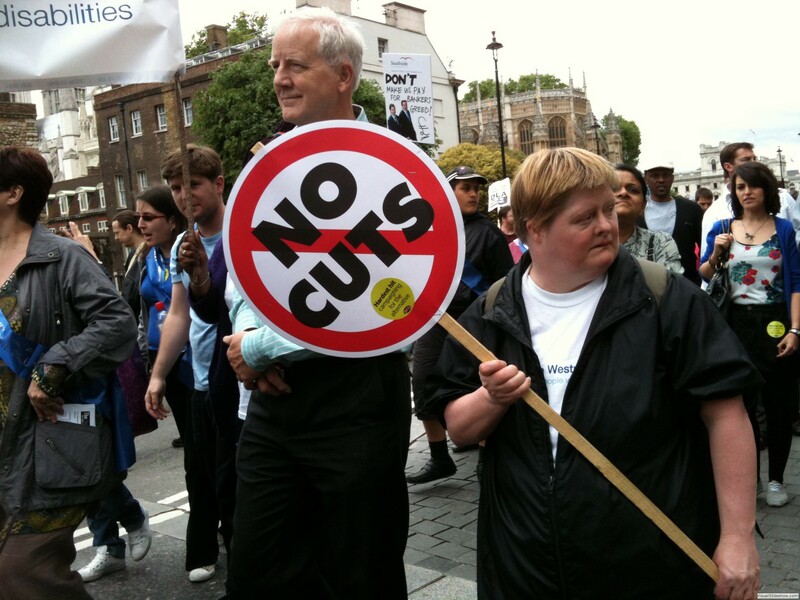 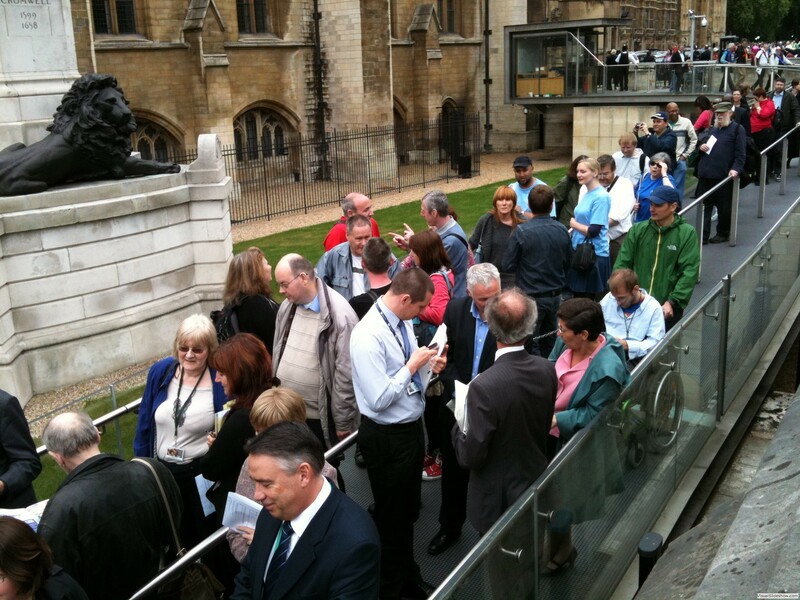 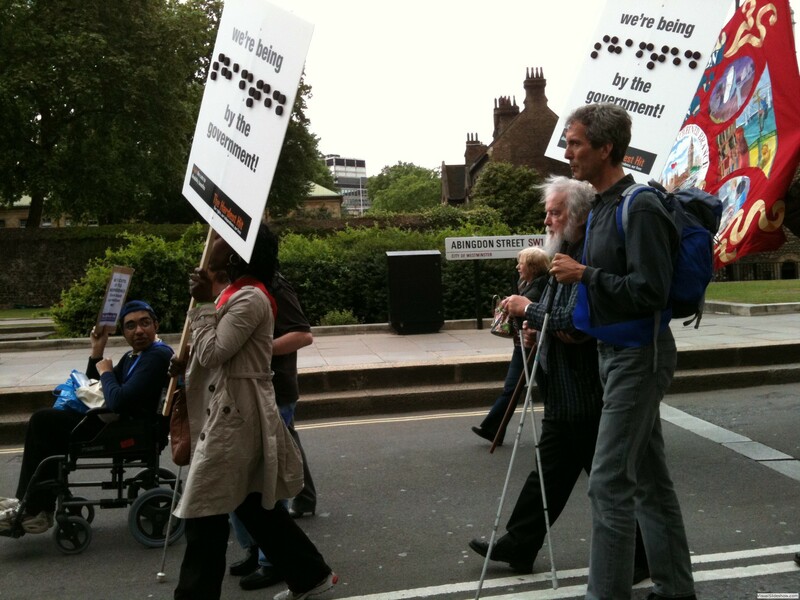 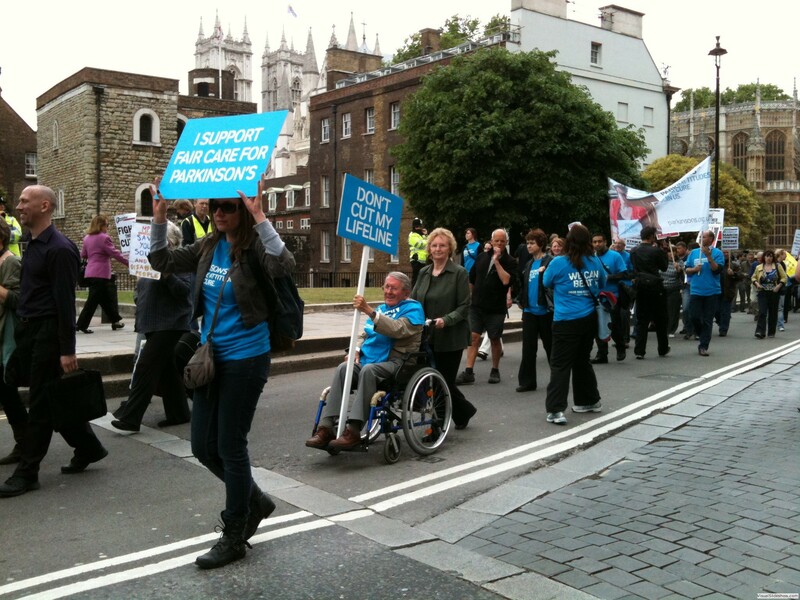 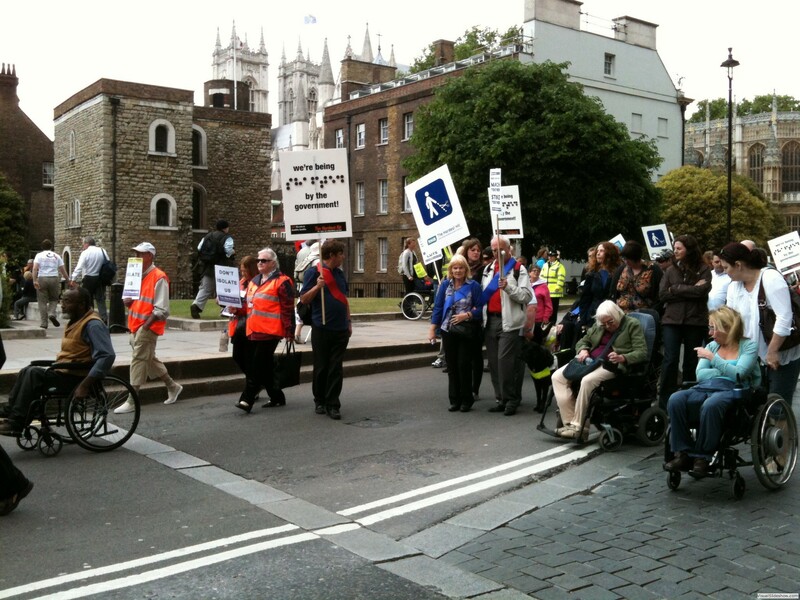 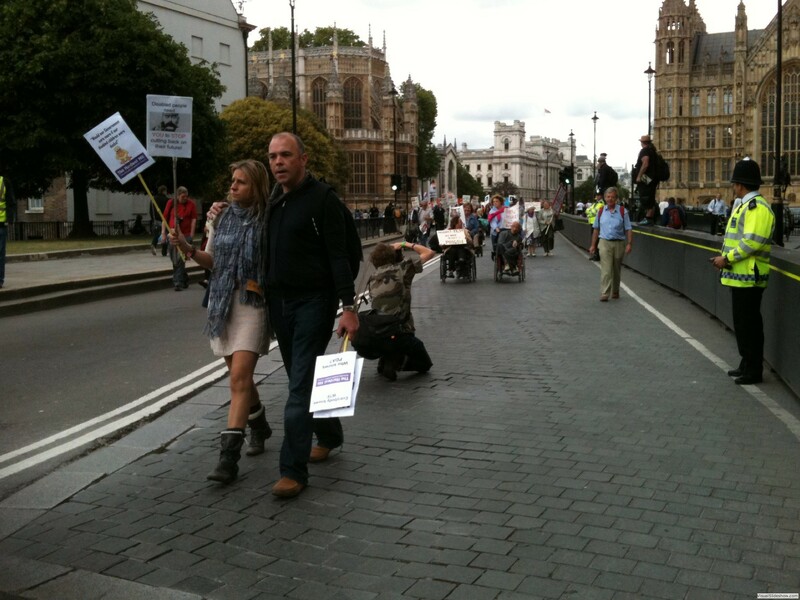 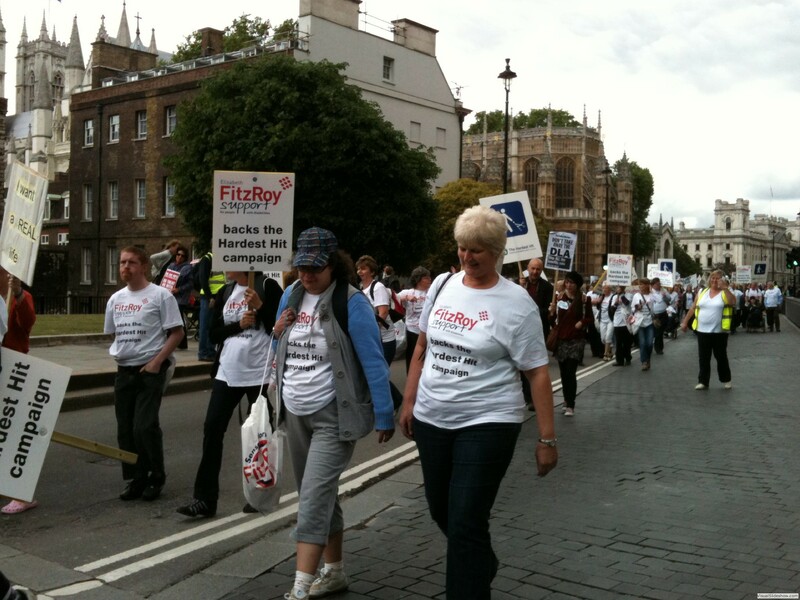 The event was organised by the UK Disabled People's Council and the rally was led by their Chair Julie Newman. 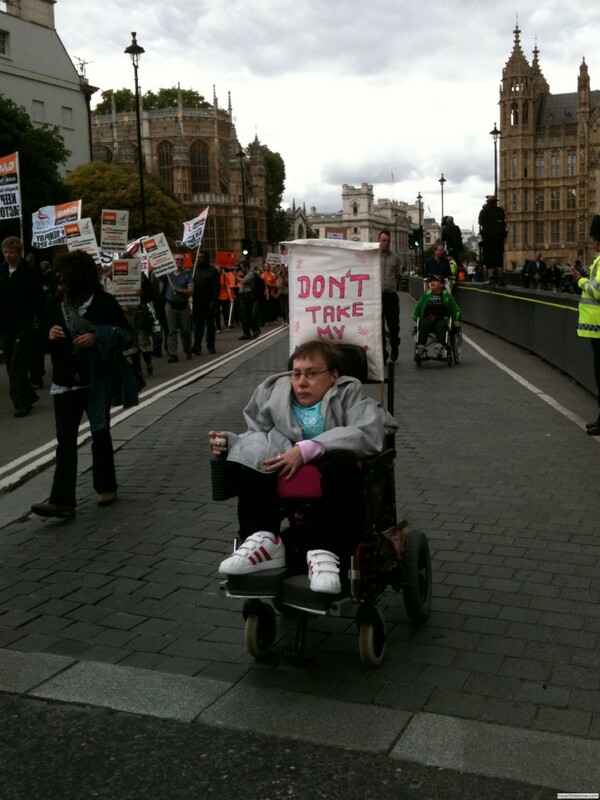 The Government plans to cut £9bn from disabled people over the remaining life of the Parliament.